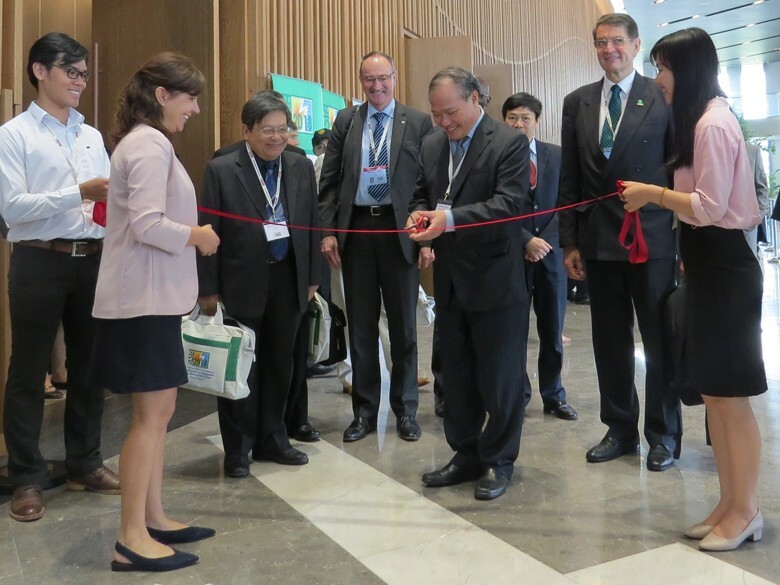 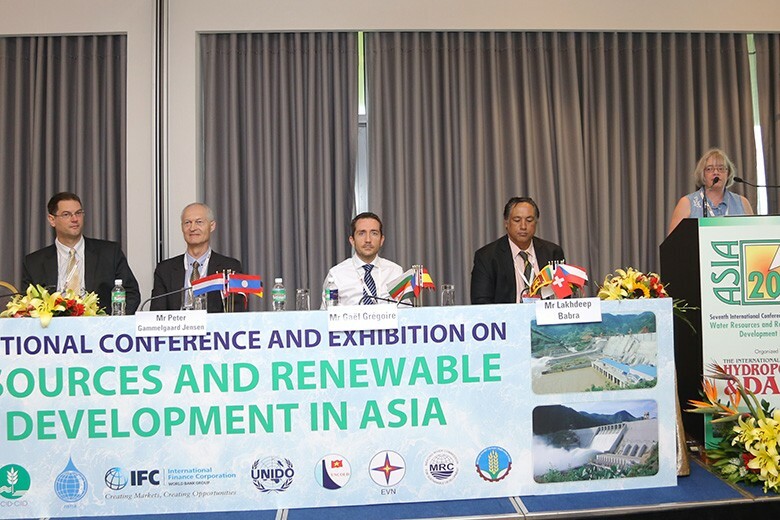 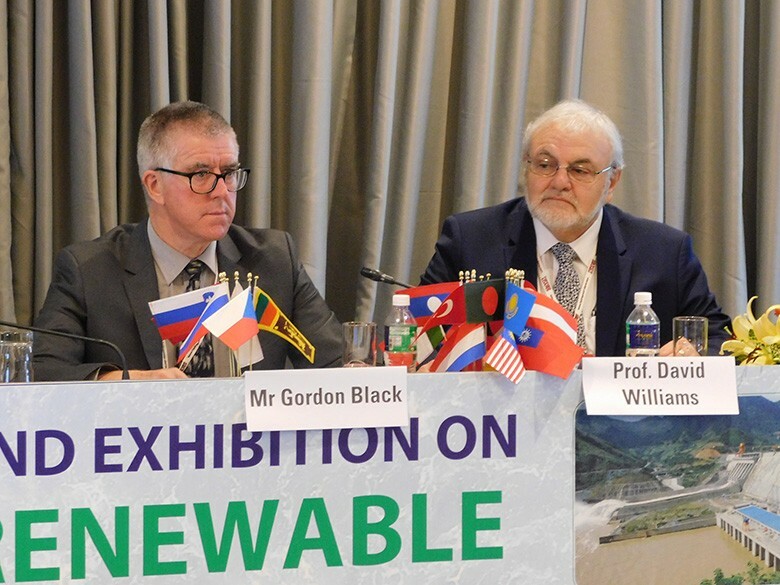 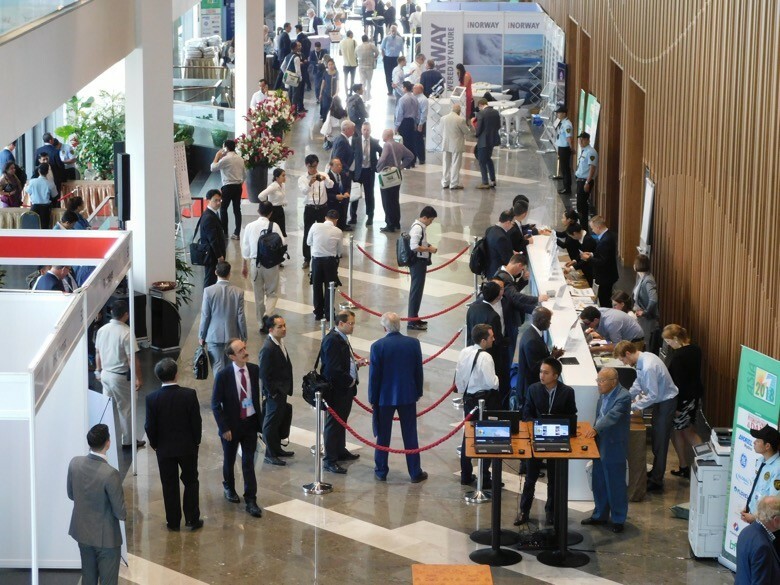 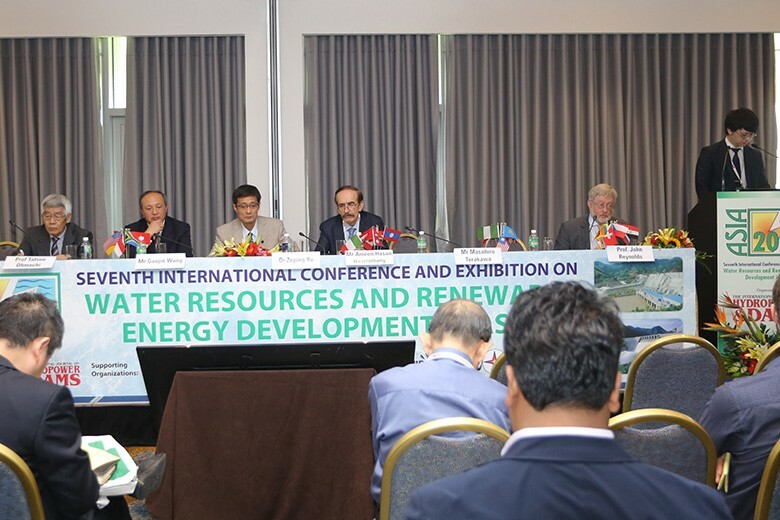 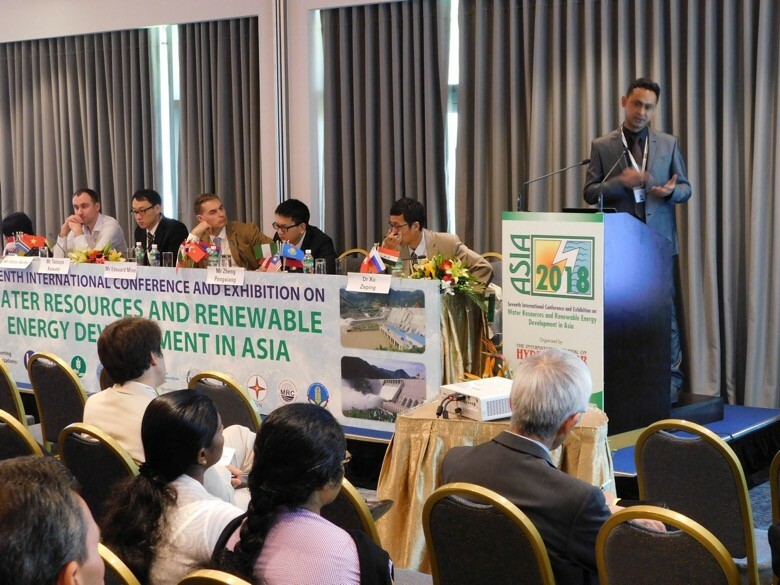 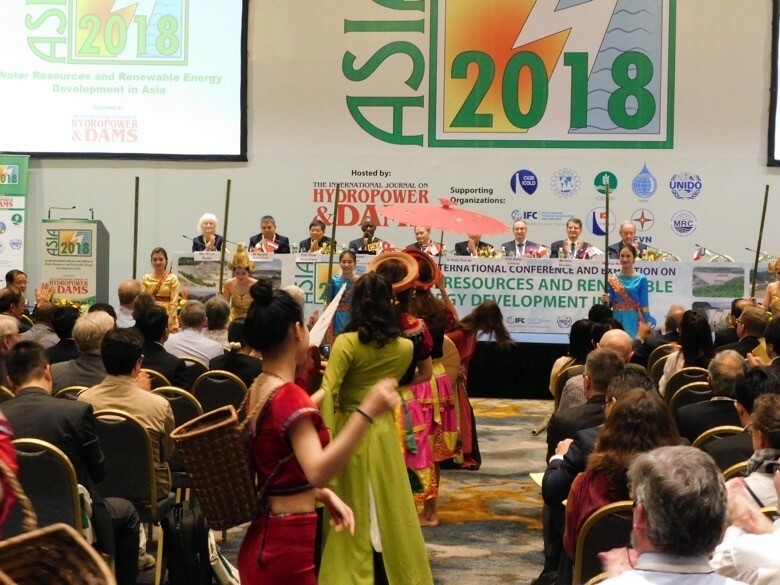 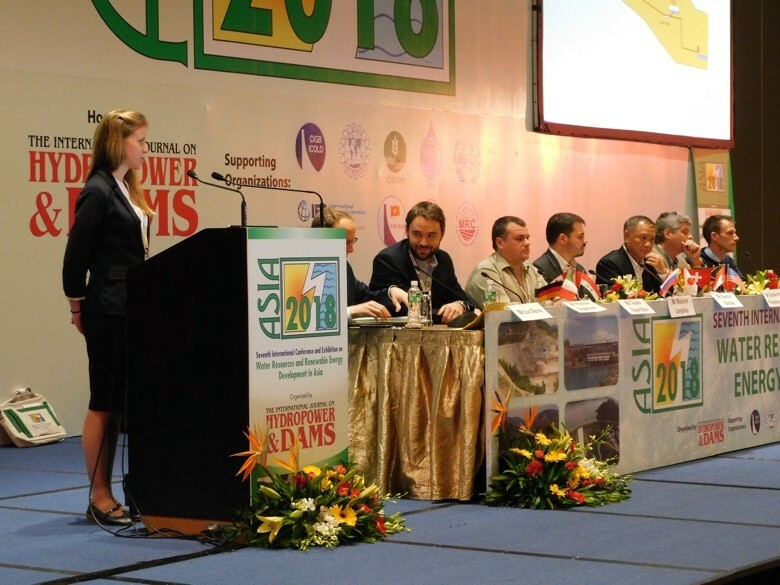 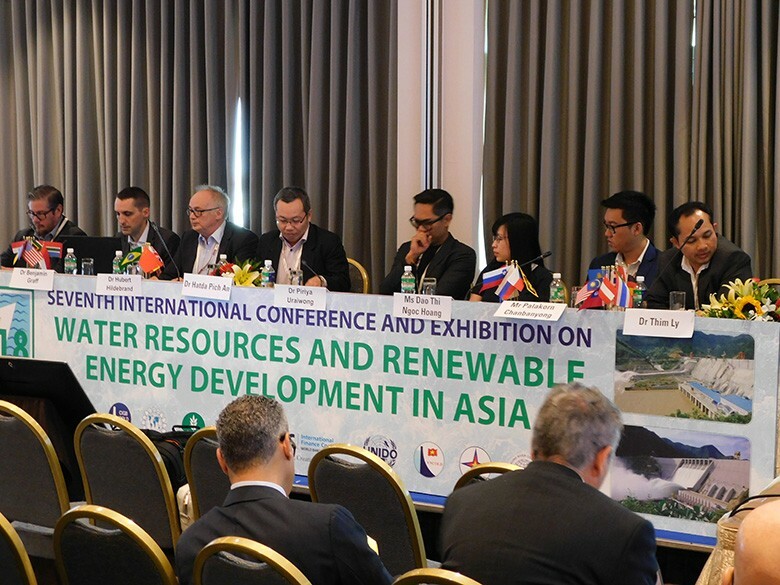 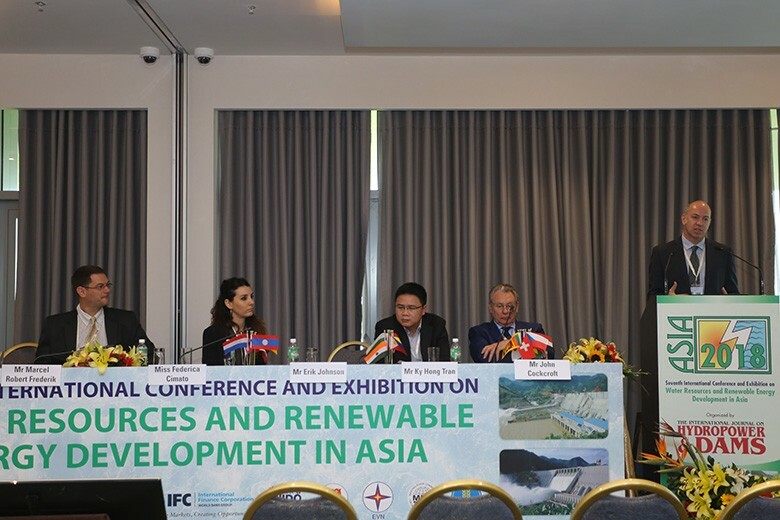 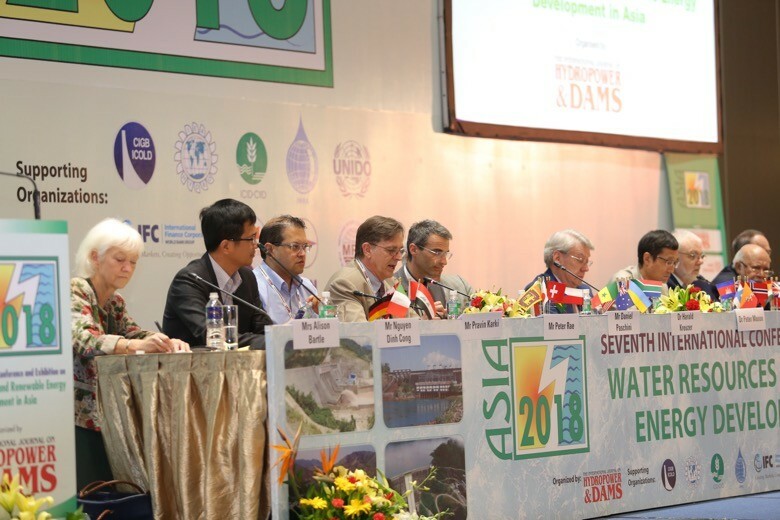 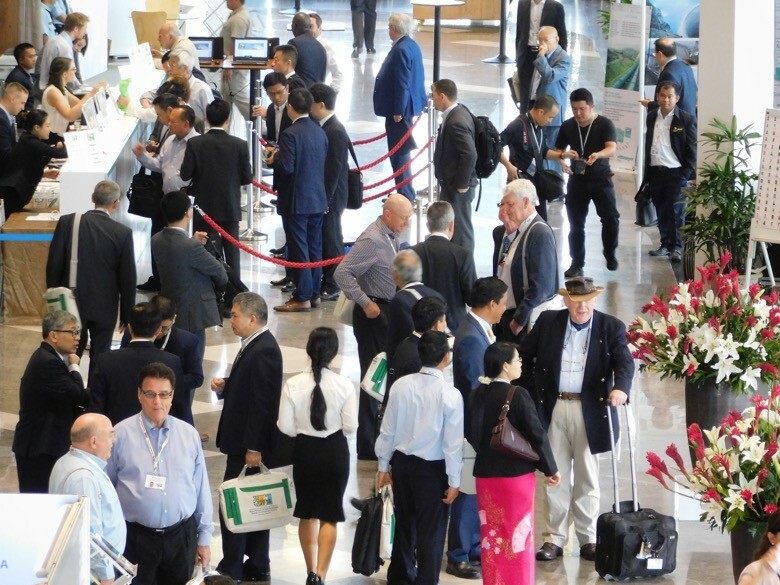 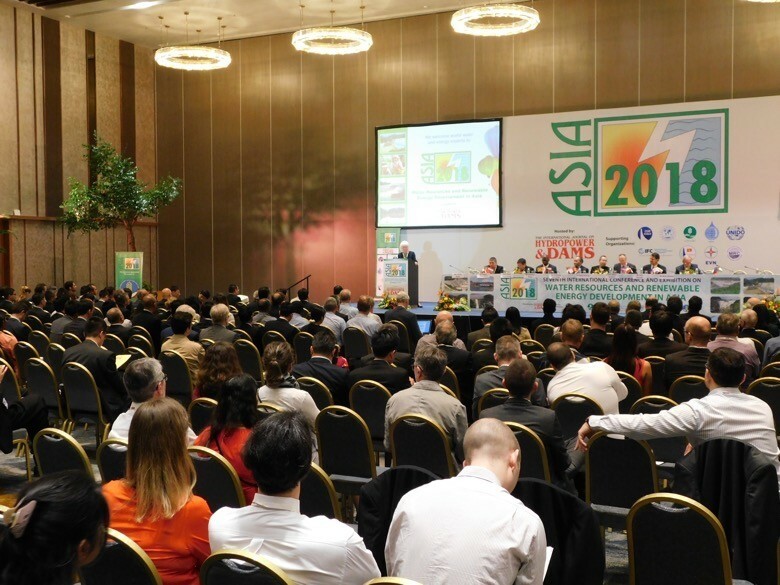 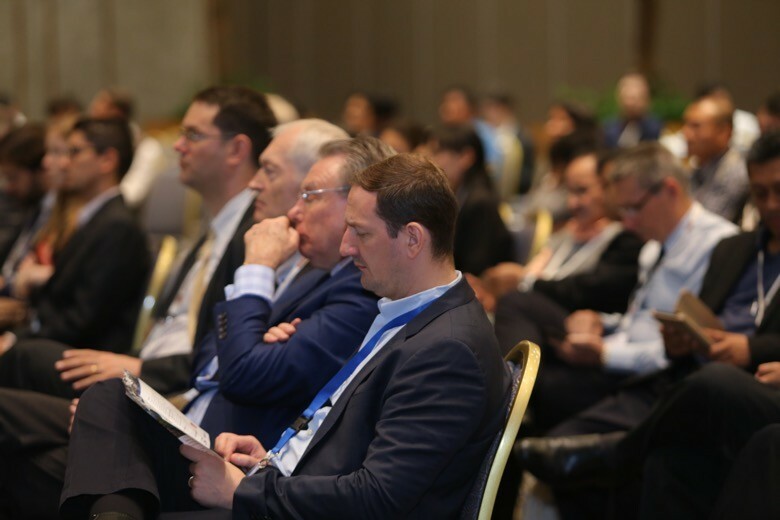 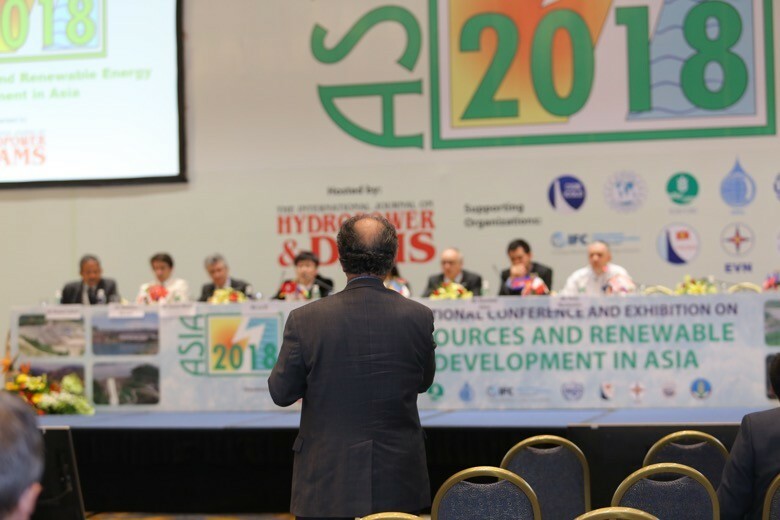 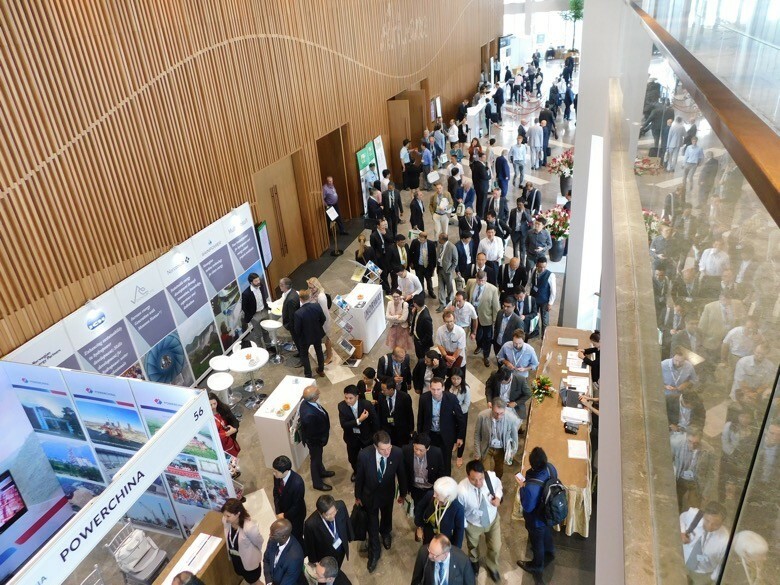 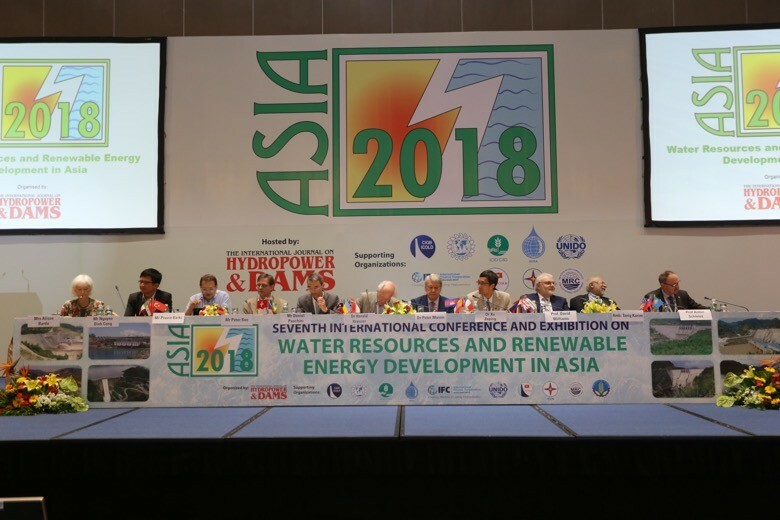 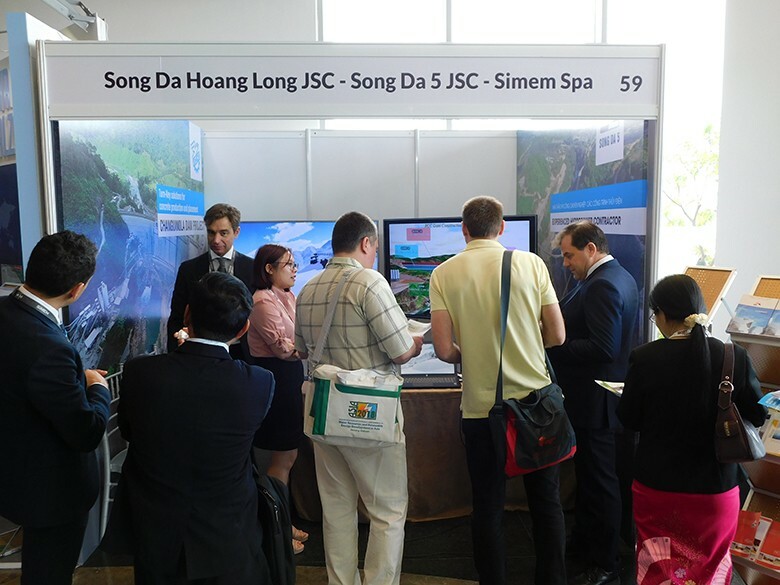 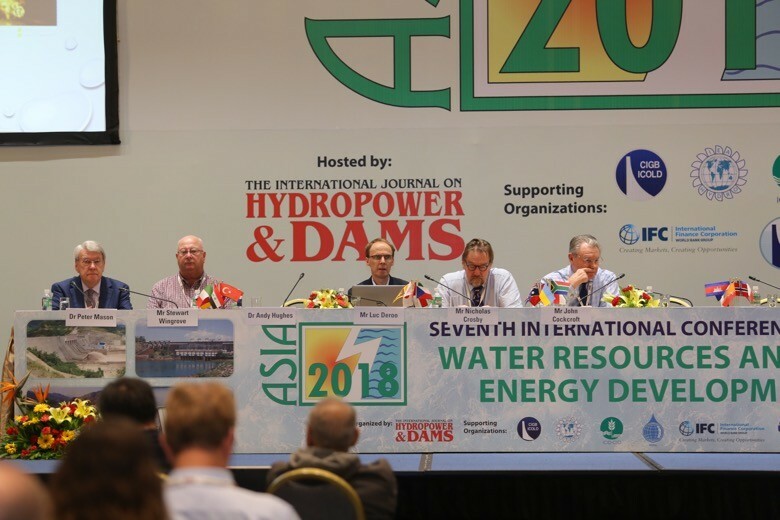 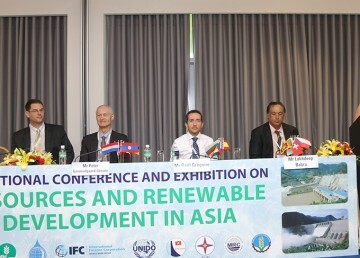 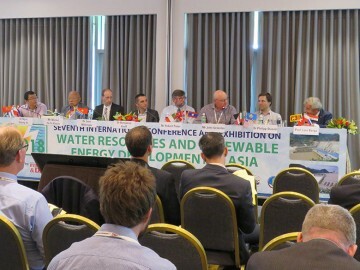 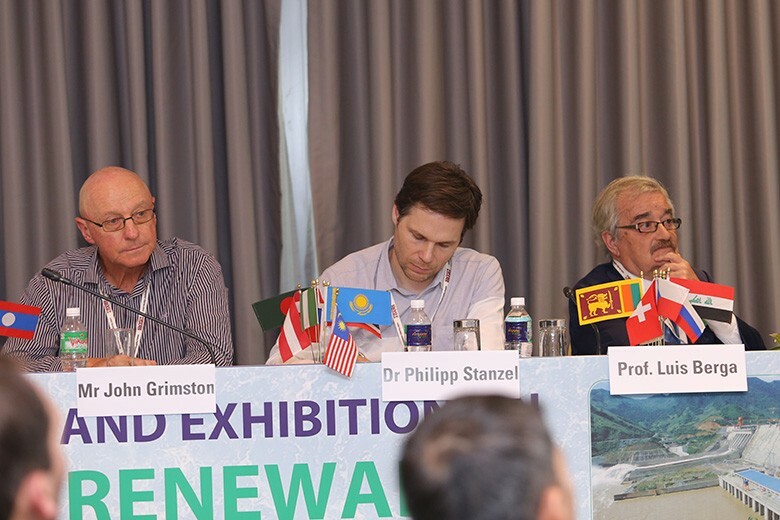 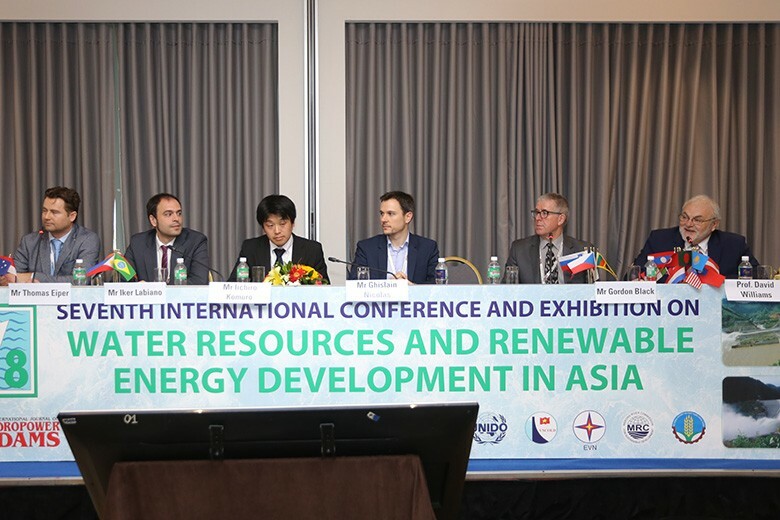 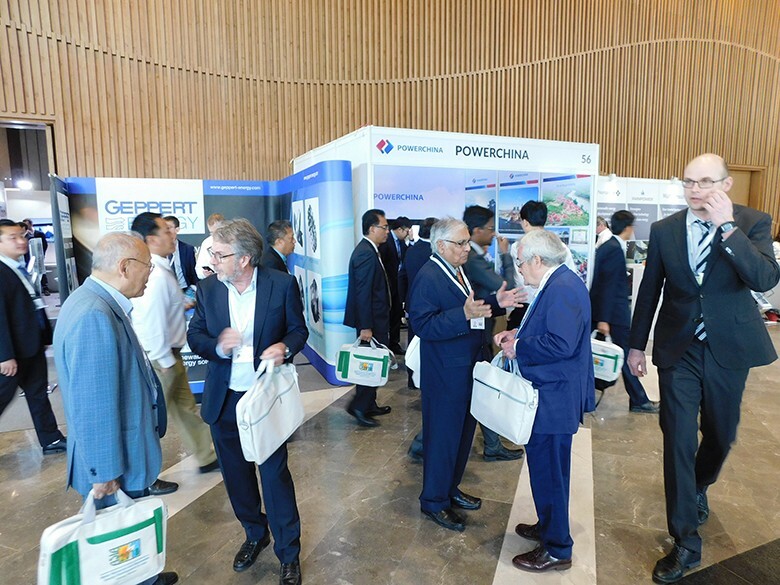 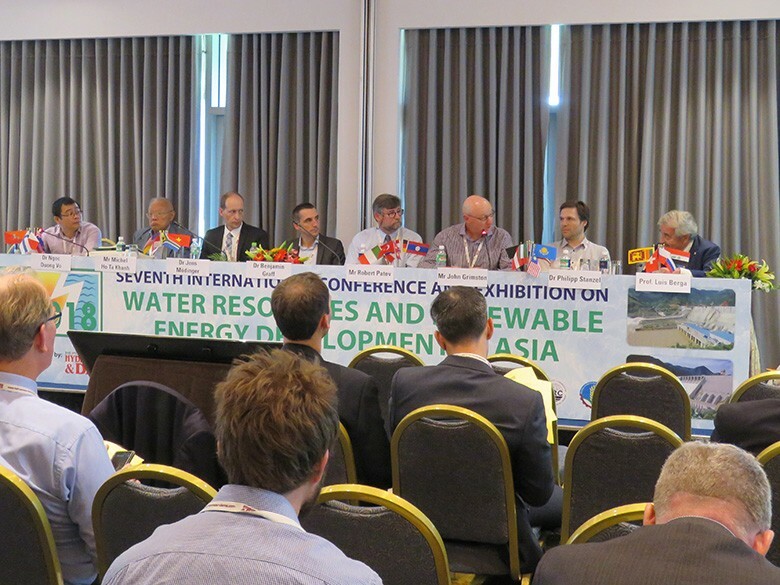 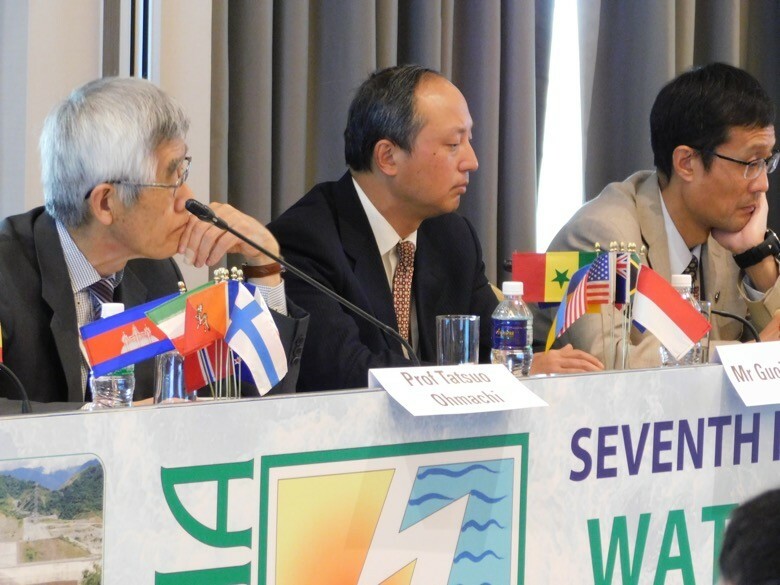 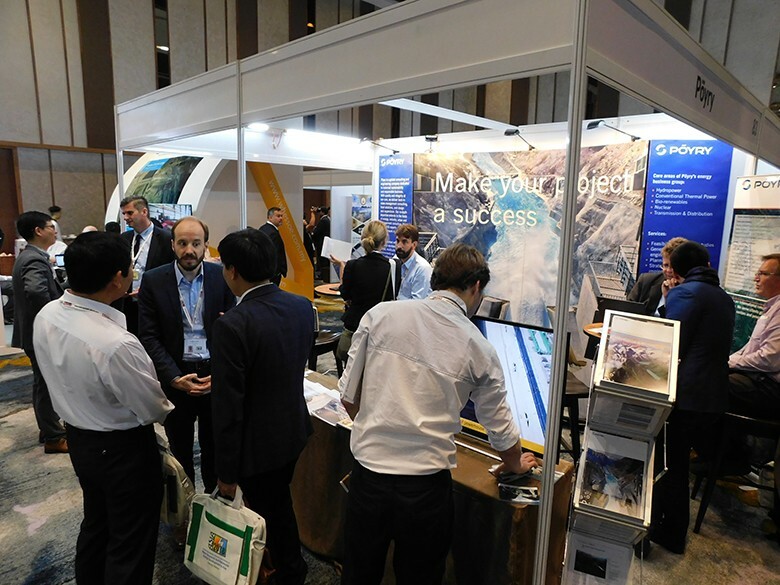 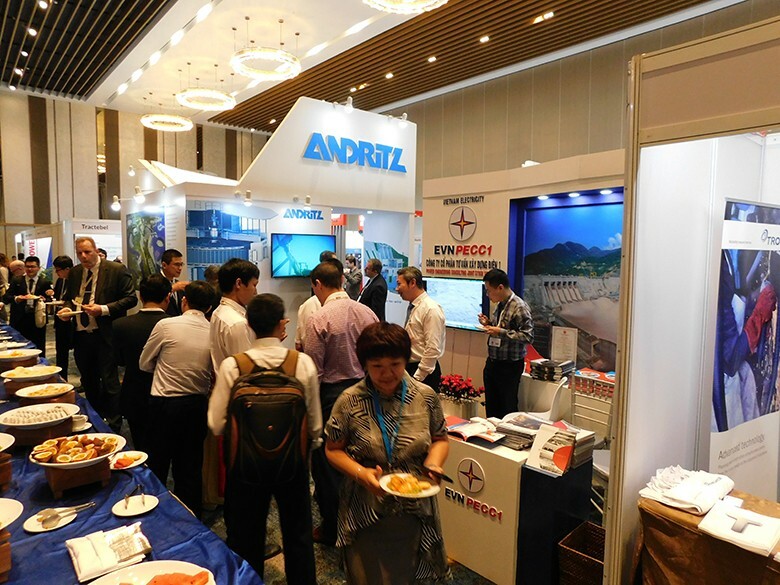 ASIA 2018, the Seventh International Conference and Exhibition on Water Resources and Renewable Energy Development in Asia, opens in Danang, Vietnam, on 13 March. 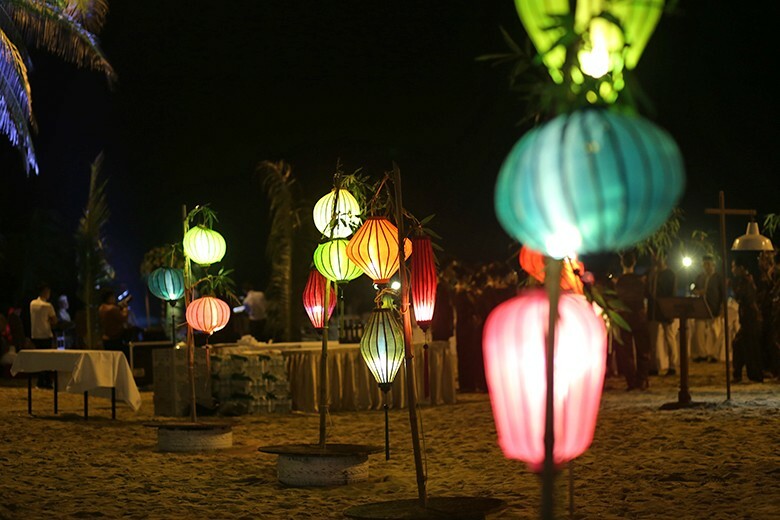 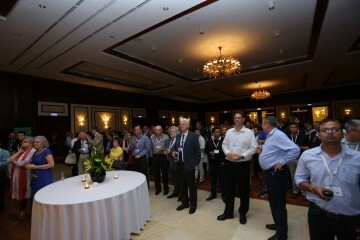 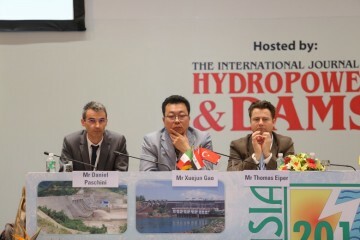 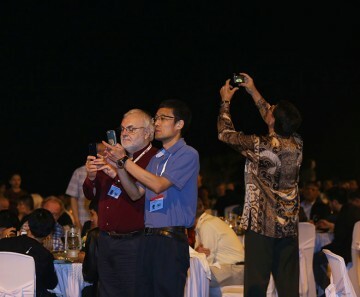 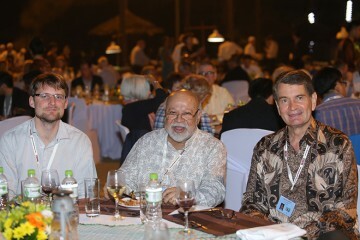 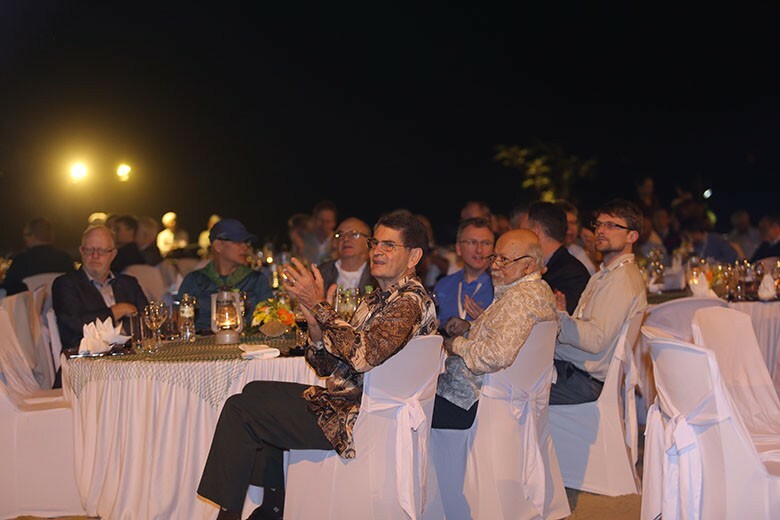 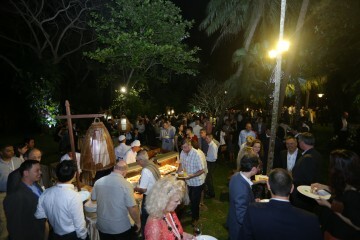 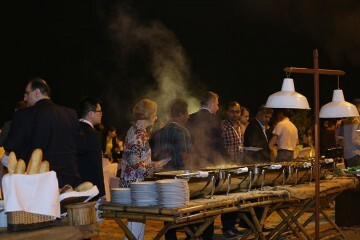 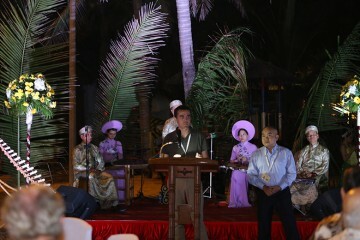 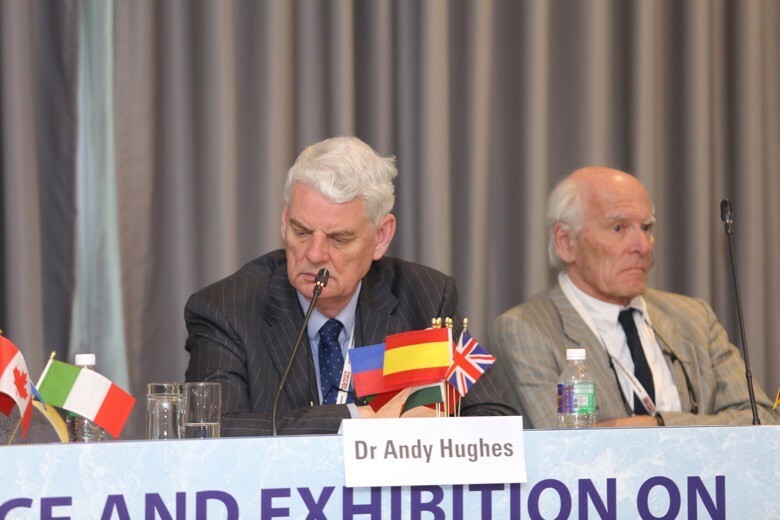 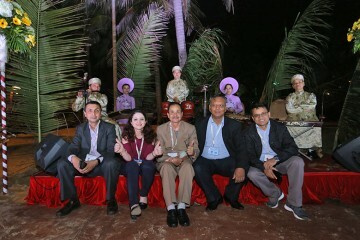 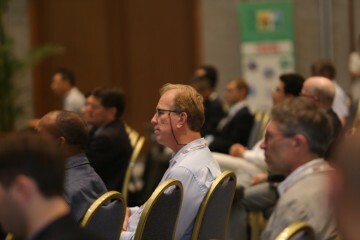 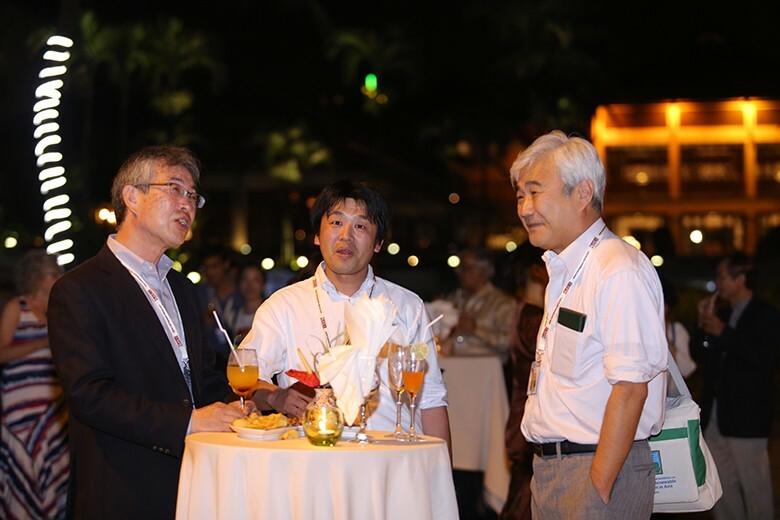 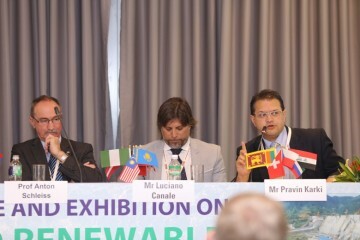 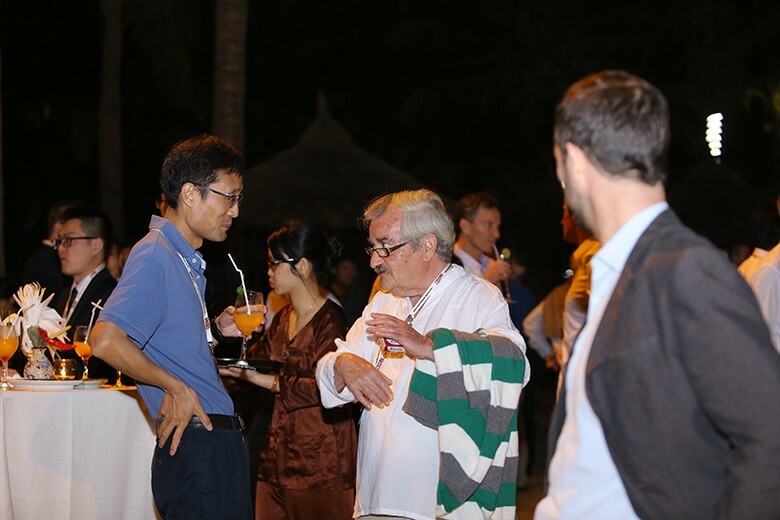 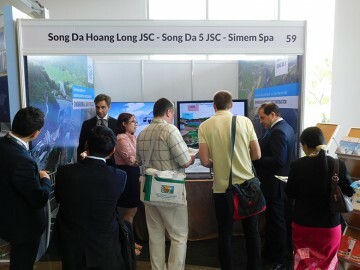 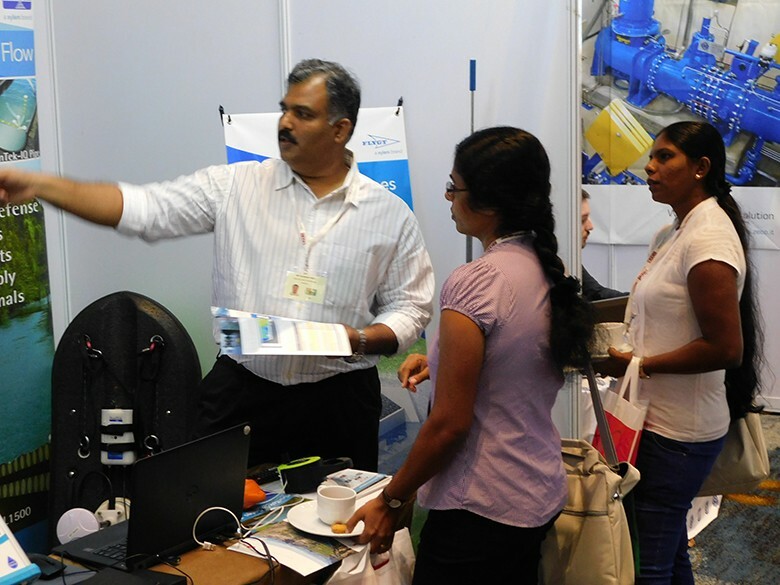 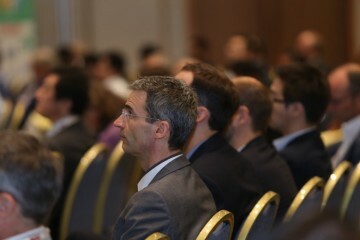 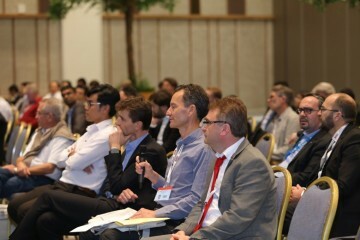 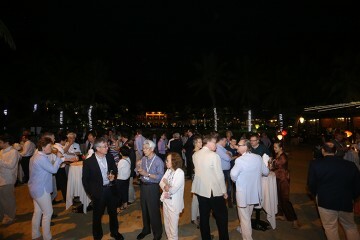 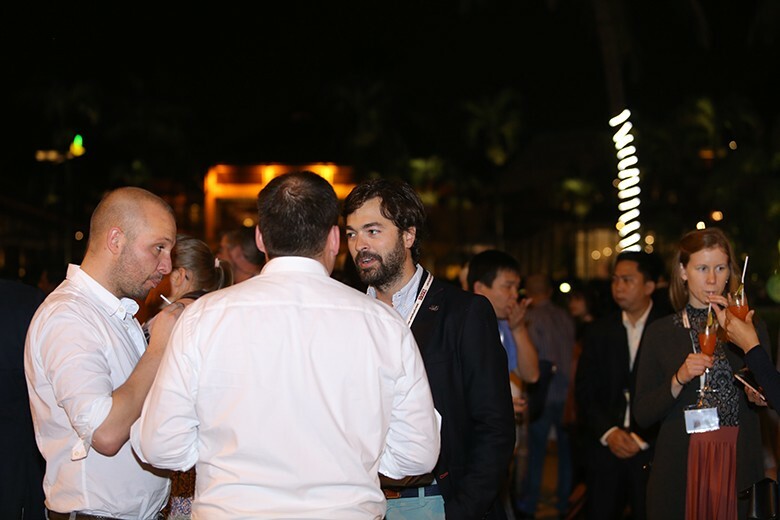 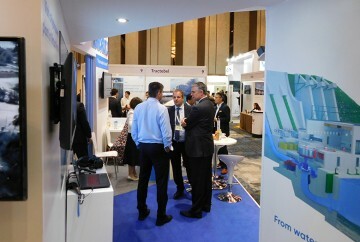 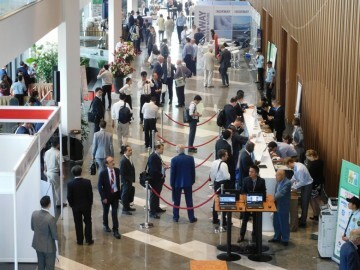 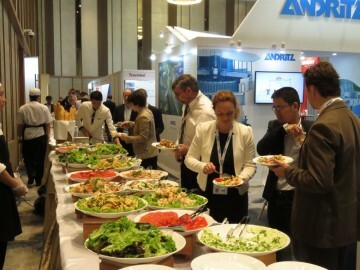 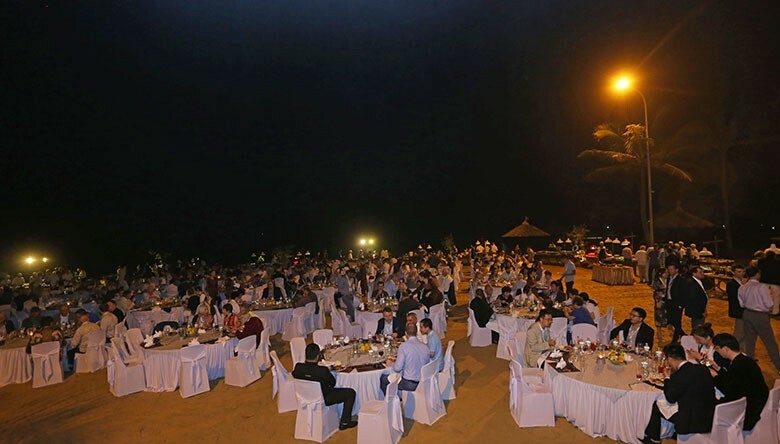 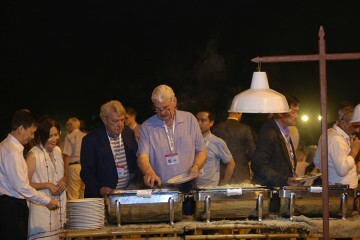 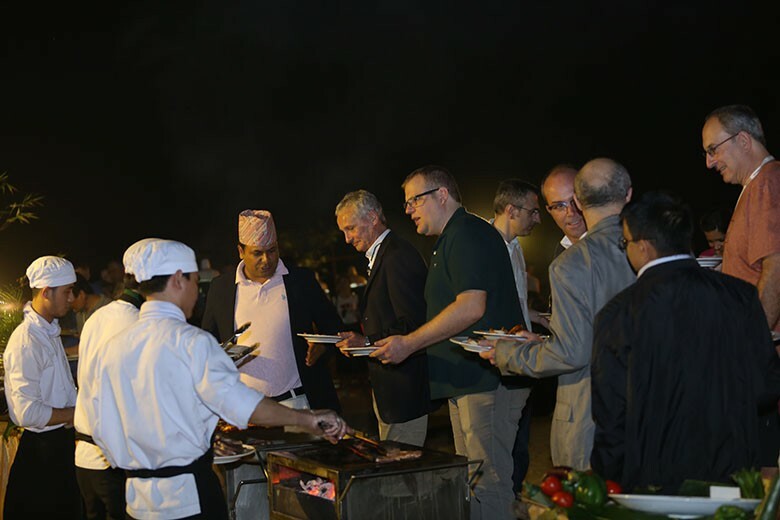 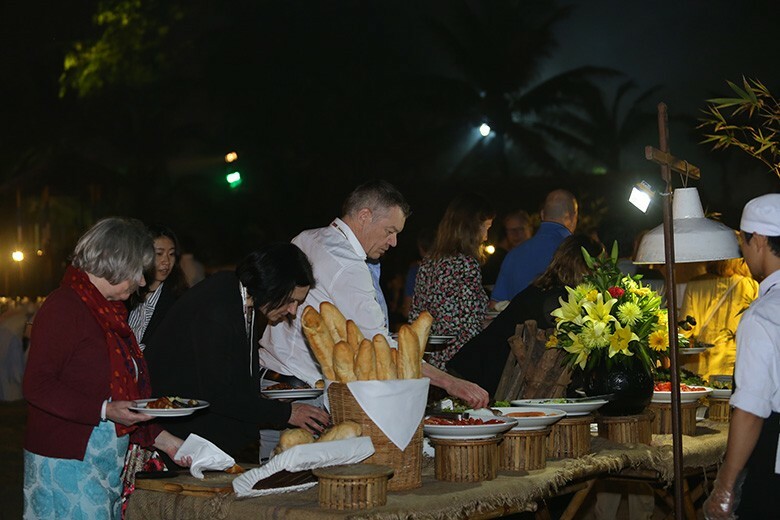 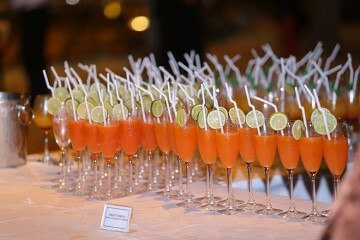 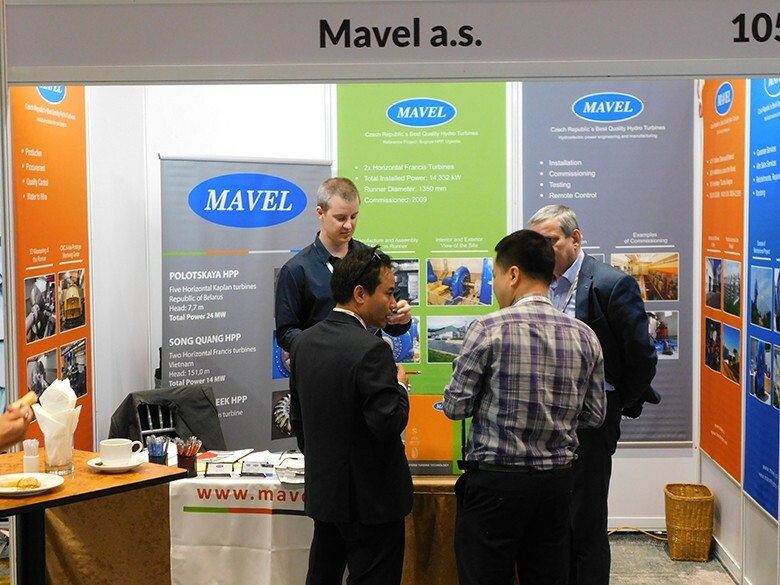 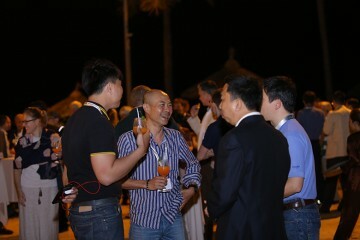 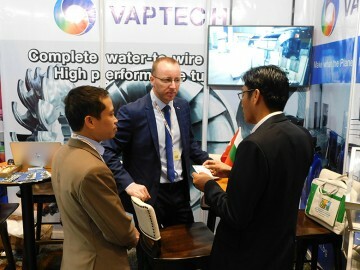 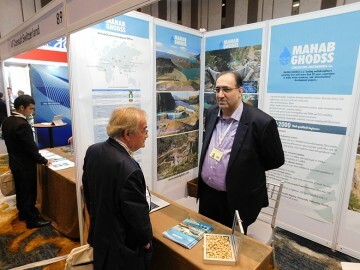 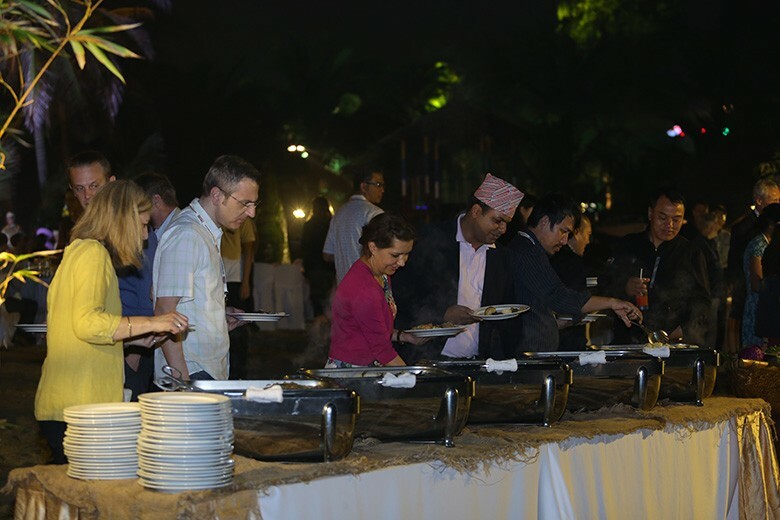 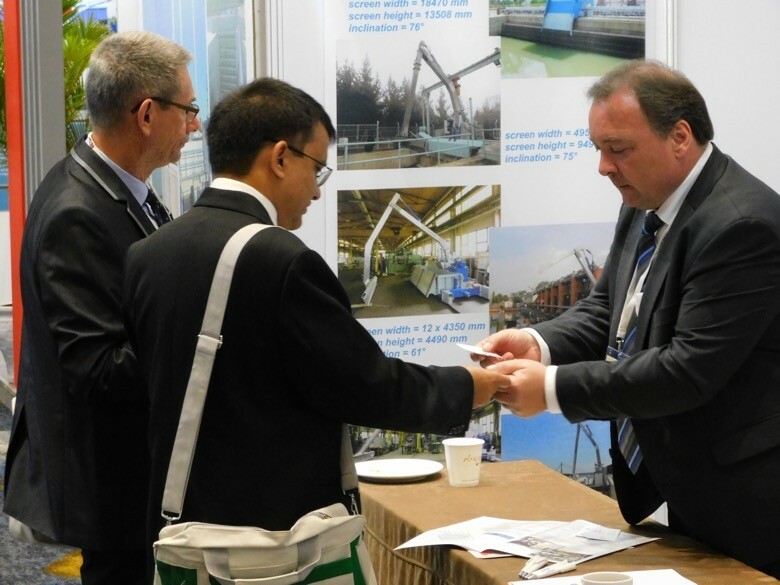 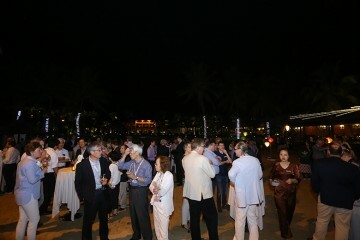 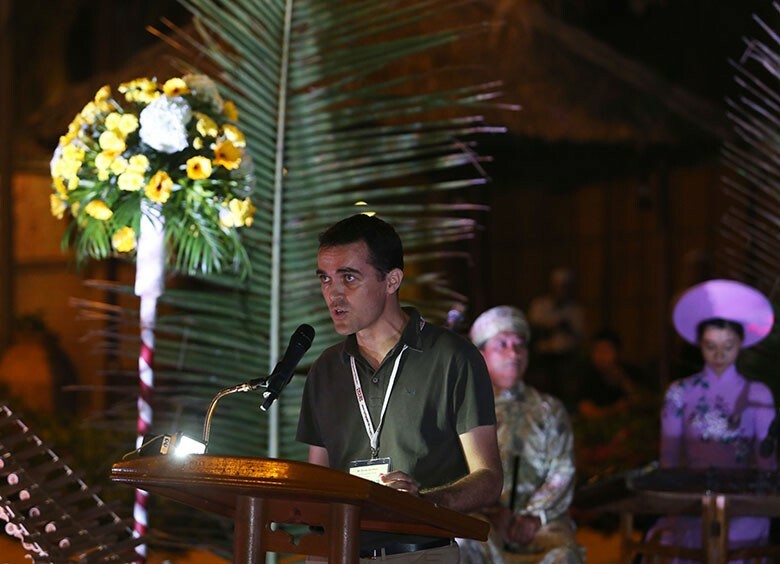 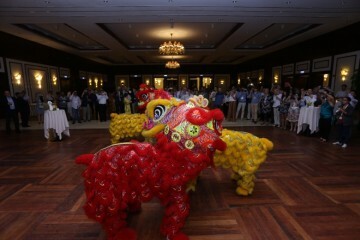 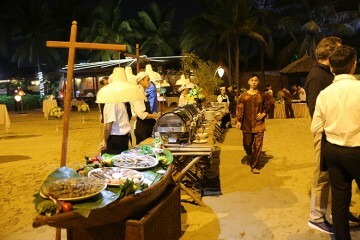 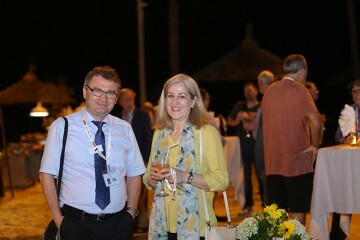 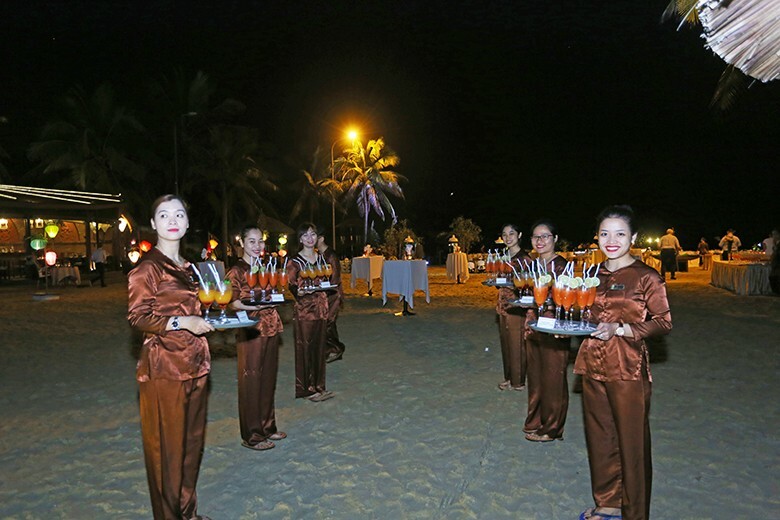 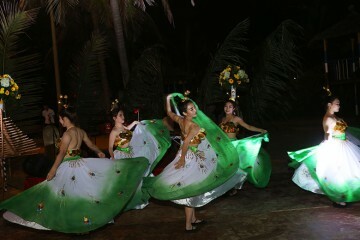 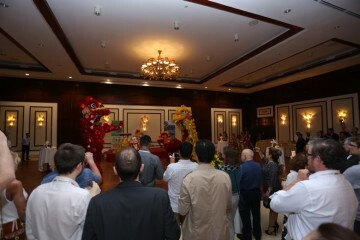 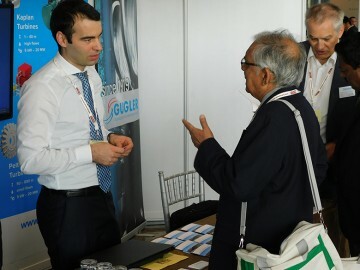 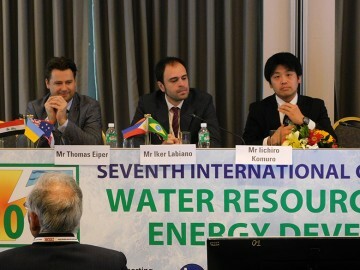 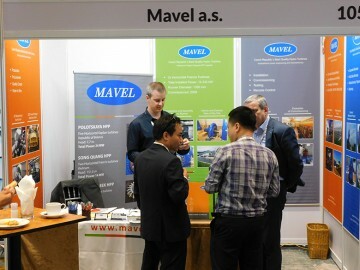 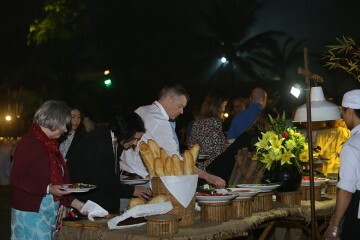 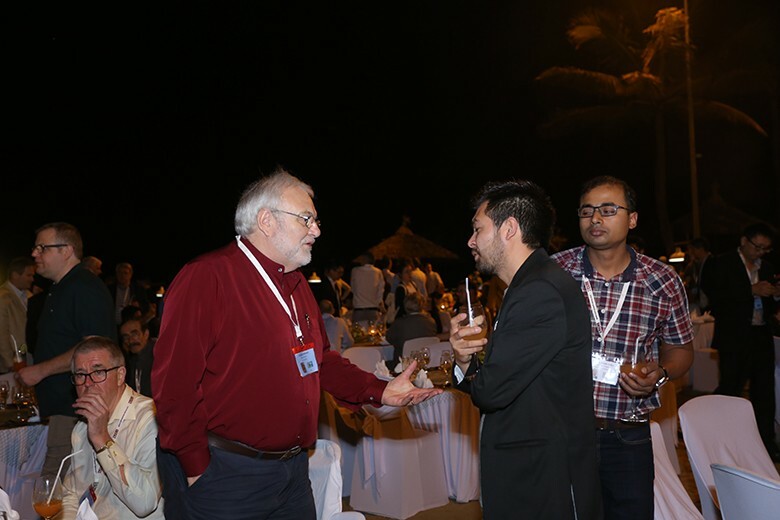 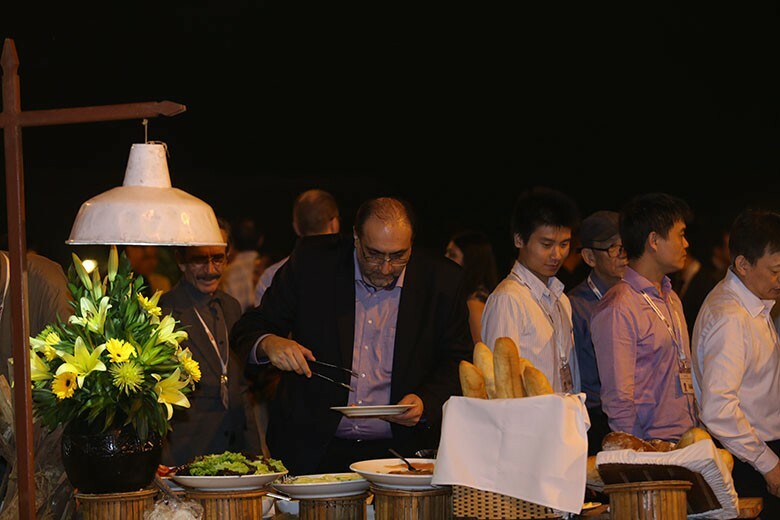 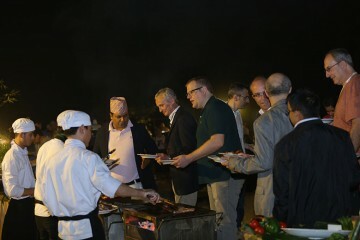 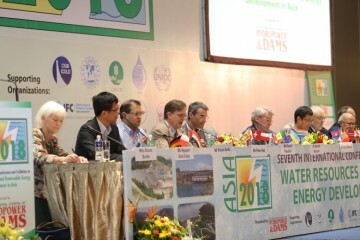 Organized by Aqua~Media International, the event has attracted about 550 participants, representing 45 countries. 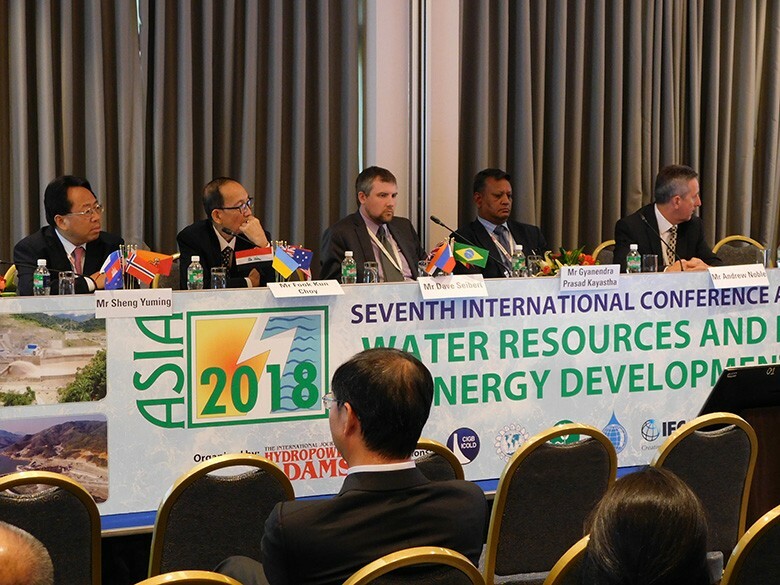 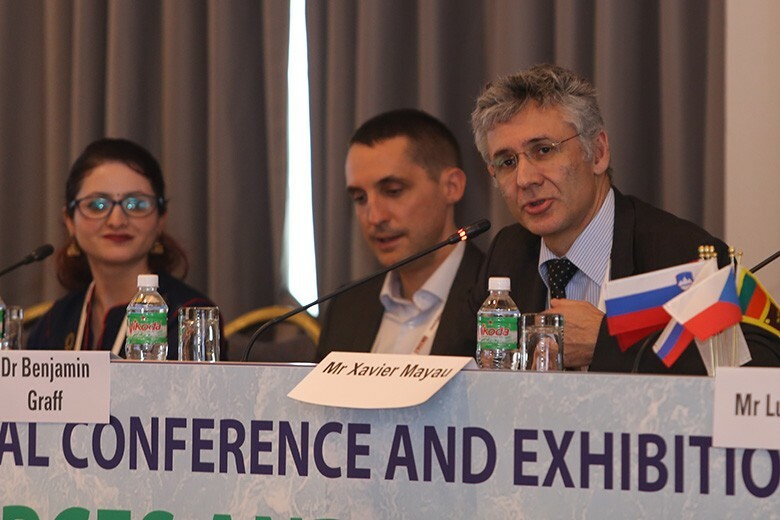 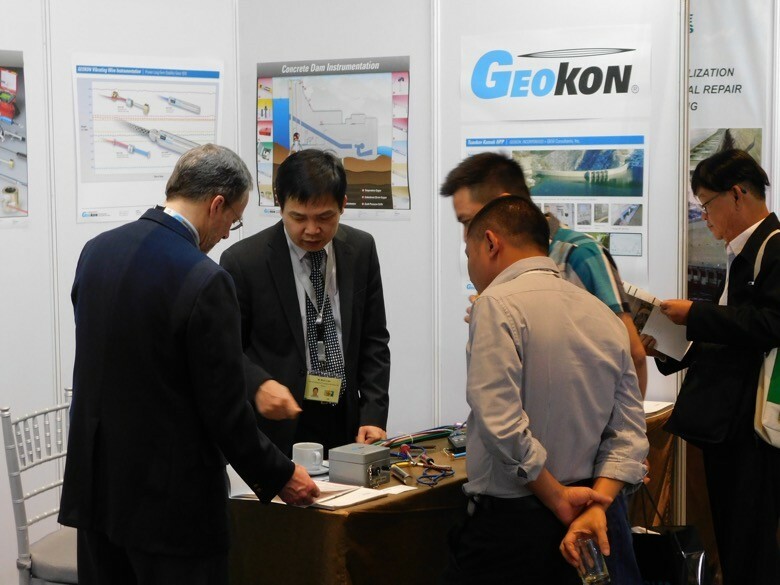 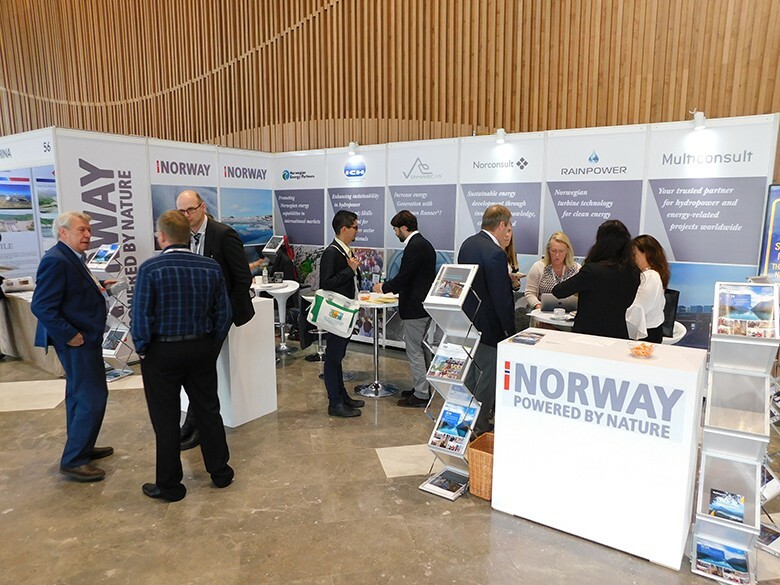 Experts from a wide range of disciplines, including earthquake engineering, dam safety, project finance, legal aspects, large and small hydropower, cross-border collaboration, pumped storage and environmental management, are meeting to exchange experience over three days. 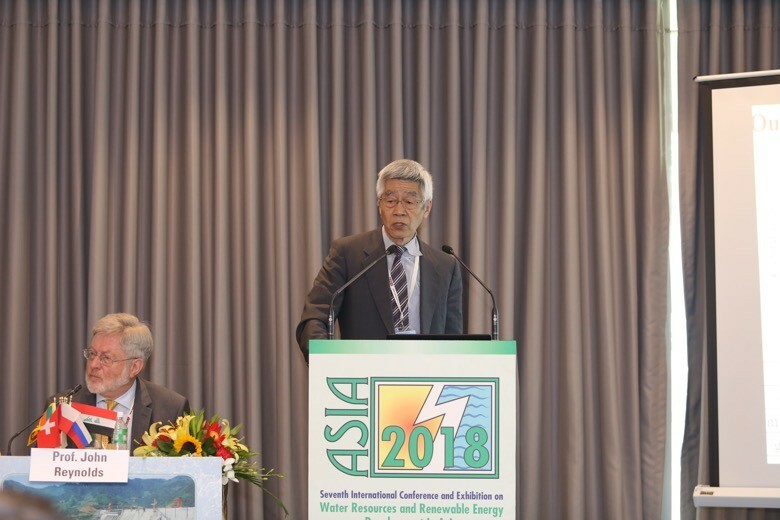 Vietnam’s Vice Minister of Agriculture and Rural Development, Dr Hoang Van Thang, Guest of Honour at ASIA 2018, speaks of the country’s major investment in irrigation, water supply and sanitation, during his opening address. 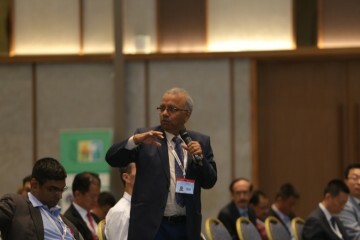 He also referred to some of the challenges presented by climate change, including an increase in flash floods and landslides, and spoke of adaptation measures policies being implemented. 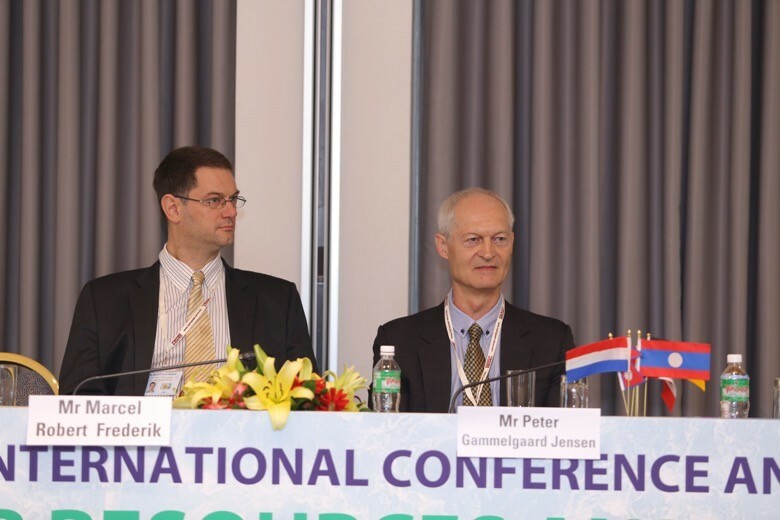 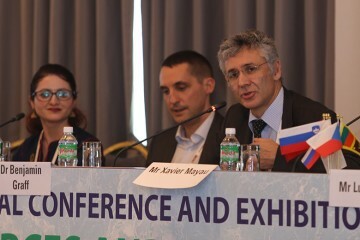 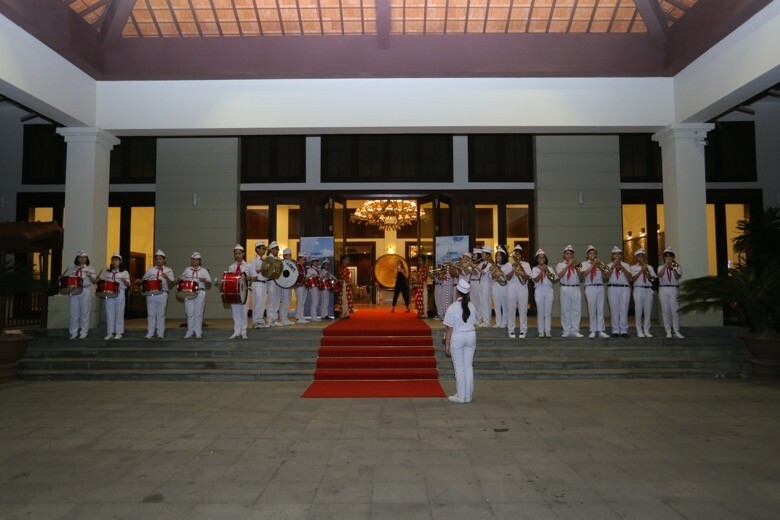 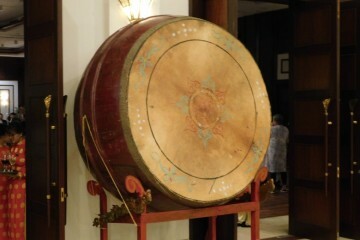 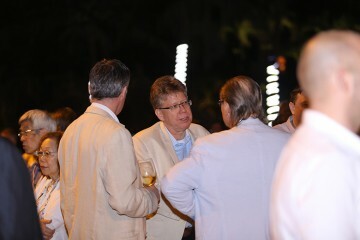 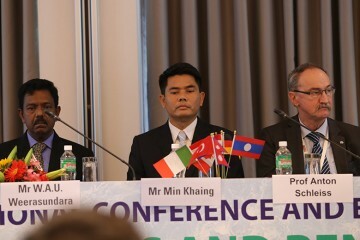 He declared the conference open, on the morning of 13 March. 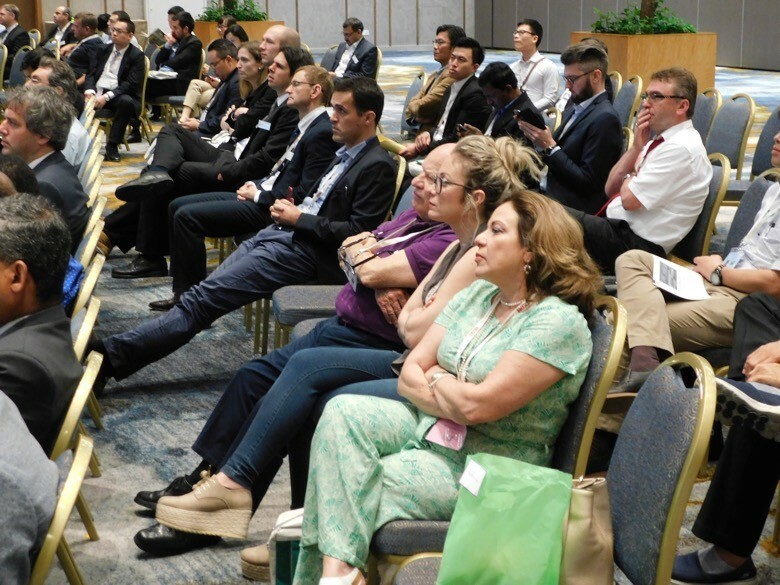 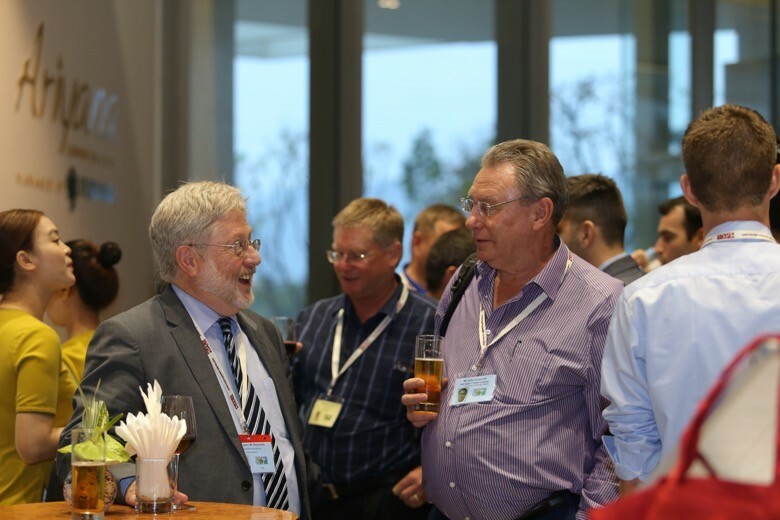 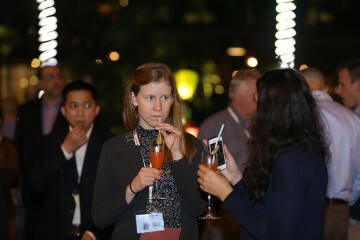 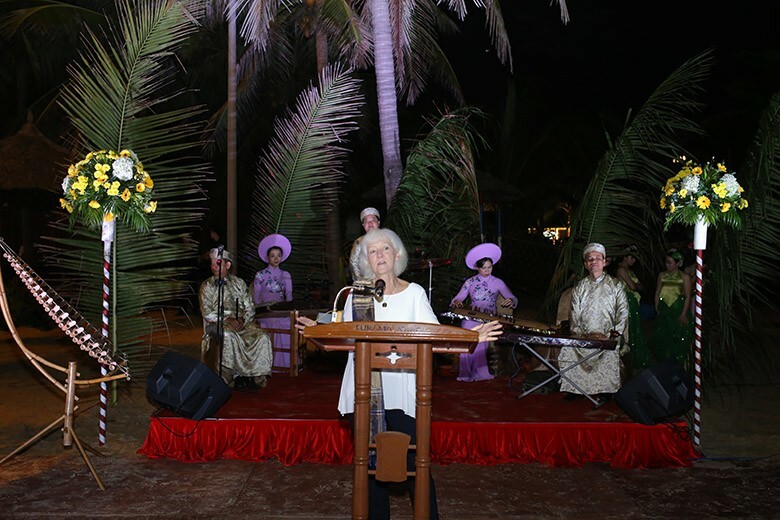 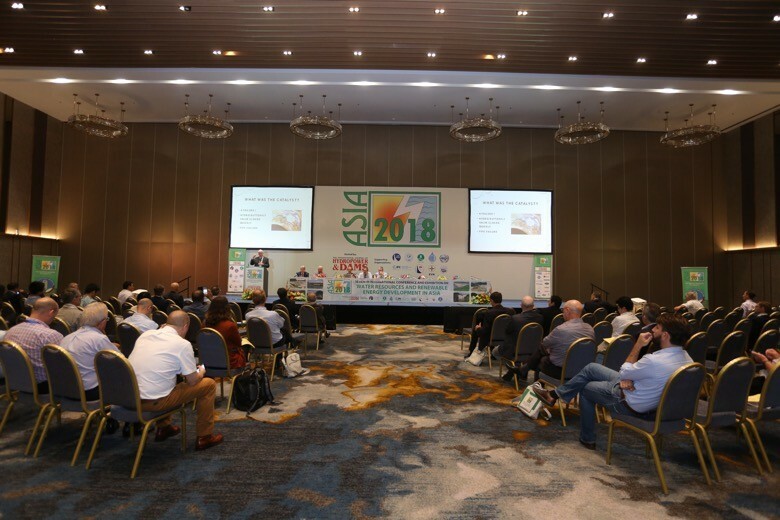 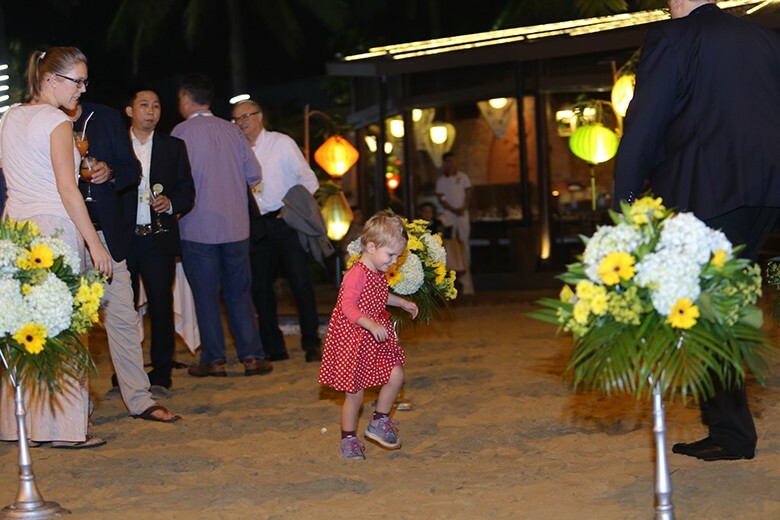 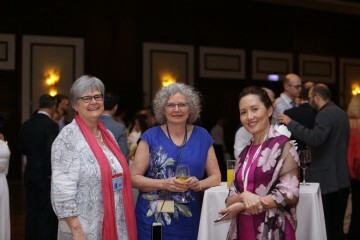 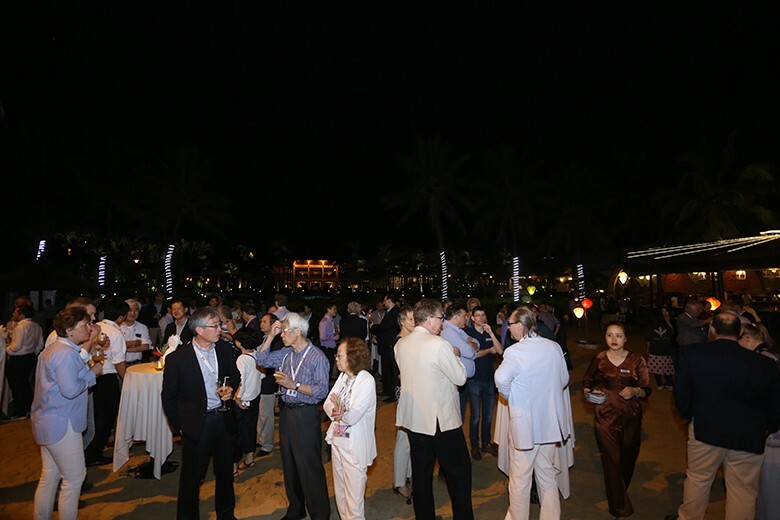 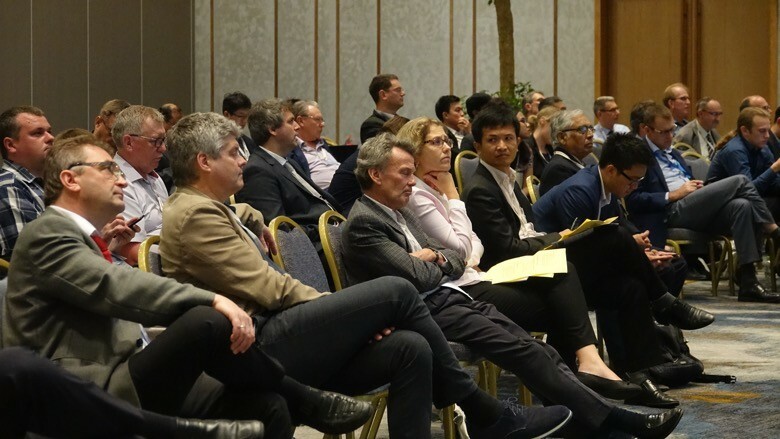 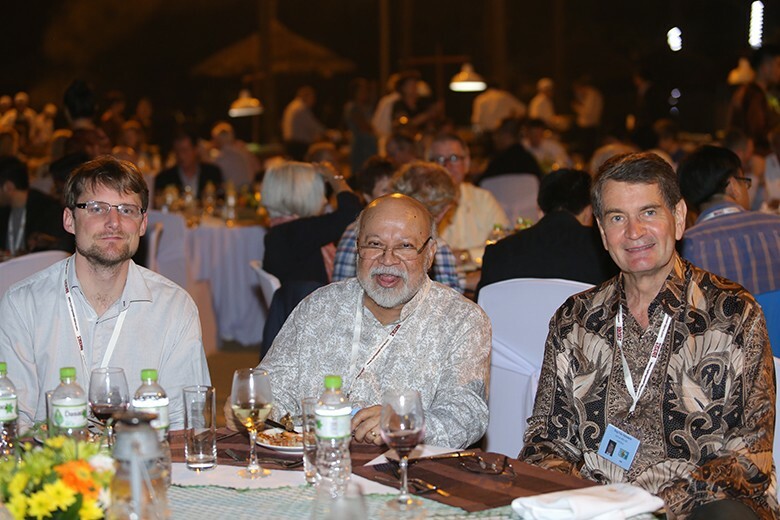 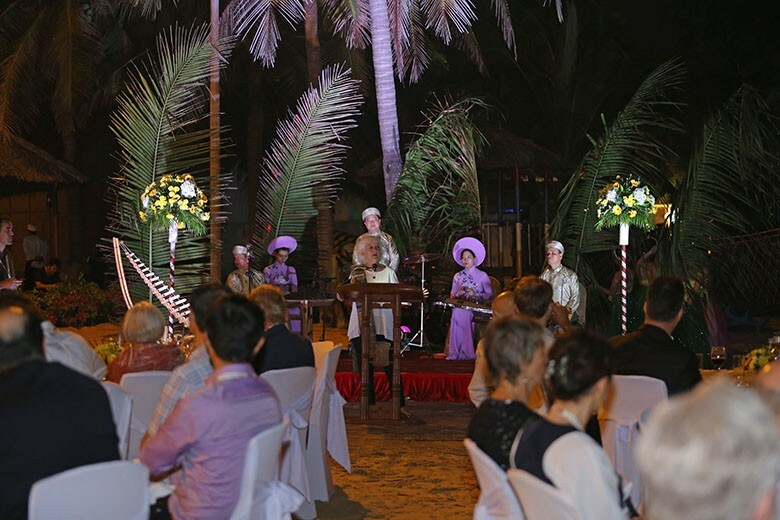 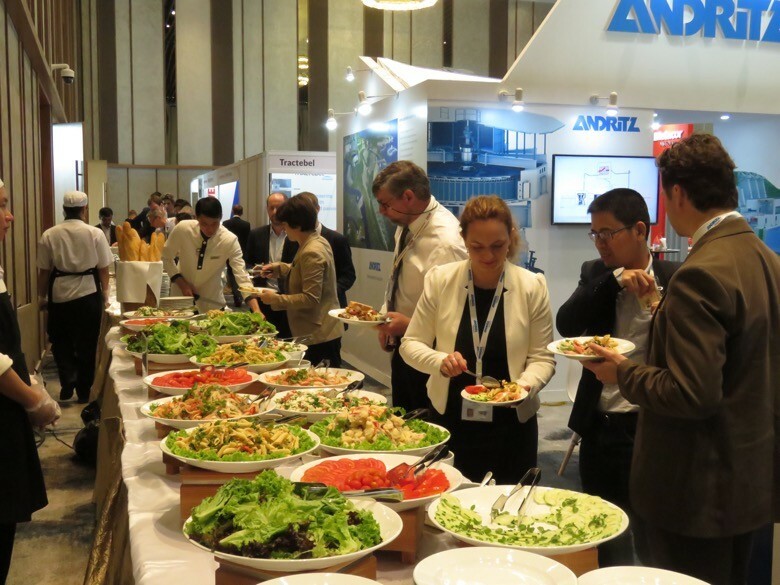 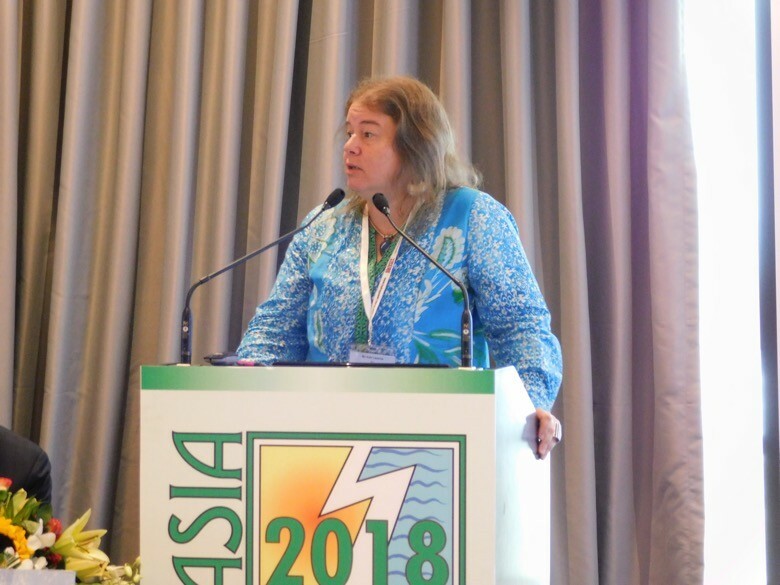 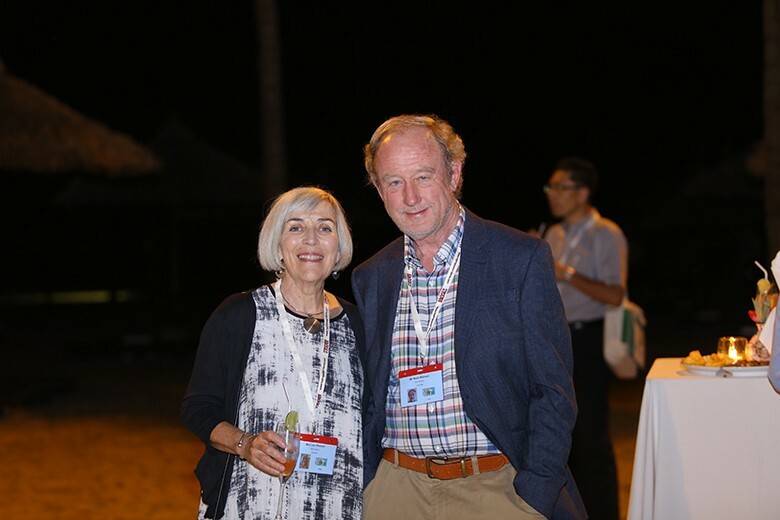 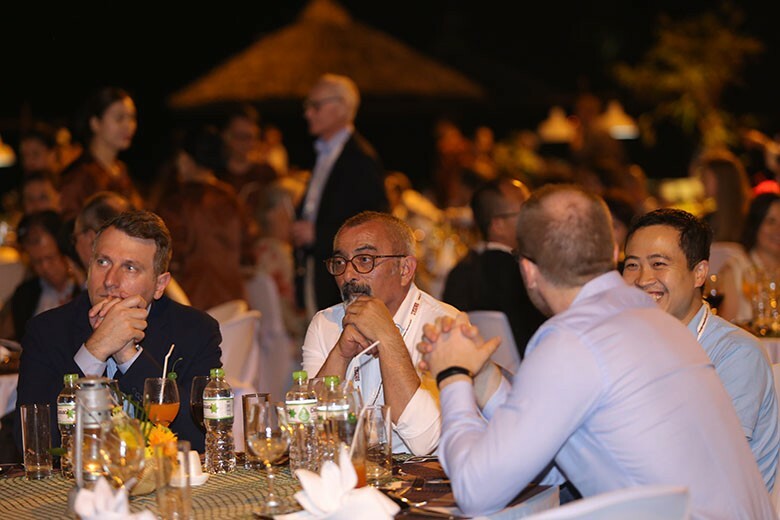 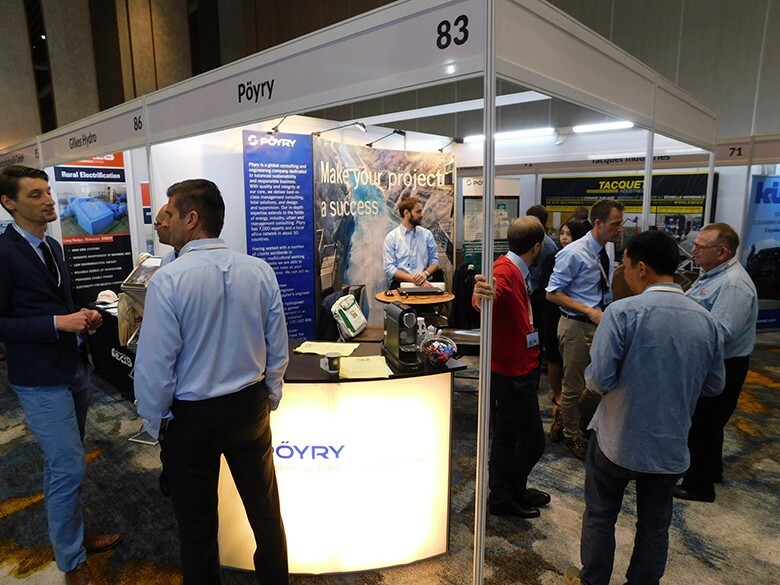 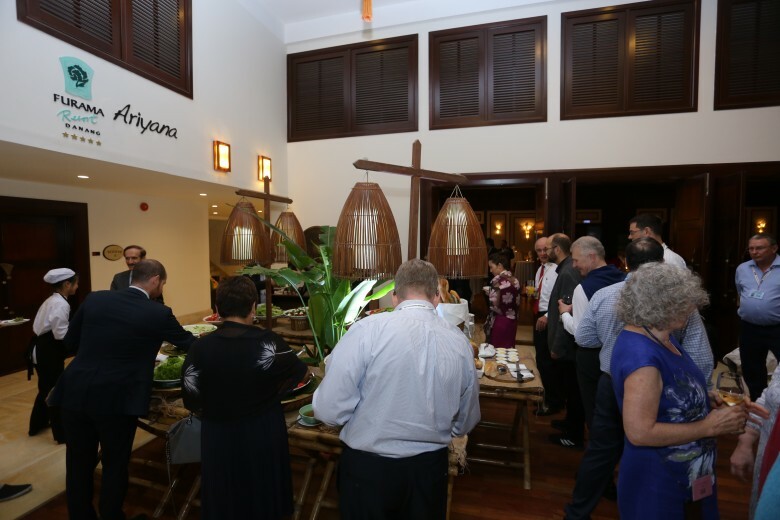 Aqua~Media Director Alison Bartle welcomes delegates to ASIA 2018, and previews the conference programme. 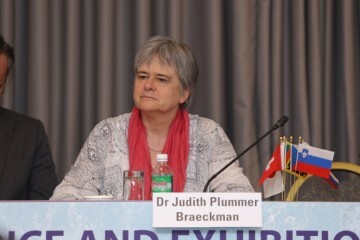 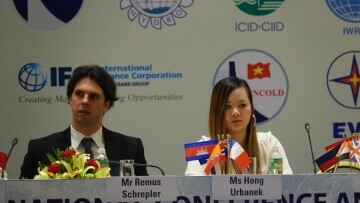 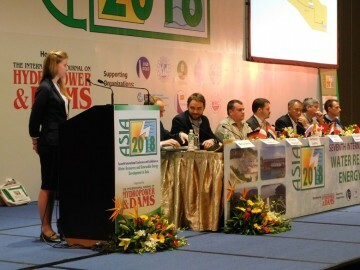 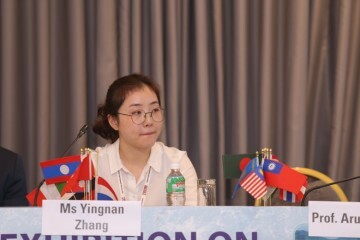 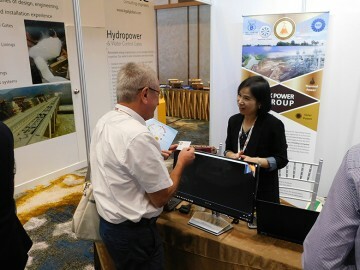 She drew attention to major achievements in the field of hydropower and dams, in the decade since ASIA 2008 took place in Danang. 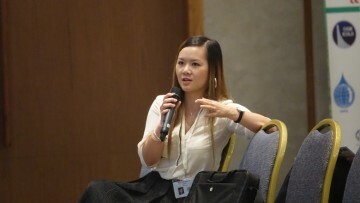 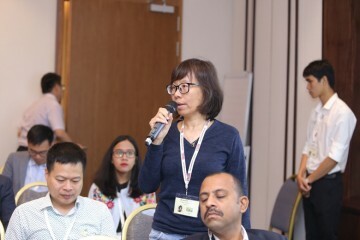 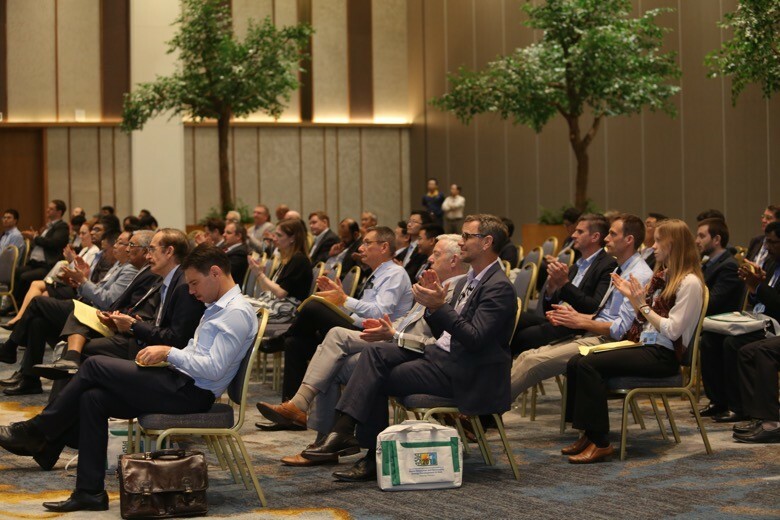 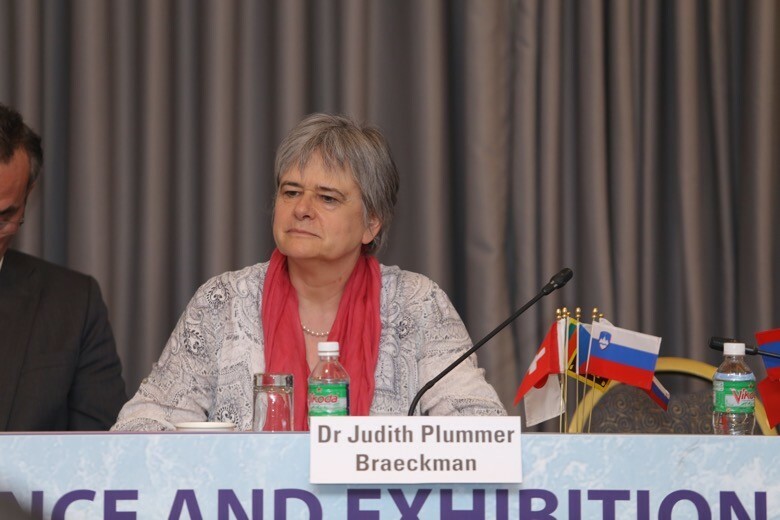 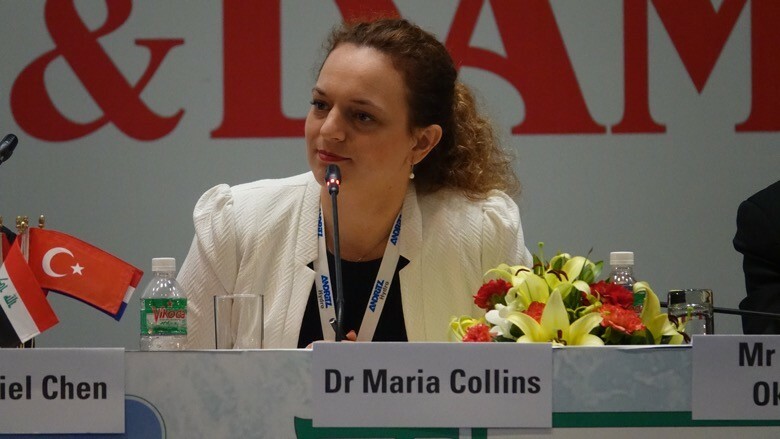 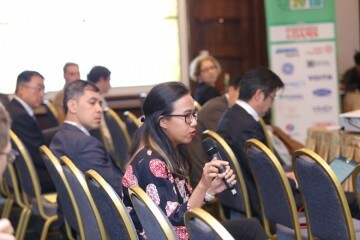 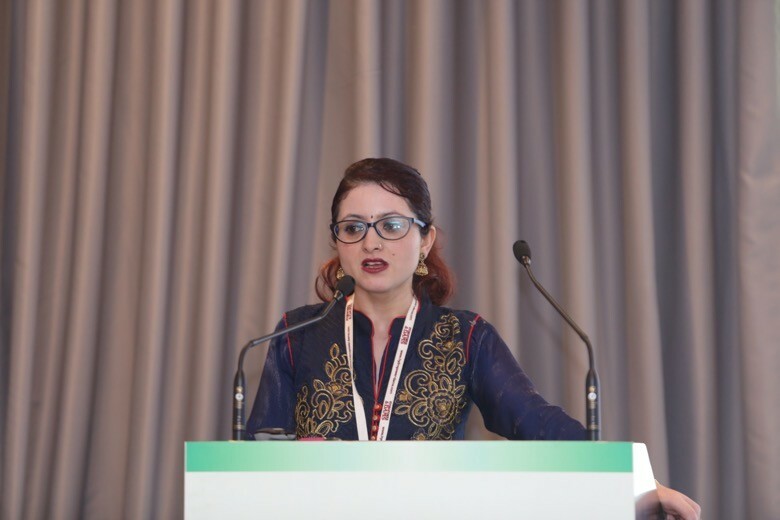 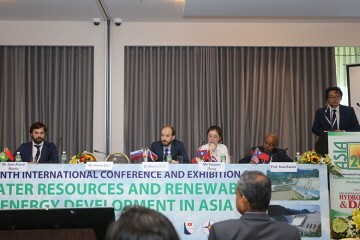 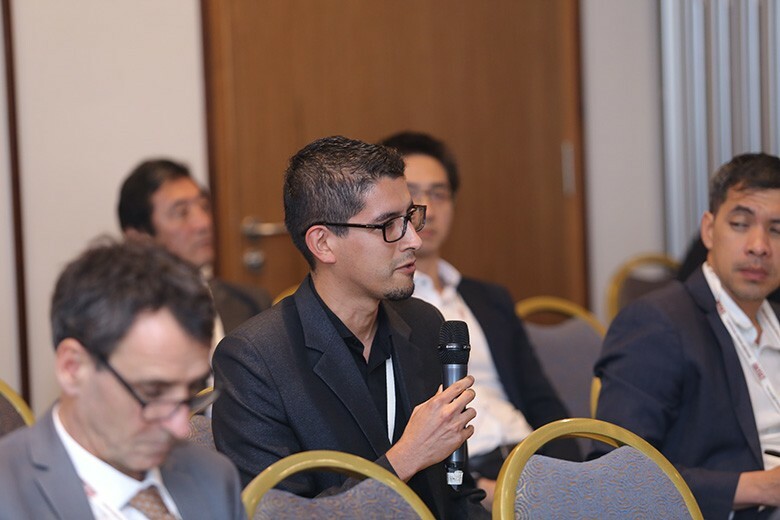 She highlighted some of the current challenges to be addressed in the sessions, such as challenging site conditions, climate issues, and managing financial risk, and emerging topics such as synergy between renewable energy sources. 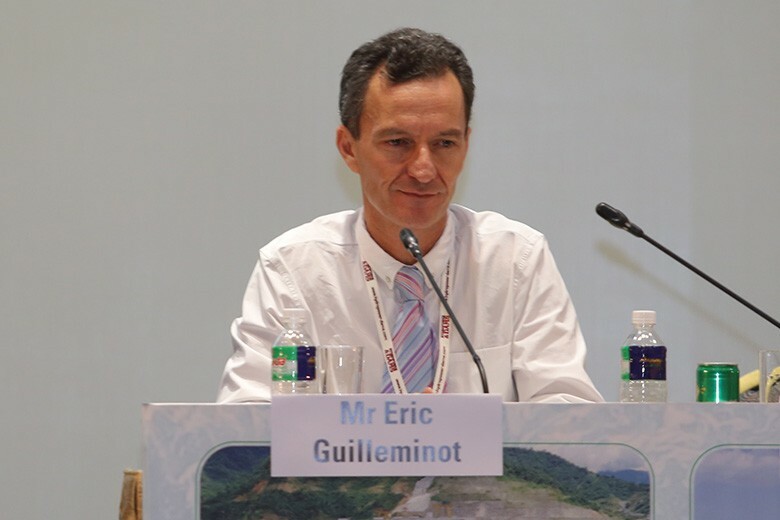 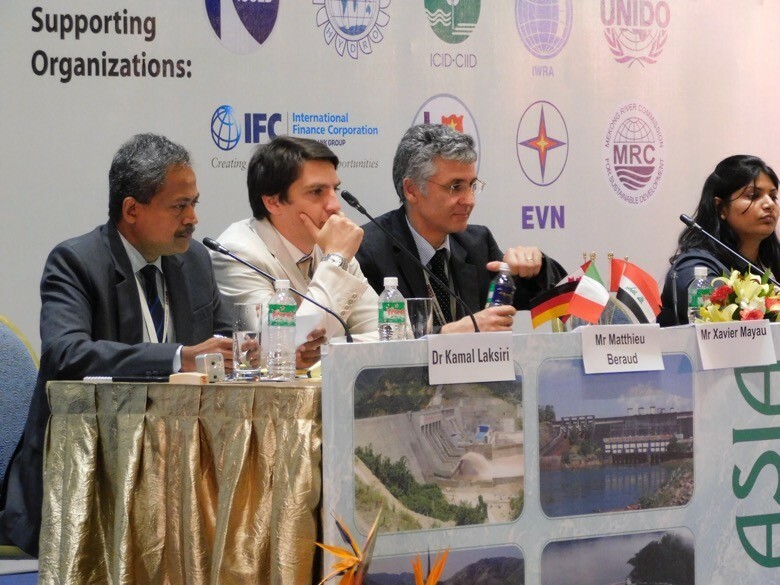 Ousmane Dione, World Bank Country Director for Vietnam, outlined the Bank’s policy for supporting hydropower, drawing attention to its multiple benefits in the region. 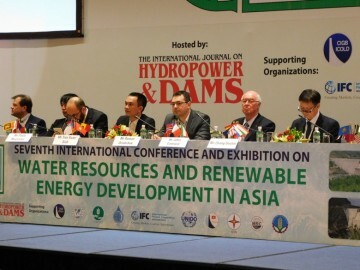 “For small countries, hydro can be economically transformative”, he said. 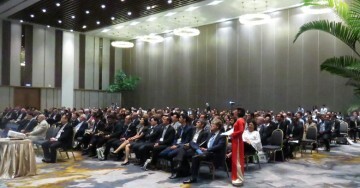 He highlighted Vietnam as an example of a country which had demonstrated how the private and public sectors could work together with the World Bank. 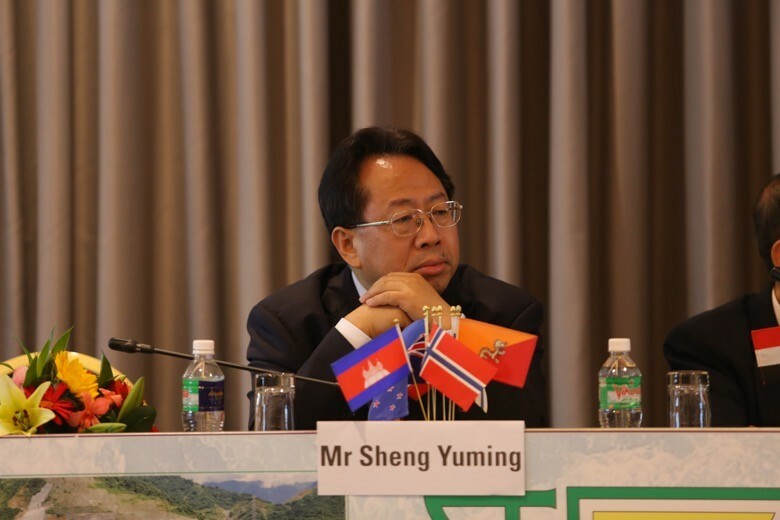 He drew attention to the Bank-funded 250 MW Trung Son scheme, completed in July 2017 on time and within budget. 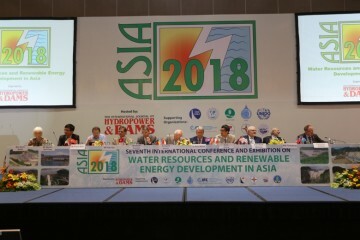 He felt that the three fundamental issues for Asia, moving forward with water resources and renewable energy development, were: the potential for trans-boundary cooperation; the importance of benefit sharing; and cross-fertilization of knowledge on best practice. Prof Pham Hong Giang, President of the Vietnamese National Committee on Large Dams, gives his opening address, in which he outlined progress in dam construction in his country, and referred to World Bank support for dam safety programmes. VNCOLD is one of the major local supporting organizations for the conference. 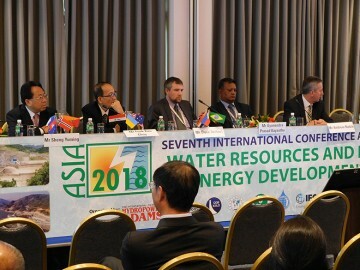 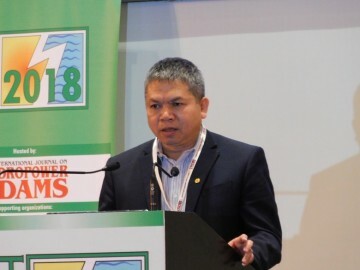 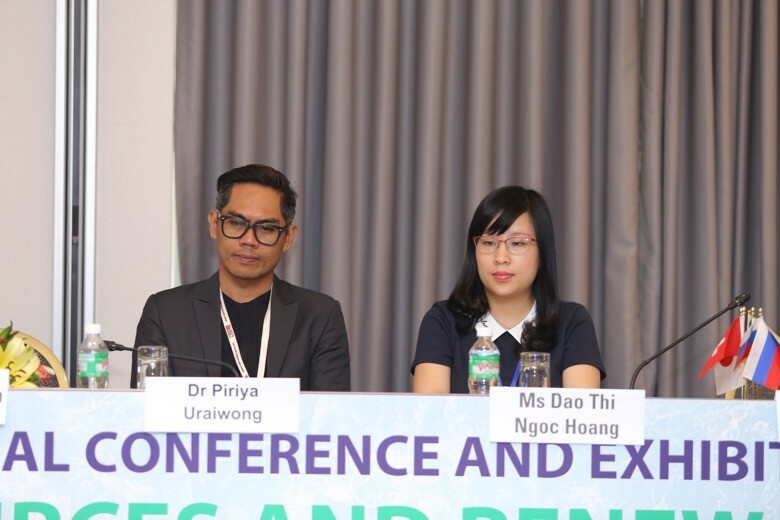 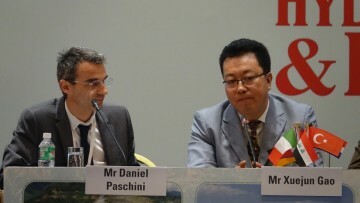 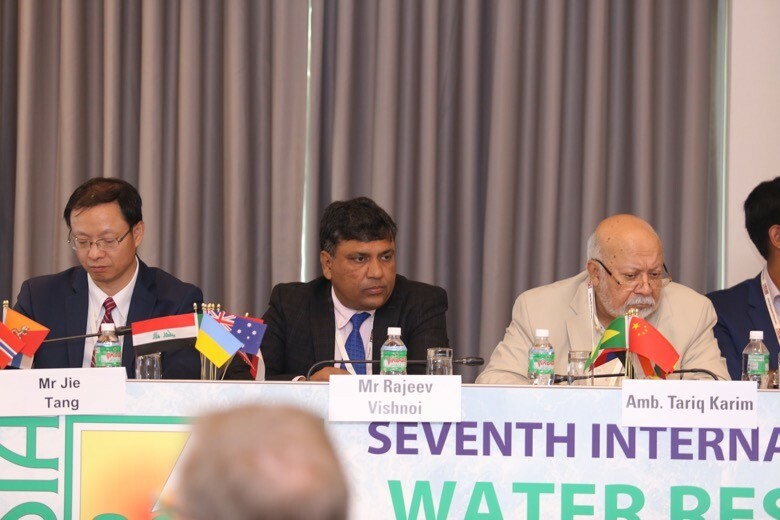 Dr Hatda Pich An, Director of Planning at the Mekong River Commission, Lao PDR, described the Mekong river basin as one of the most active regions of the world for water resources development. 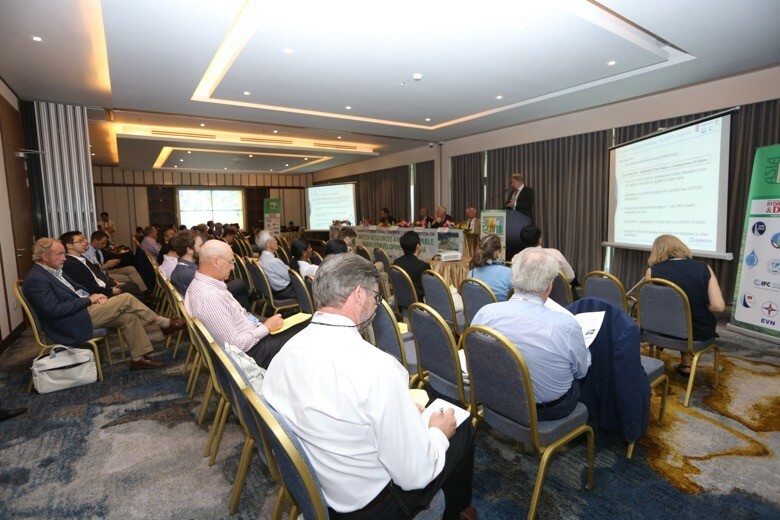 He outlined some of MRC’s current work programmes, including a study of cumulative environmental impacts of mainstream projects. 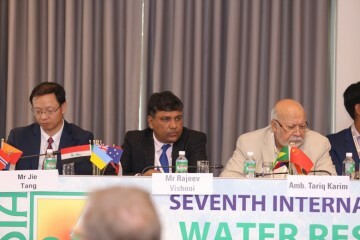 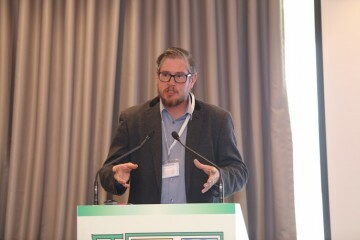 He stressed the importance of basin-wide management. 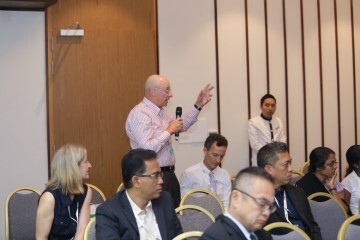 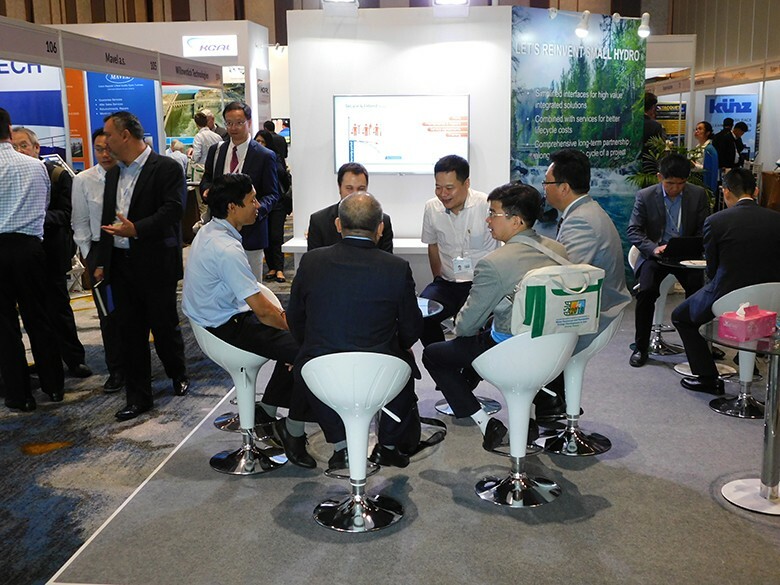 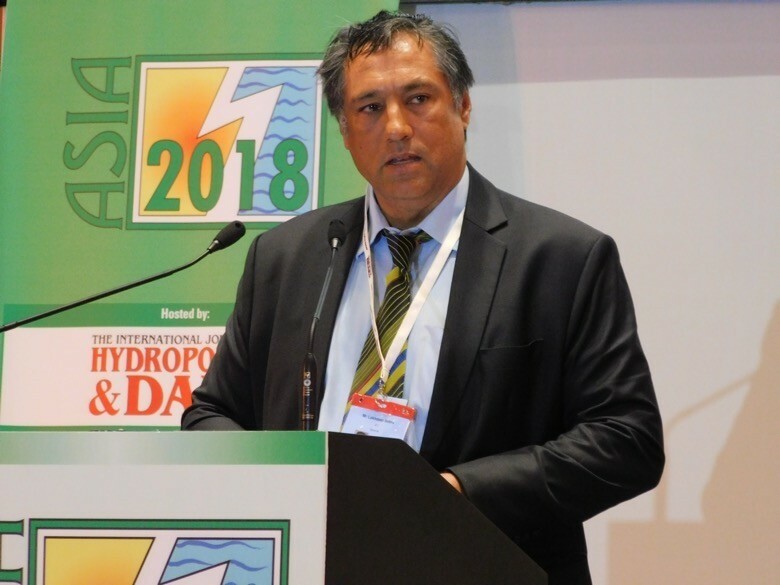 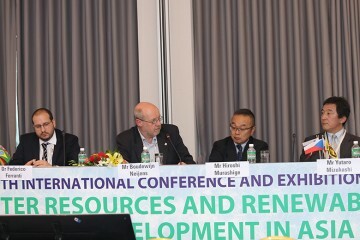 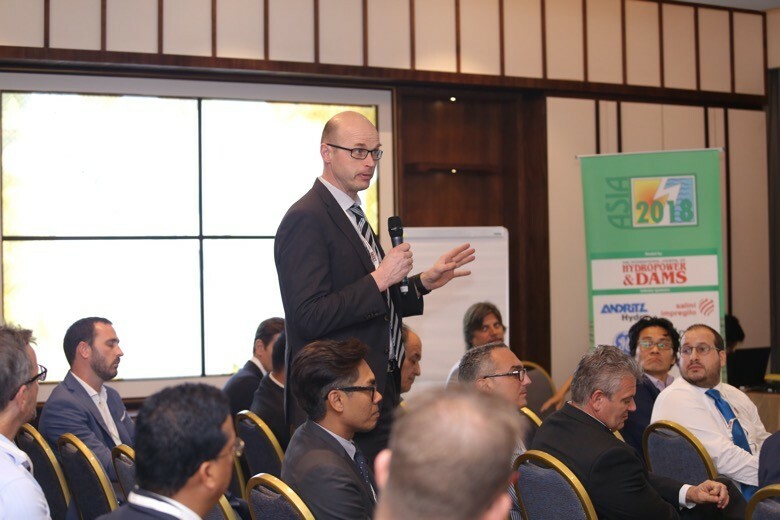 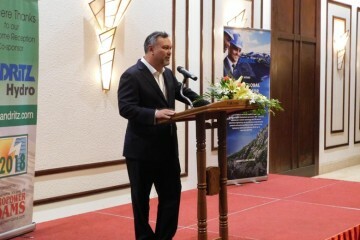 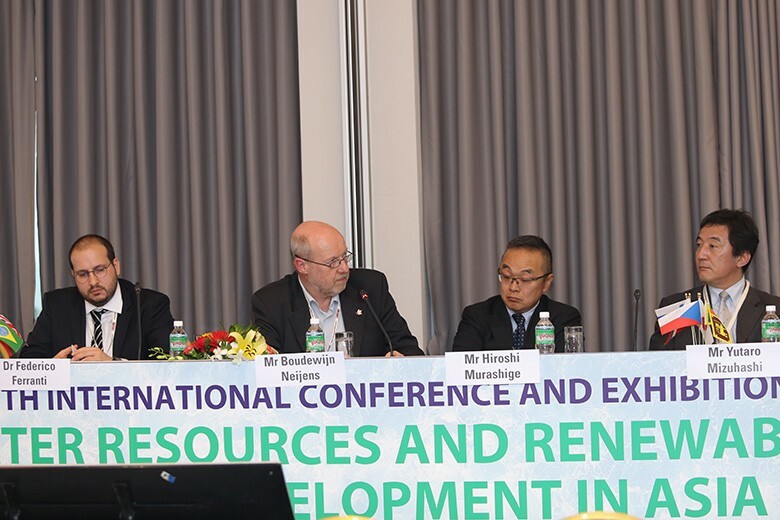 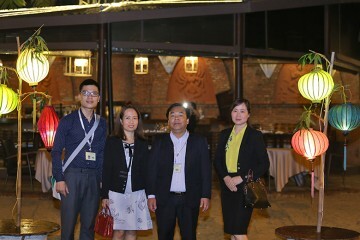 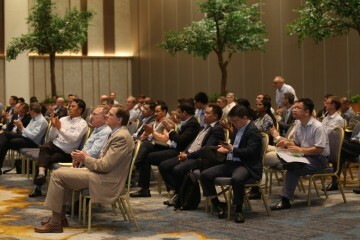 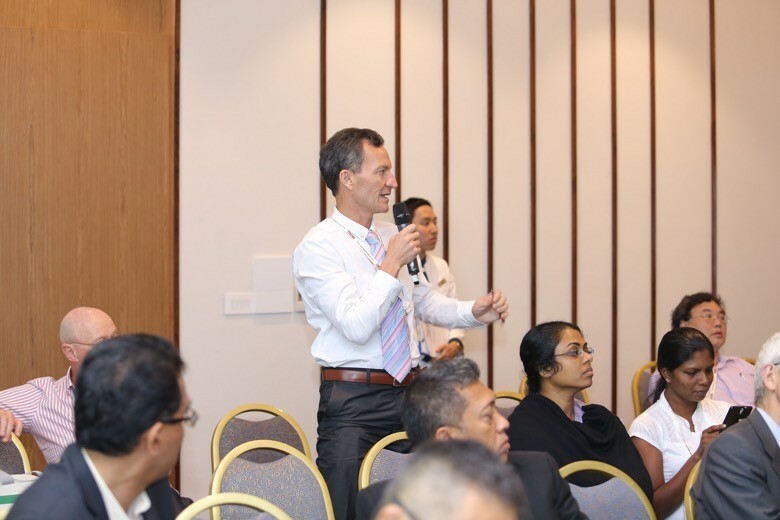 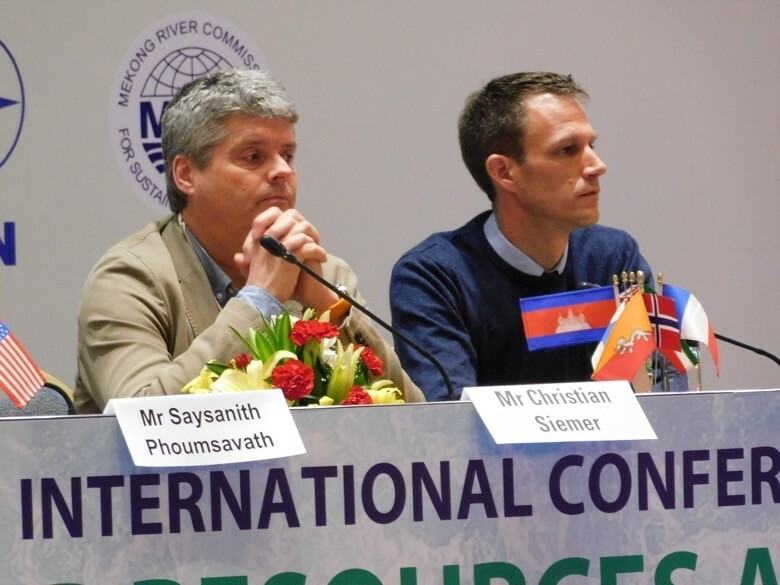 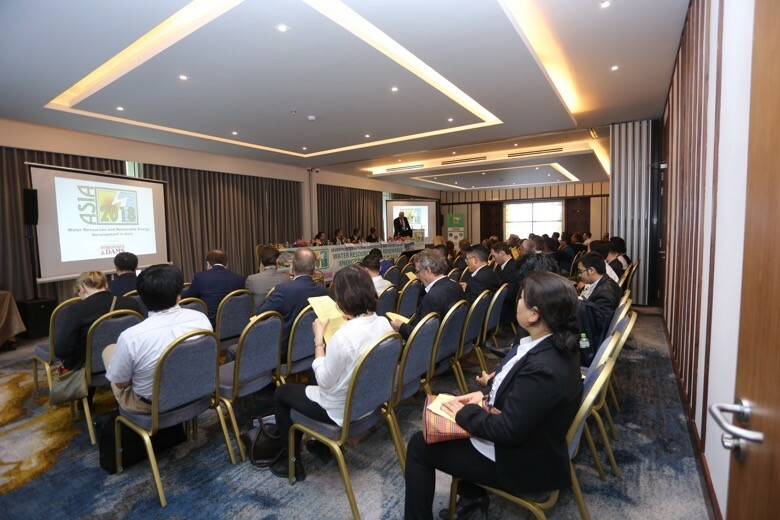 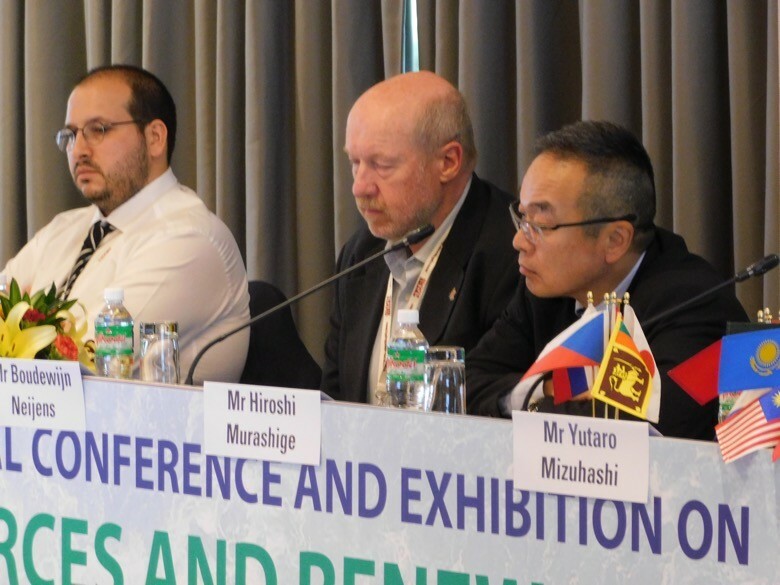 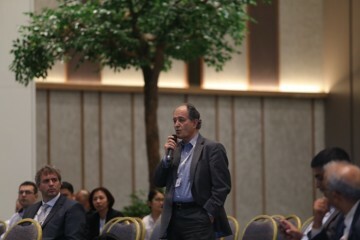 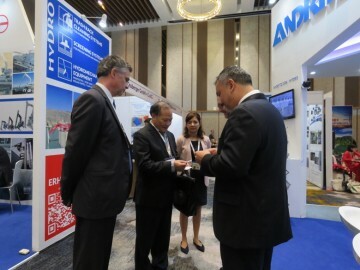 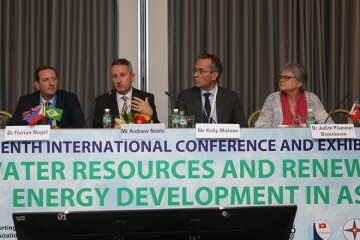 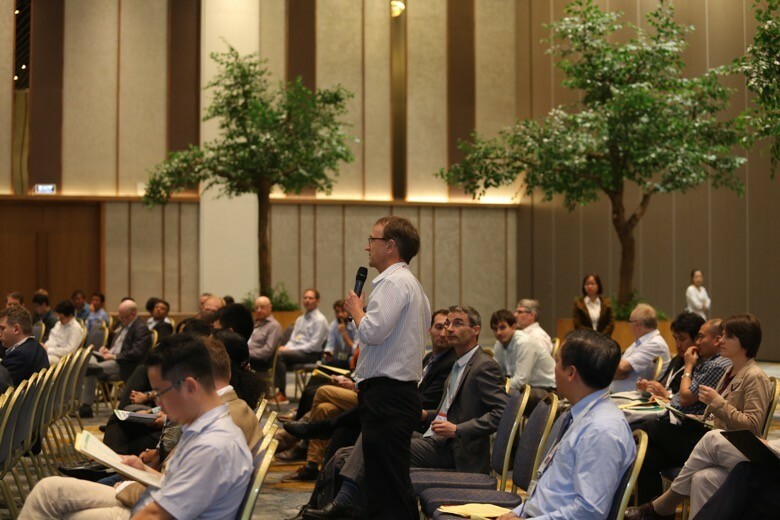 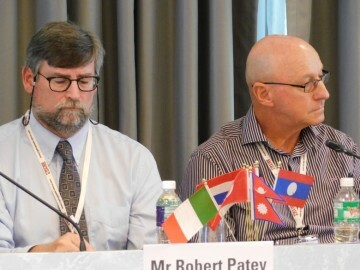 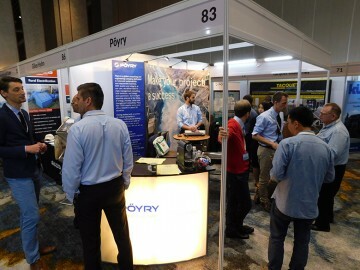 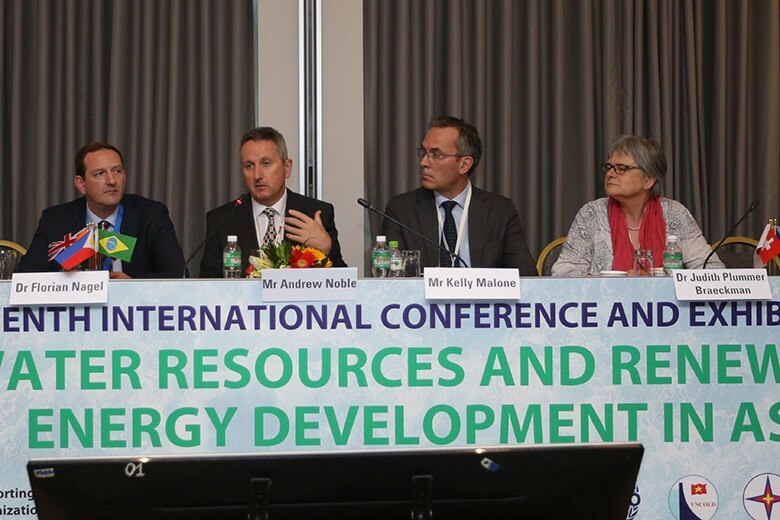 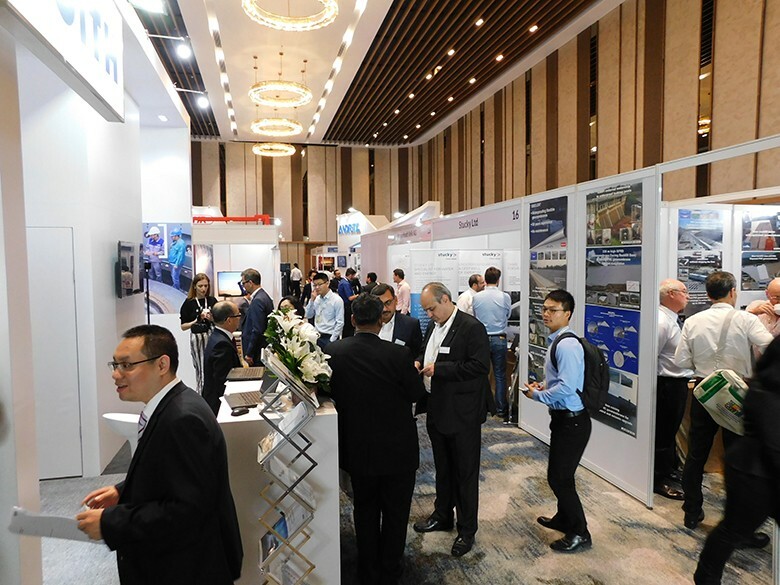 He said the MRC team welcomed dialogue with interested parties during the conference, and were looking to engage with developers and their consultants who were developing hydro plants in the mainstream Mekong and the tributaries. 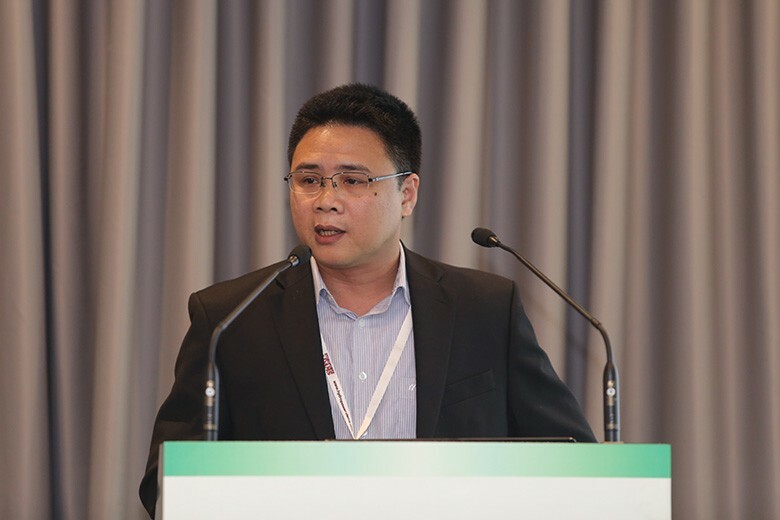 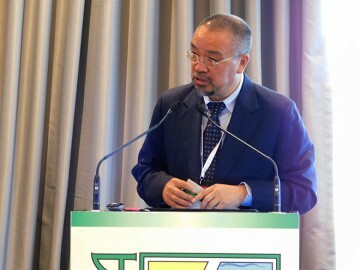 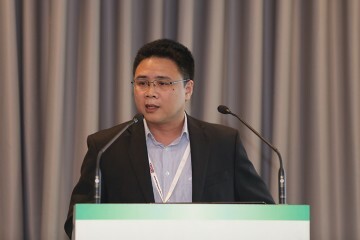 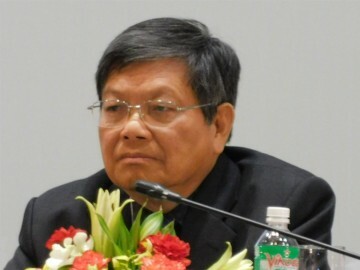 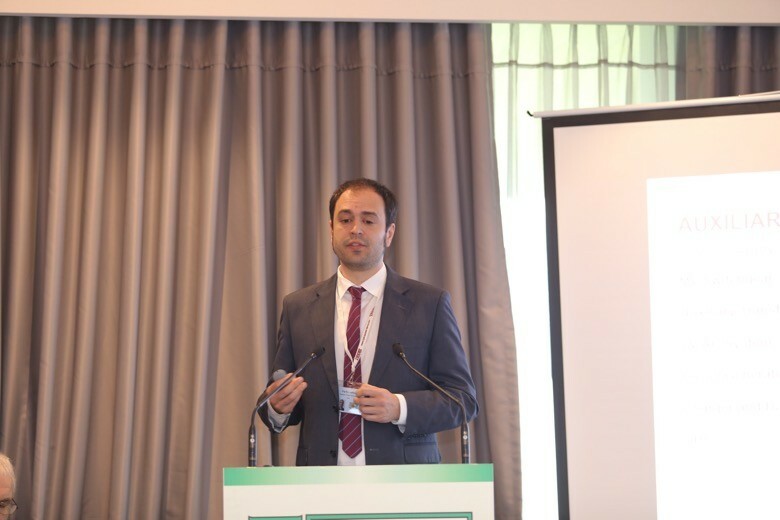 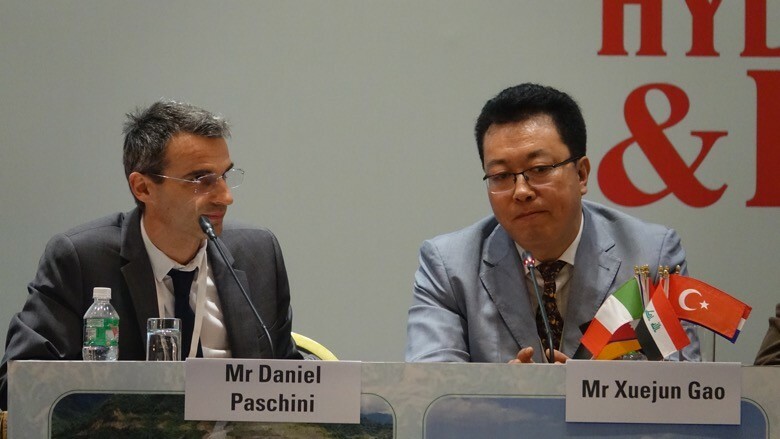 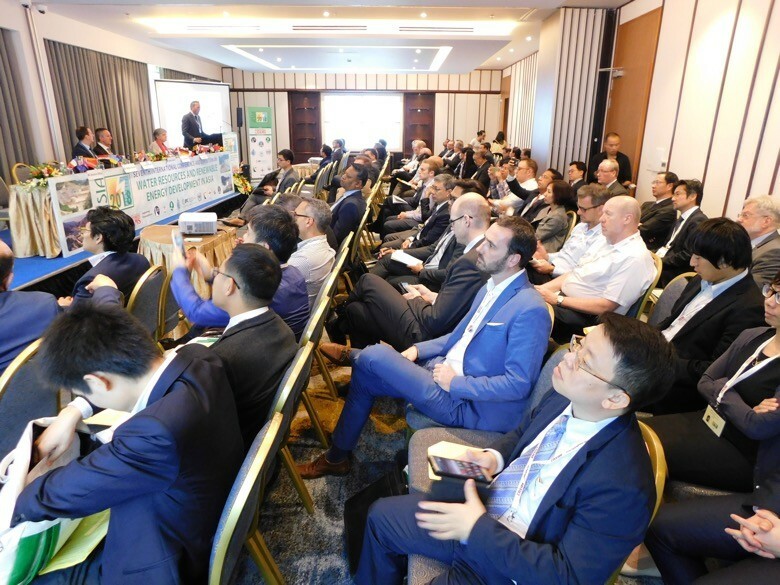 Nguyen Cuoc Chinh, Technical Director of EVN, Vietnam, outlined the country’s portfolio of powerplants, and gave details of Vietnam’s National Masterplan, which had been revised in 2016. 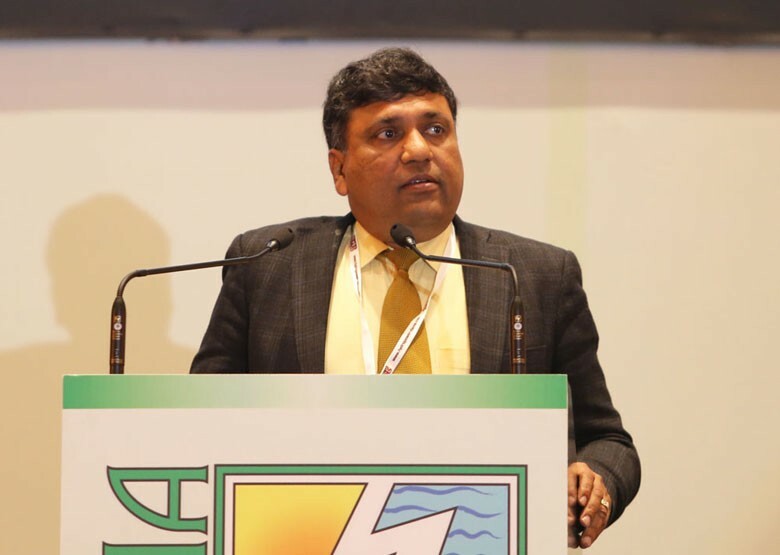 This calls for 60 000 MW more capacity to be installed by 2020, and 129 500 MW by 2030. 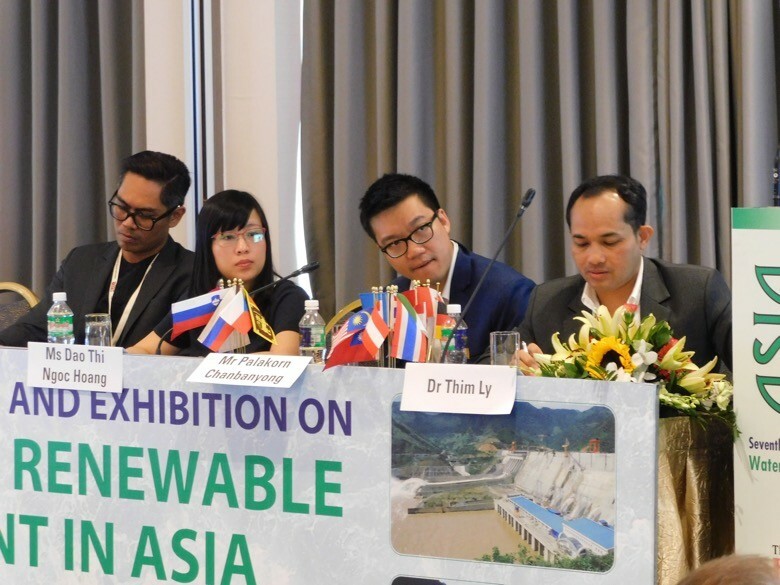 Three extension projects are planned at existing hydropower plants: Hoa Binh, Laly and Trian. 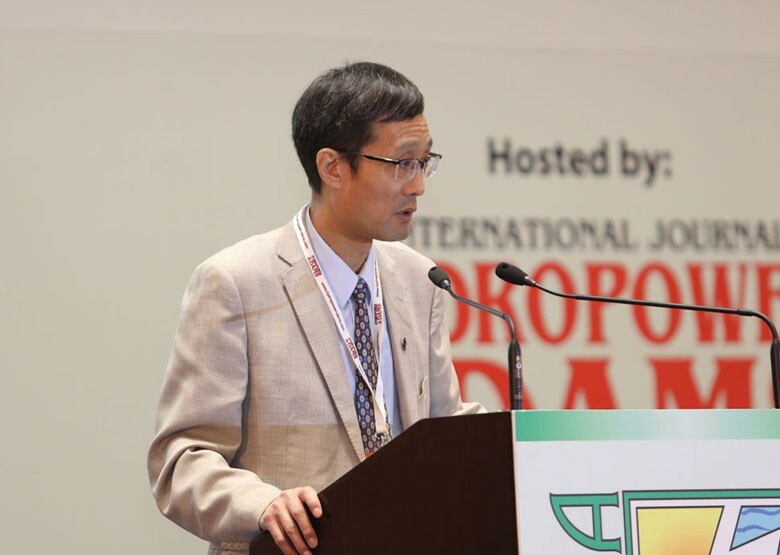 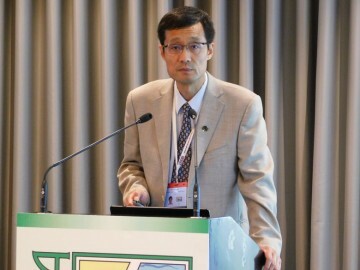 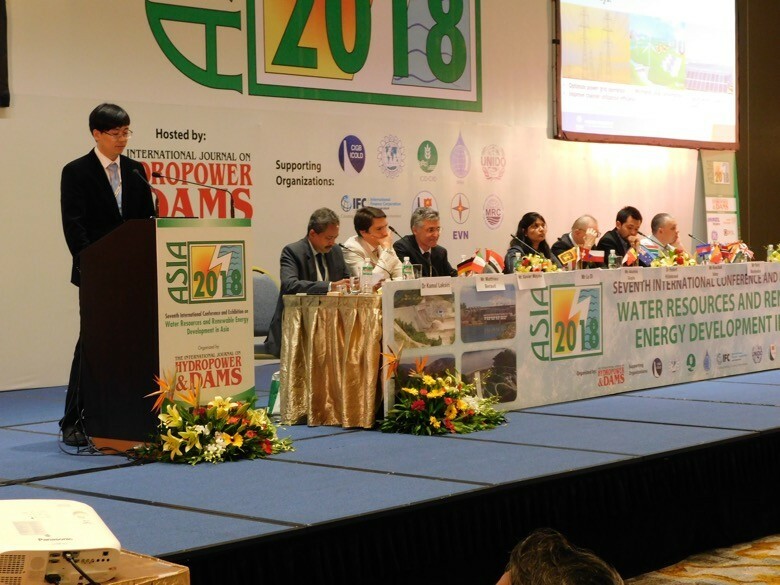 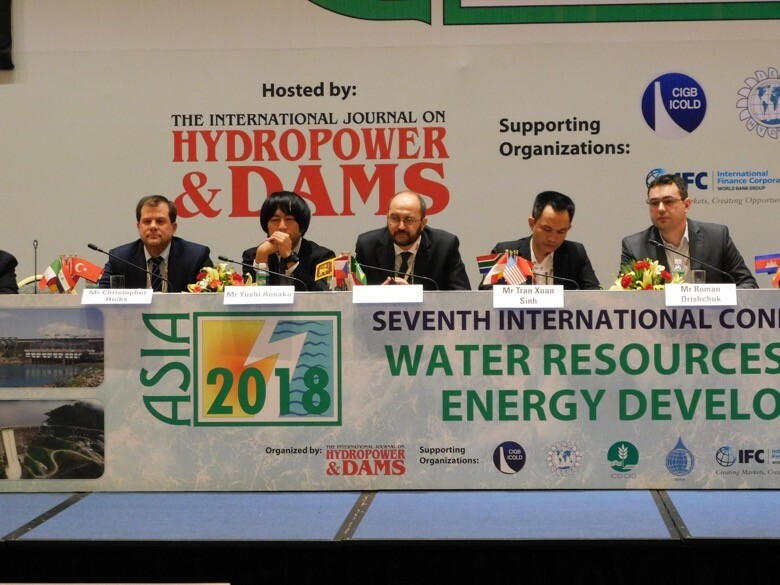 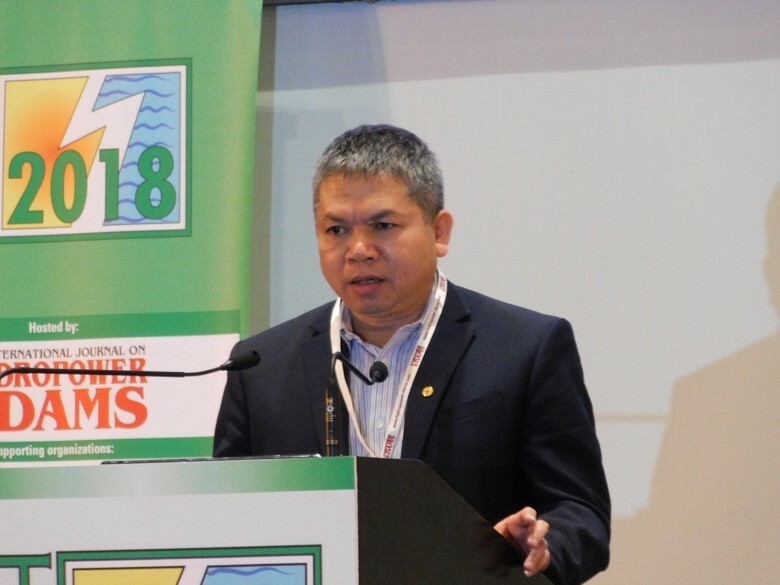 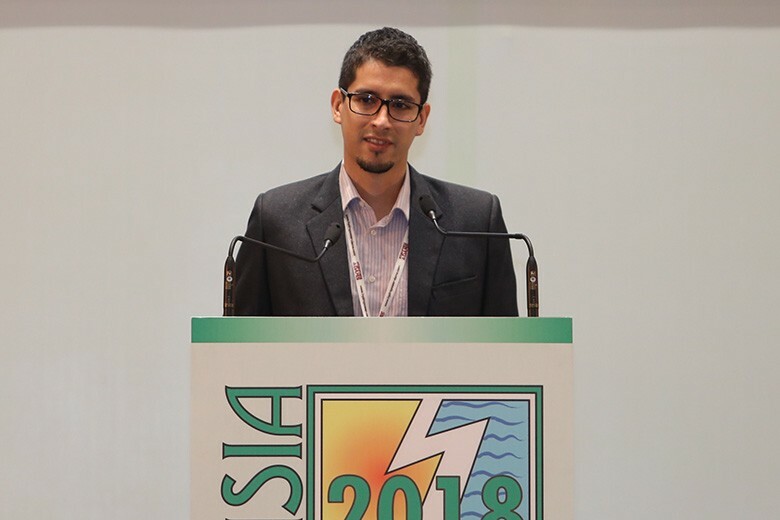 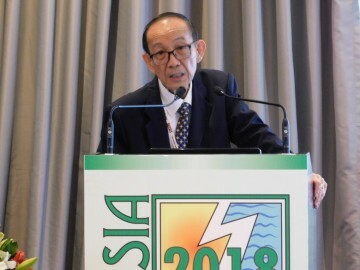 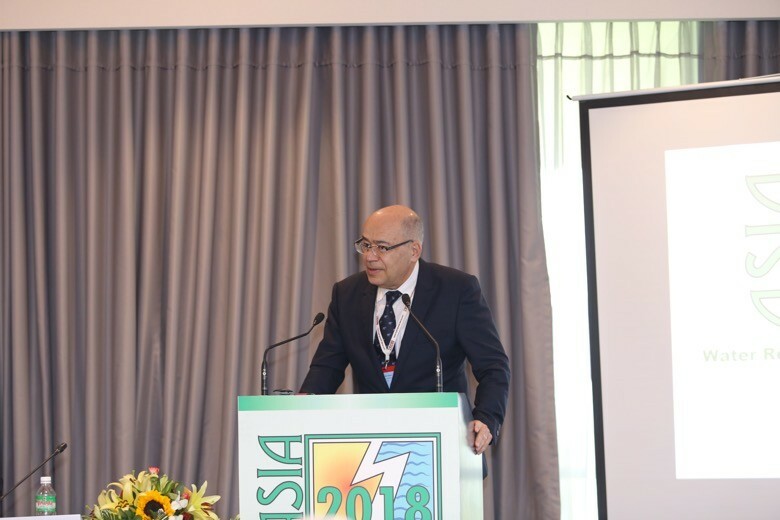 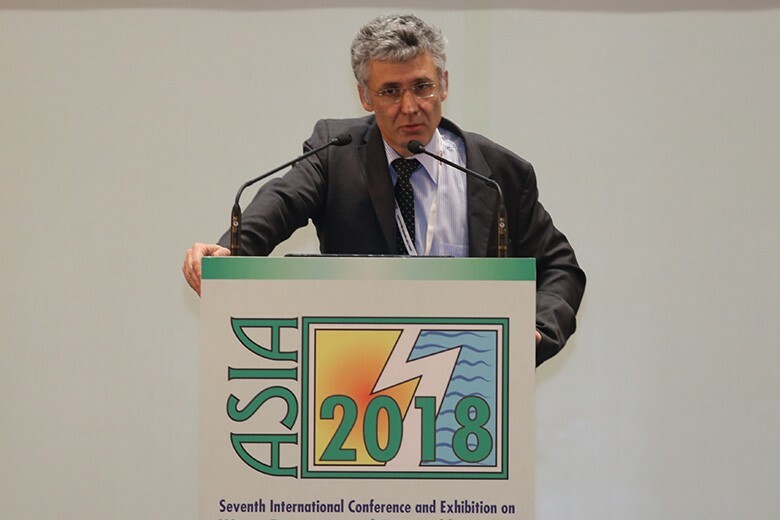 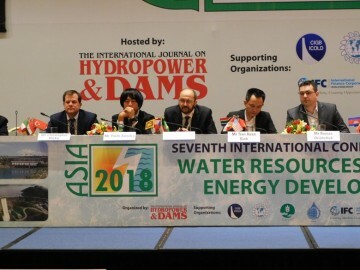 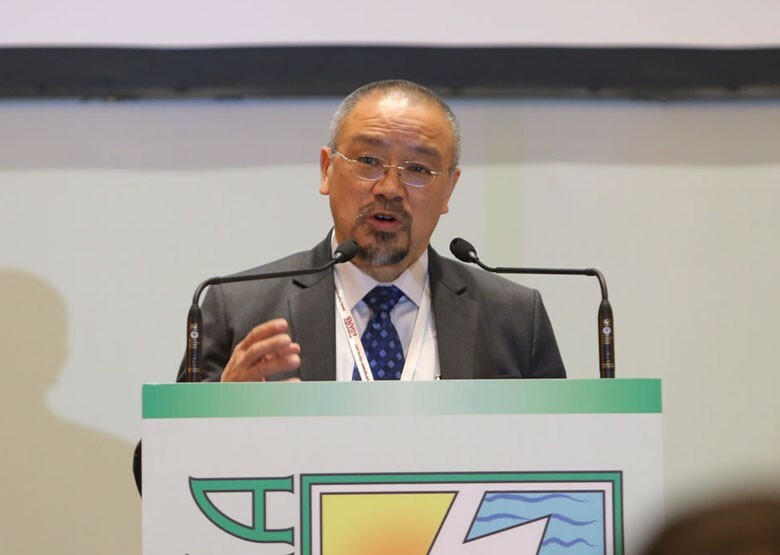 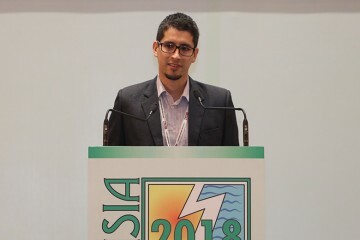 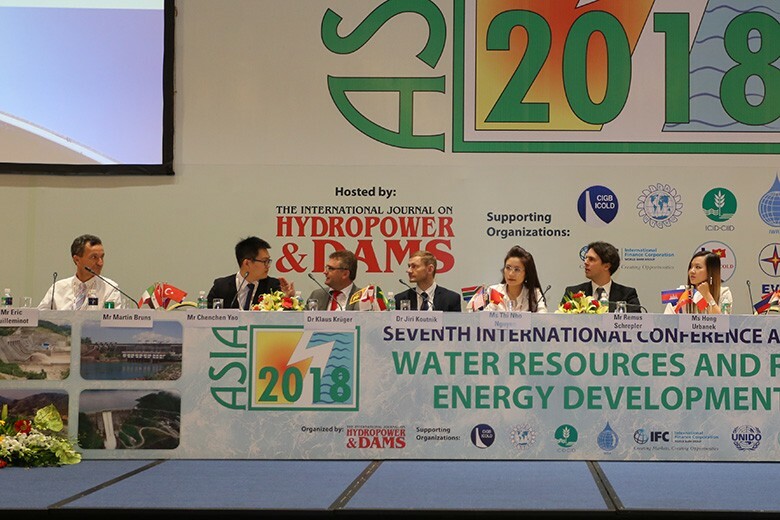 Jie Tang, Practice Manager – East Asia & Pacific, Energy and Extractive Global Practices at the World Bank, gave a keynote address on the changing role of sustainable hydropower, during the second plenary session at ASIA 2018. 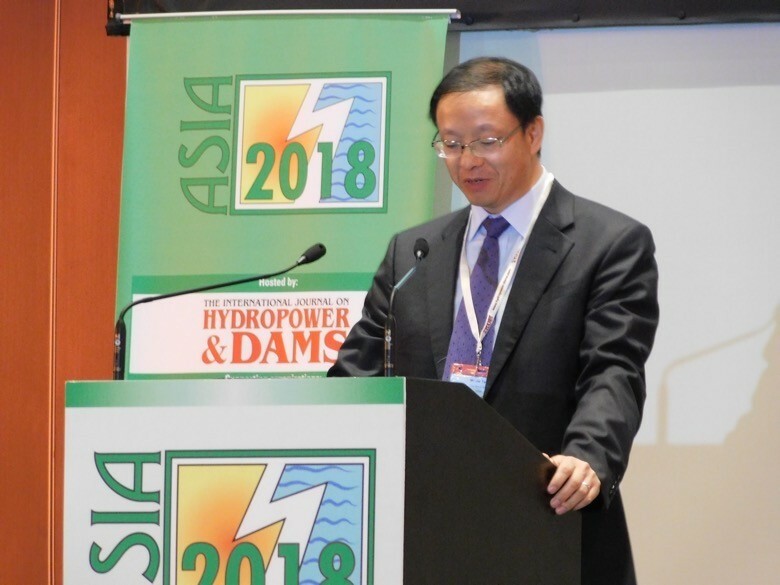 He began by outlining the economic and technical advantages of hydropower, including its role for grid stability, and spoke of the global role it is playing as the leading source of renewable energy. 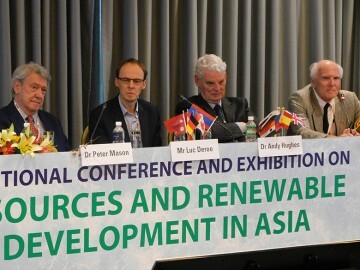 Around US$ 25 billion was to be mobilized for clean renewable energy schemes, which could lead to about 20 GW of new capacity. He referred to World Bank efforts to encourage private sector participation in hydro development, including risk mitigation measures, and he also outlined the Bank’s Climate Change Action Plan. 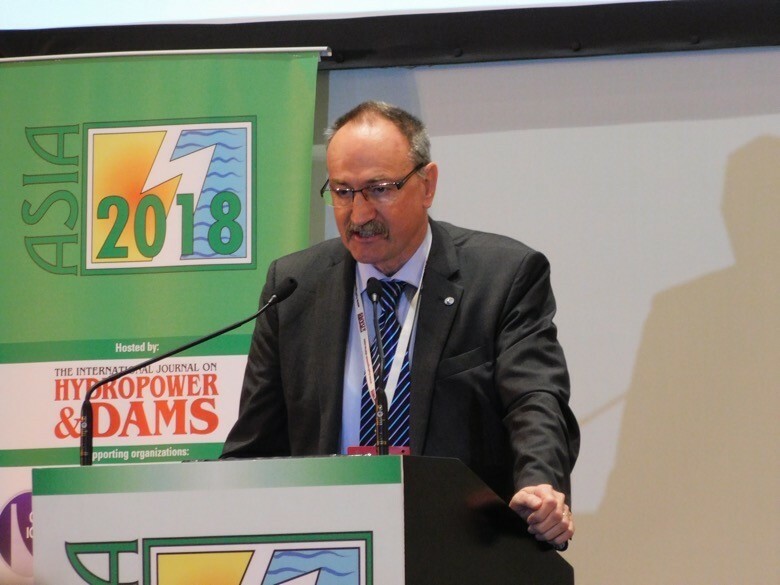 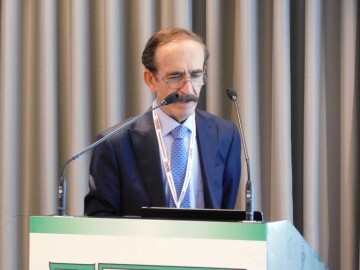 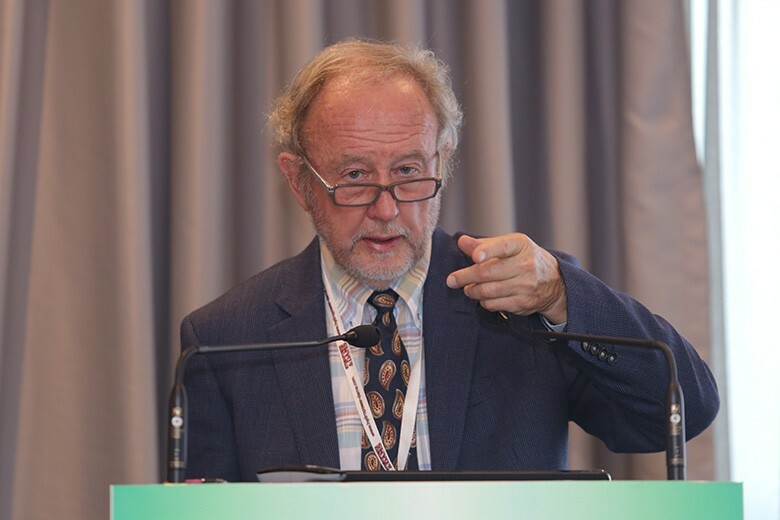 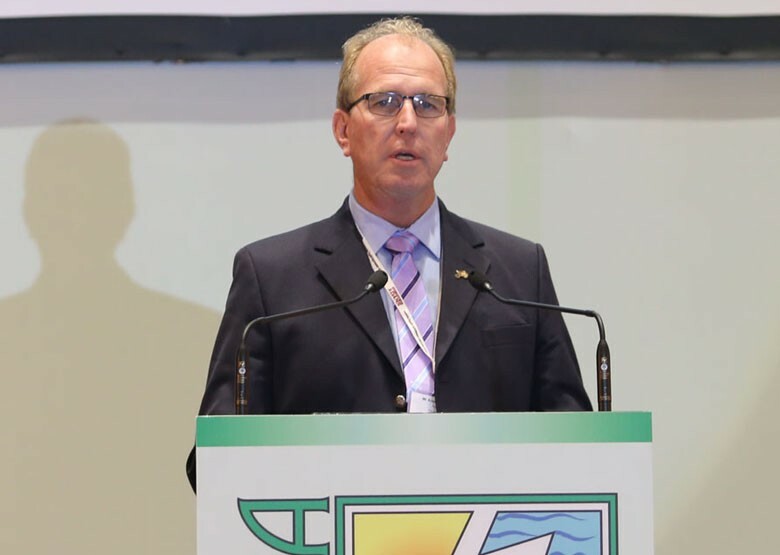 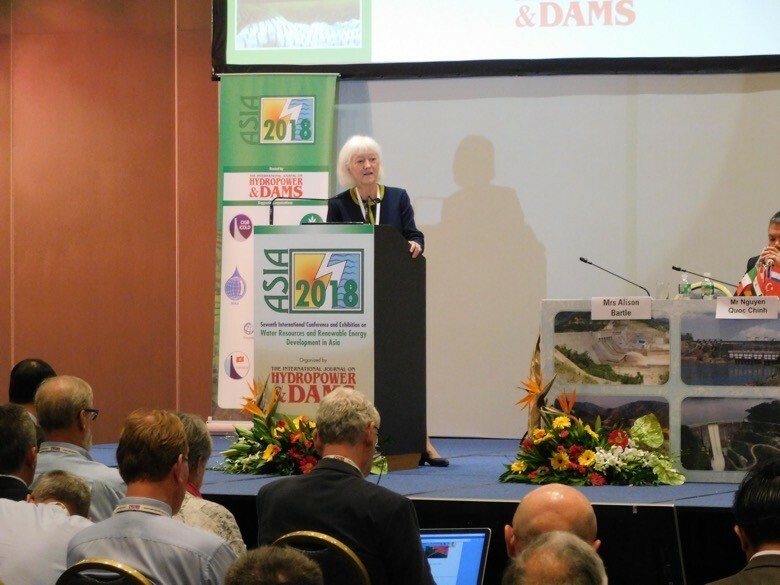 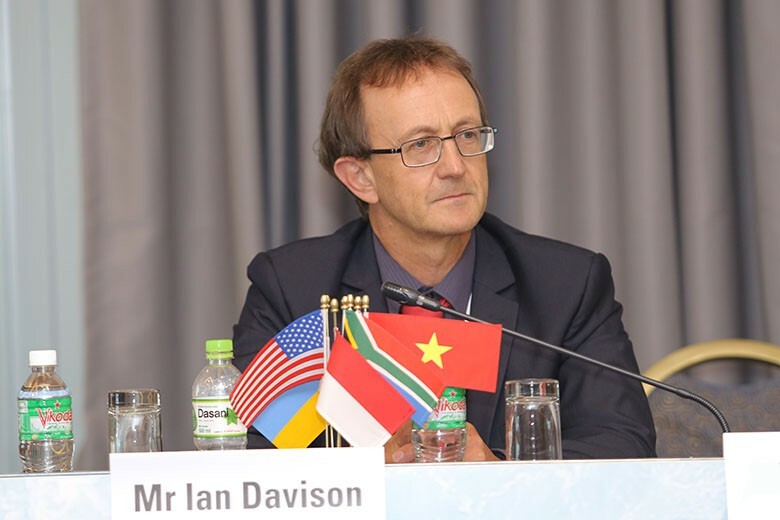 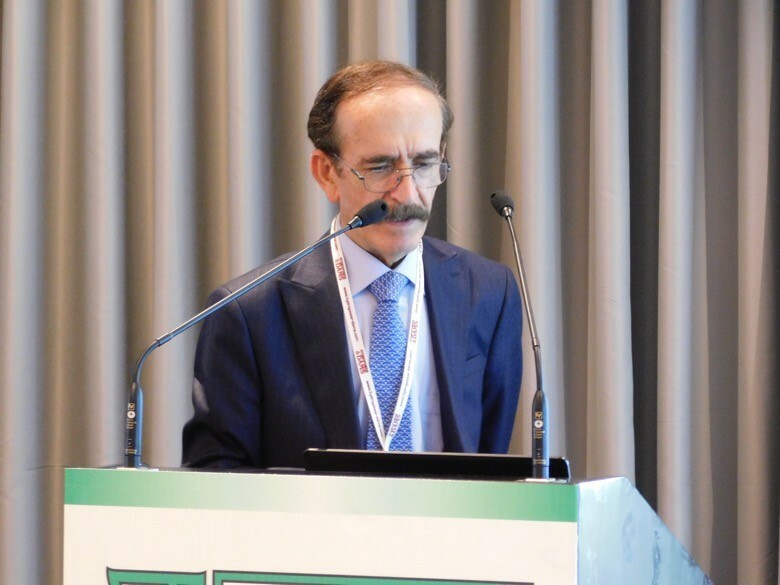 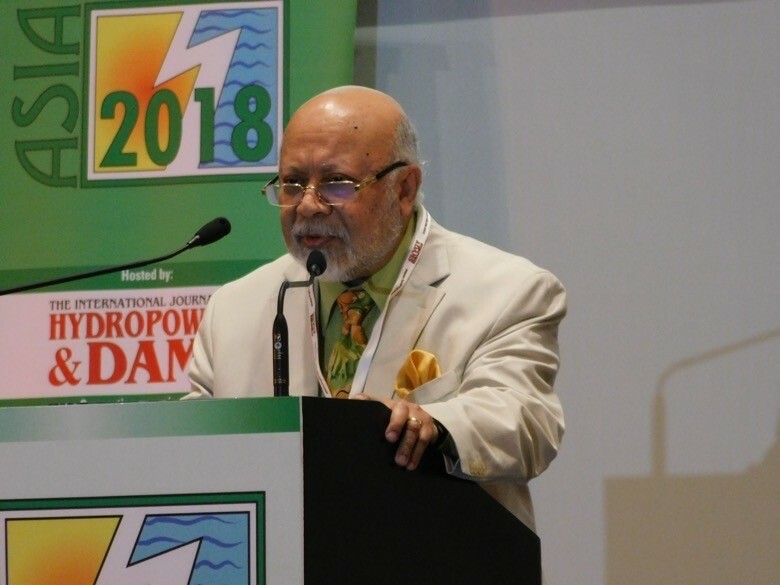 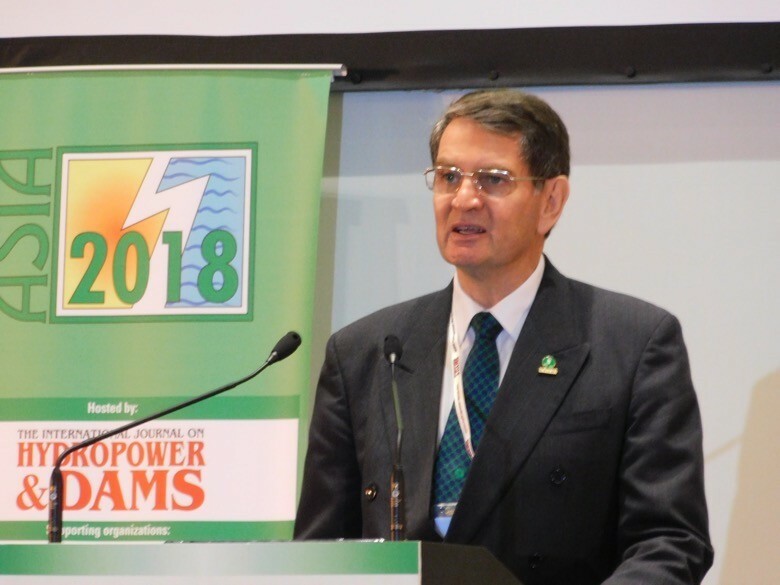 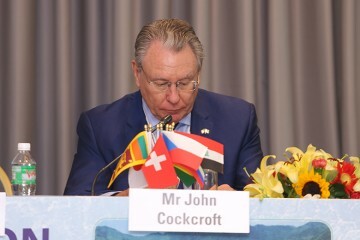 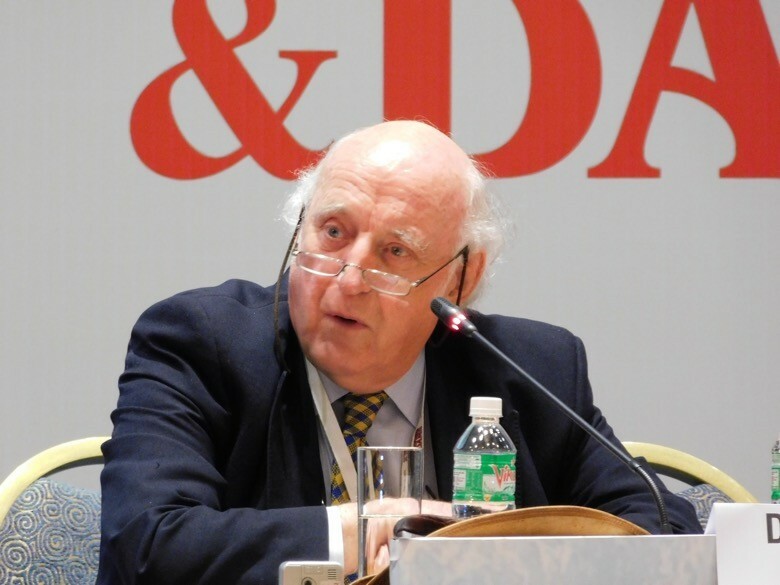 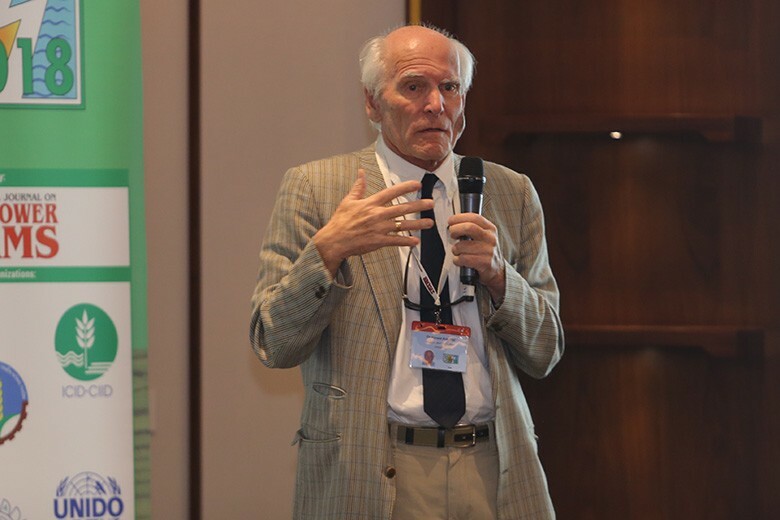 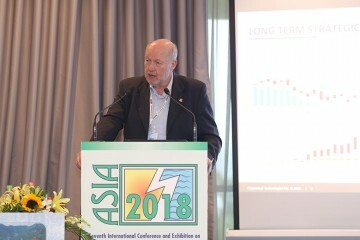 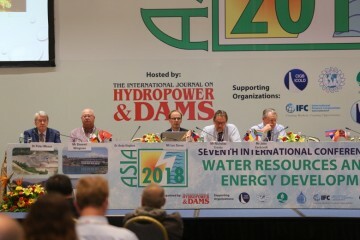 ICOLD President Prof Anton Schleiss, in his address during the plenary opening session, drew attention to global water, energy and food security challenges, and the valuable role which dams could play in supplying high quality water, as well as clean renewable energy. 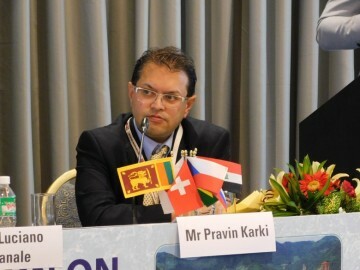 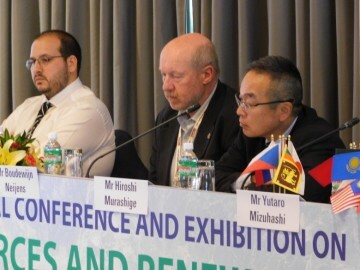 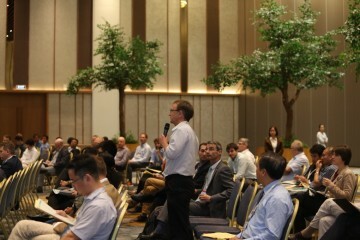 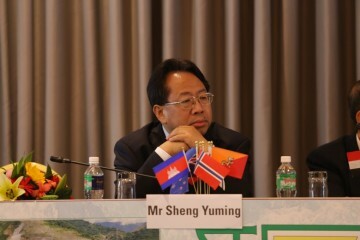 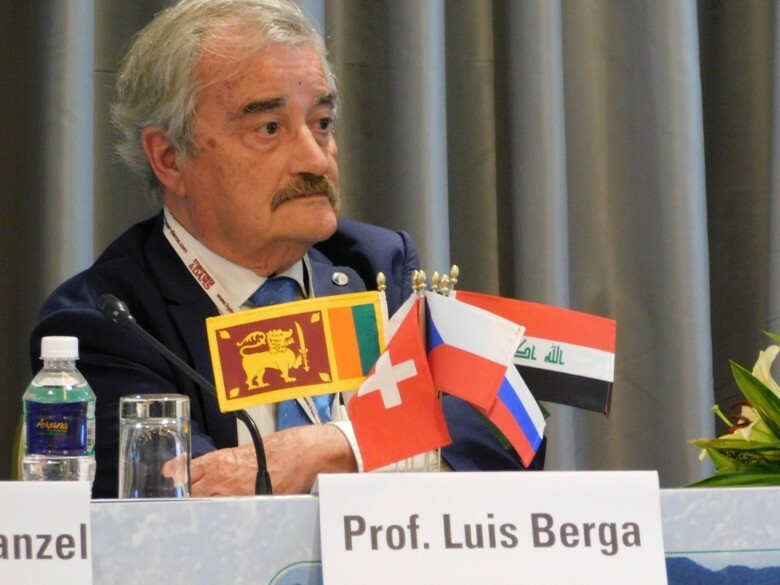 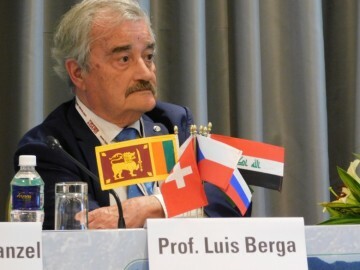 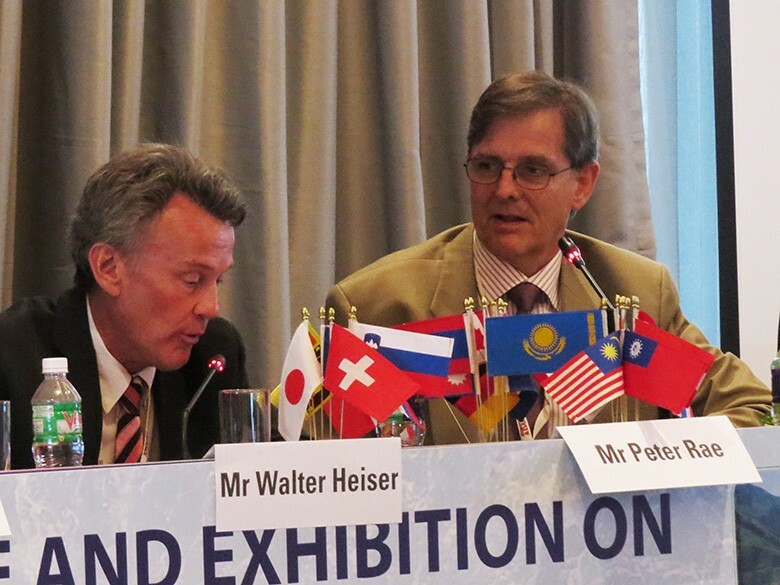 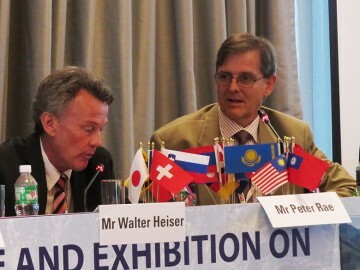 He felt that two of the major challenges for Asia were related to climate and reservoir sedimentation. 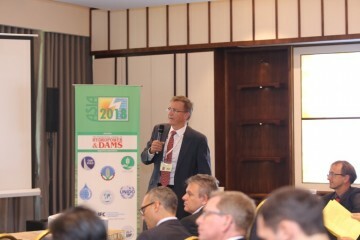 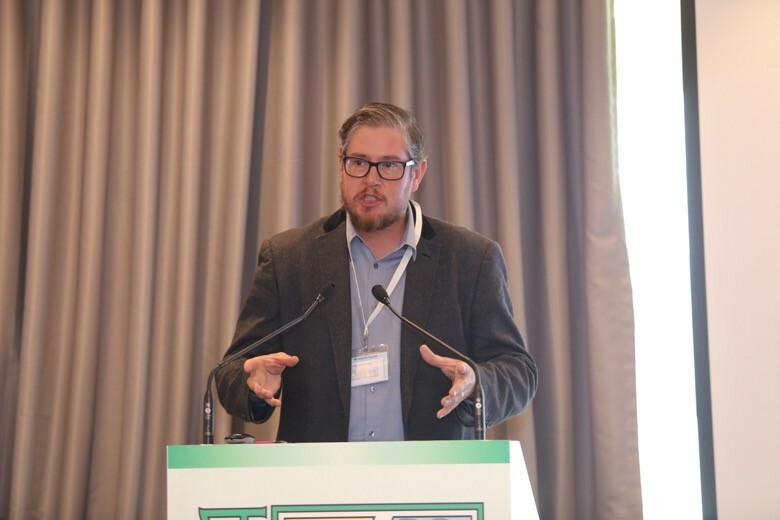 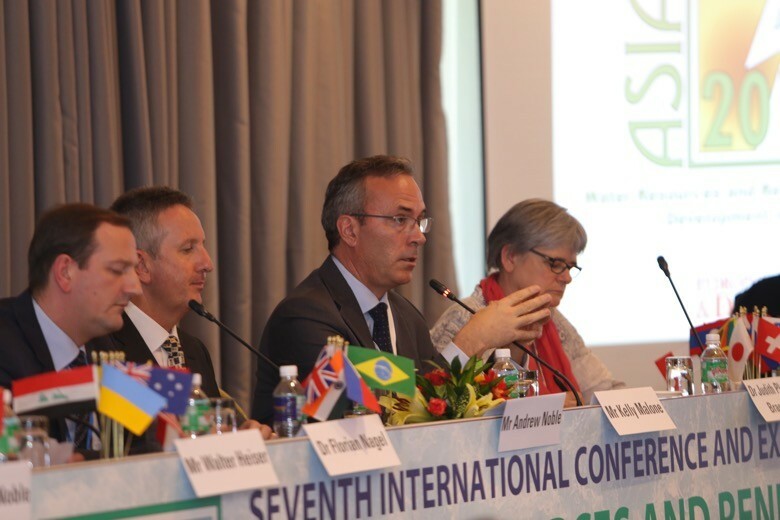 Felix Reinders, President of ICID, referred to global issues of water stress, noting that by 2030, two-thirds of the world population would be suffering from water shortages. 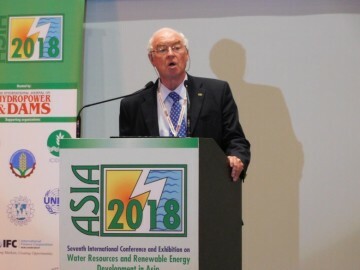 He referred to the fact that in some developing countries a large proportion of the population had more cell phones than taps, and stressed the need for different sectors associated with water resources to work together to increase universal access to water. 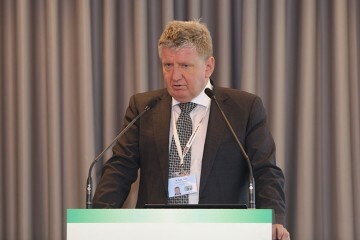 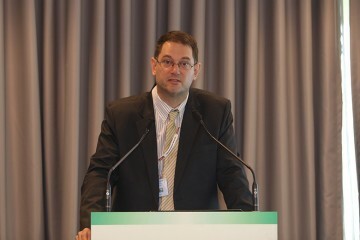 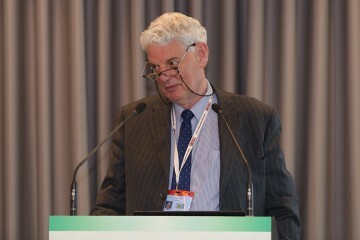 He outlined ICID’s mission and strategy, which had included the development of its ‘Vision 2030’. 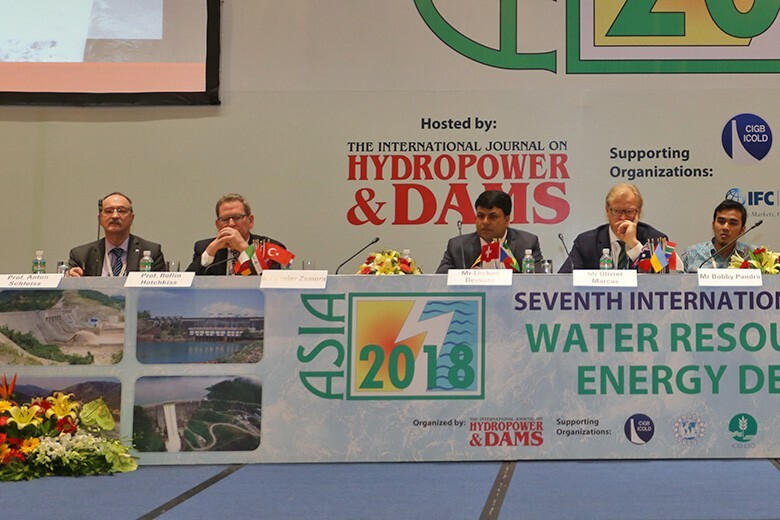 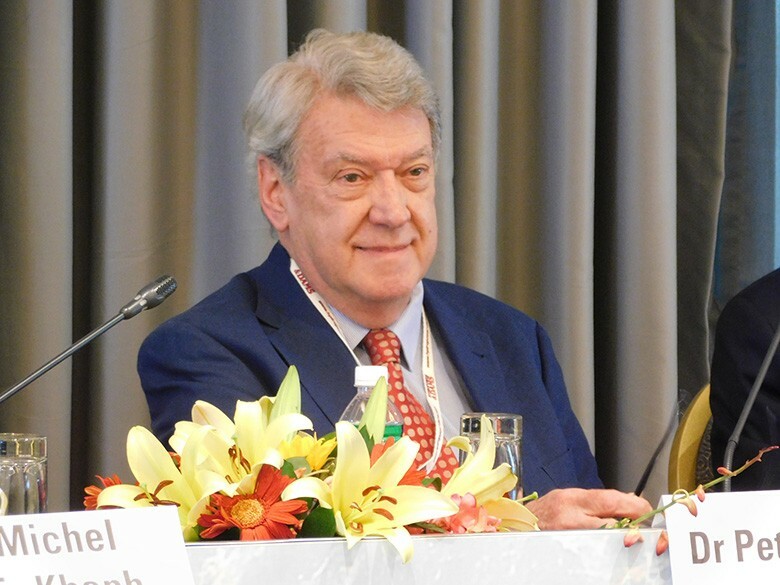 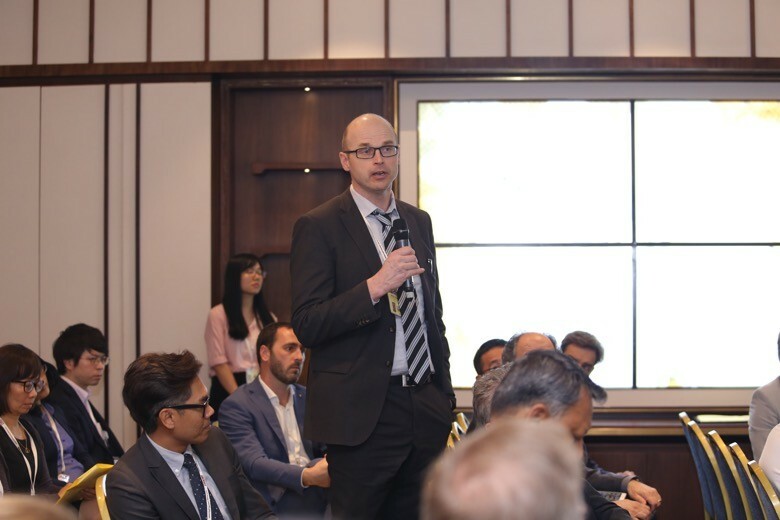 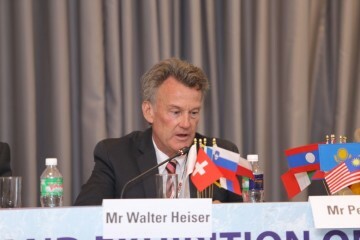 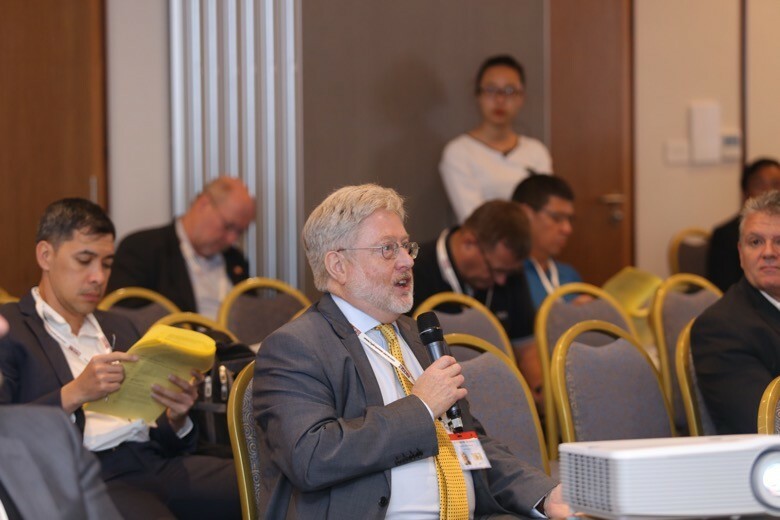 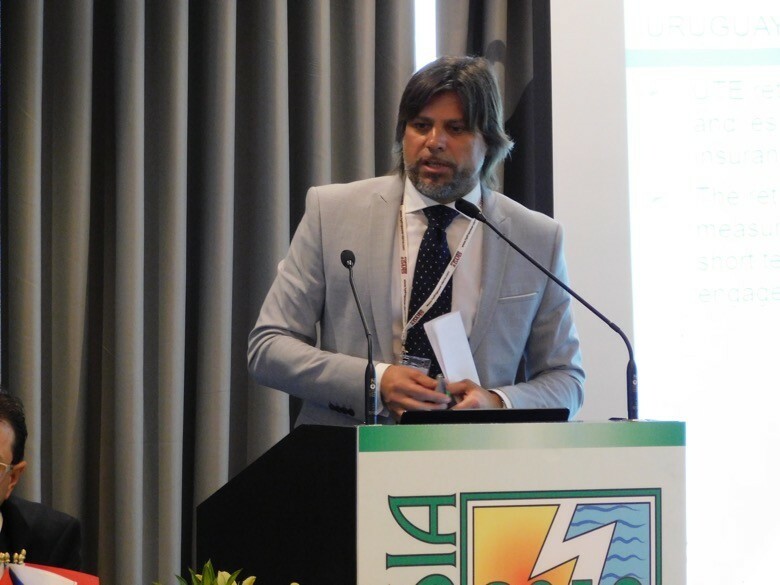 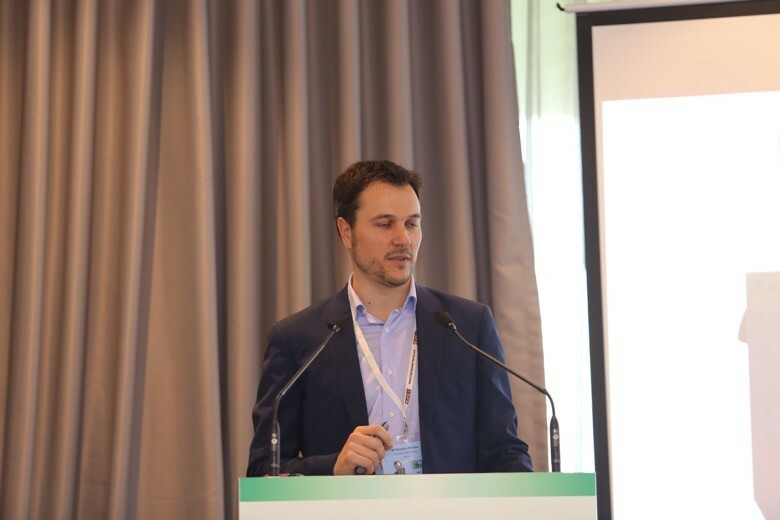 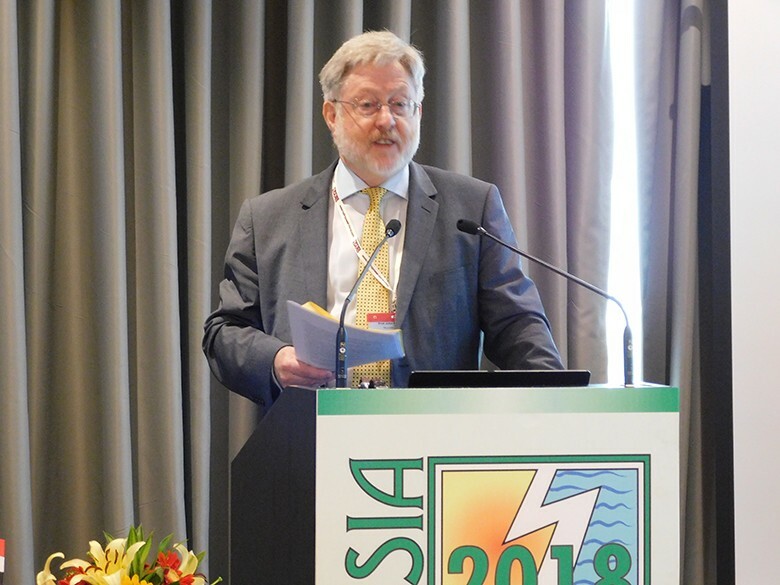 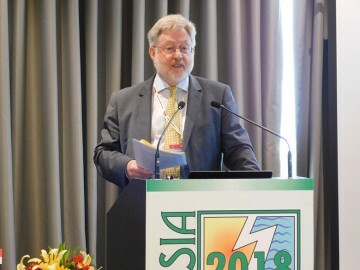 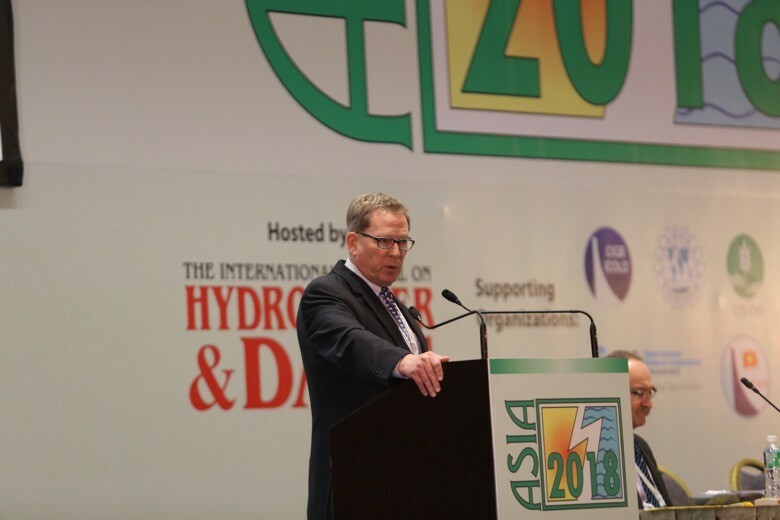 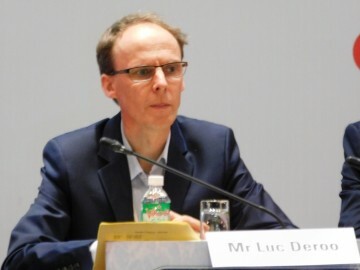 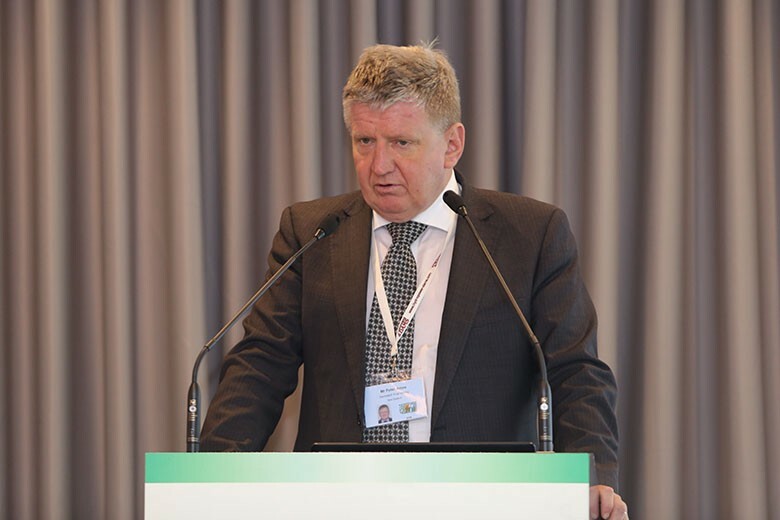 Niels Nielsen, Joint-Secretary of the Executive Committee of the International Energy, outlined the work programmes of some of the IEA Hydro Annexes, highlighting particularly those with particular relevance for Asia. 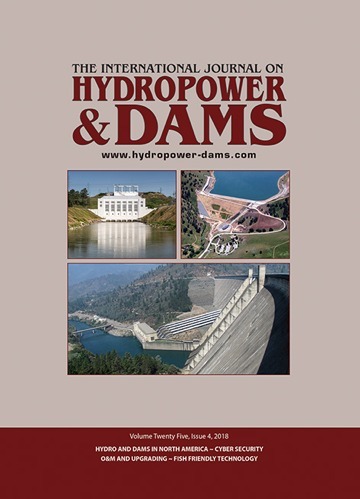 These were, Hydropower and Fish; Cascade Developments; and, Asset Management. 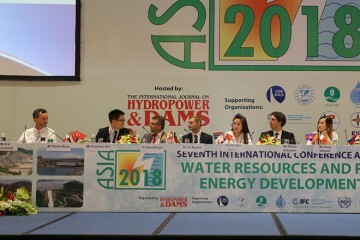 A session on the latter had been organized as part of the ASIA 2018 programme. 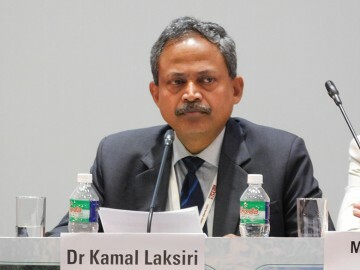 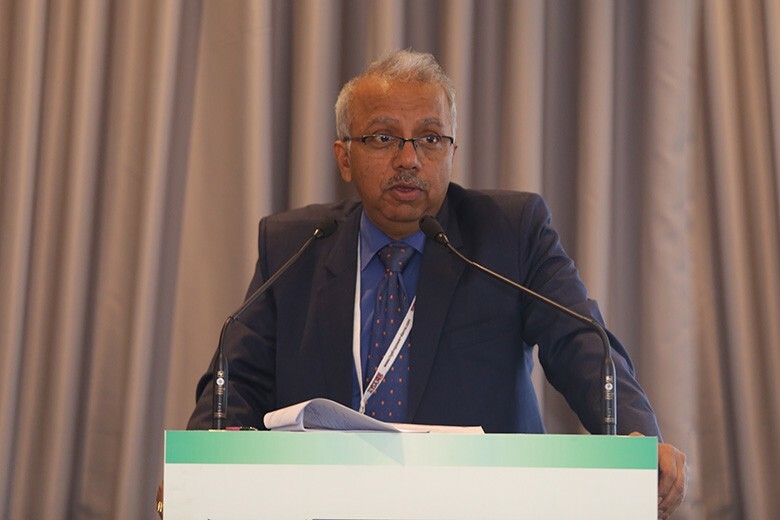 Lakhdeep Babra of IFC, (Senior Manager of the Environment, Social and Governance Department for the Asia-Pacific Region), stressed in his keynote address the importance of addressing environmental and social issues early in a project cycle, and the need to involve a range of different skill sets. 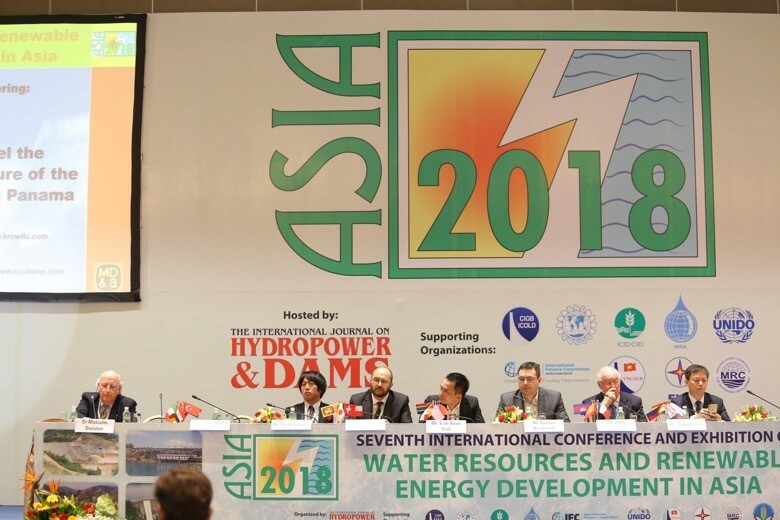 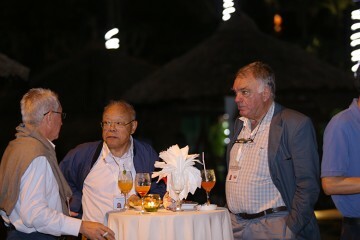 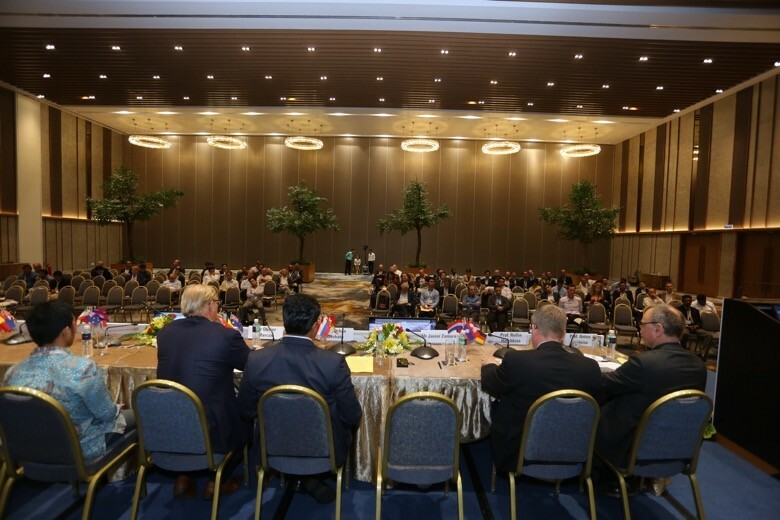 In this context he referred to IFC’s Hydro Developers’ Working Group, which had met on the previous day in Danang, saying that this group was “successful in pulling together people from different sectors in one space”. 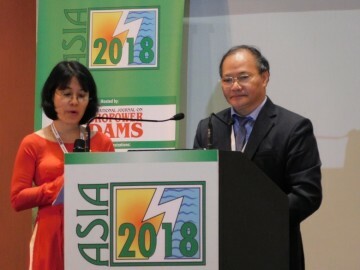 Babra announced the recent development of two IFC tools: one, described as the ‘Hydropower Toolkit’, was an environmental health and safety guidance document setting standards for hydro development in countries with emerging economies; the other was a ‘Good Practice Handbook on Environmental Flows’. Amb Tariq A. Karim, Former Ambassador for Bangladesh to India, spoke of opportunities and challenges for collaboration between the so-called BBIN countries (Bhutan, Bangladesh, India and Nepal). 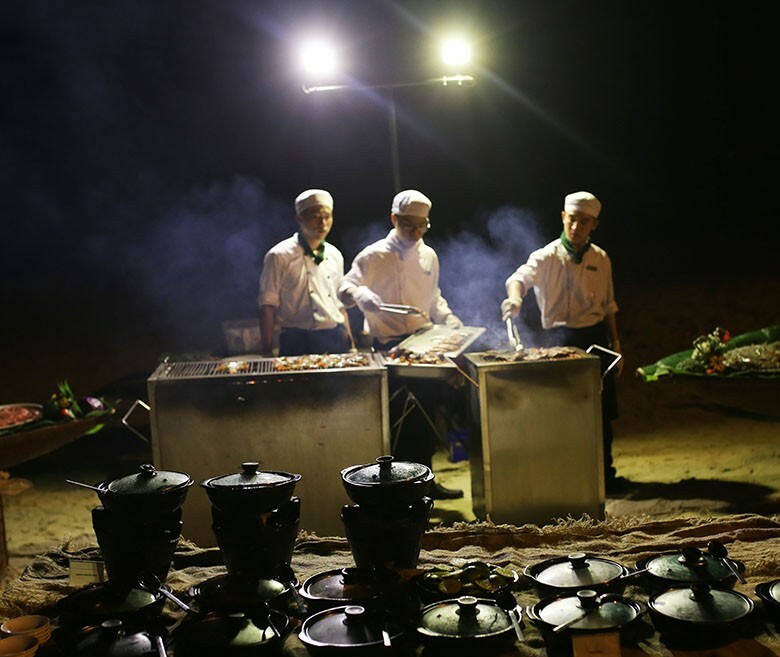 With a significant proportion of the populations of these countries living below the poverty line, he said, there was an incentive for collaboration in the field of energy. 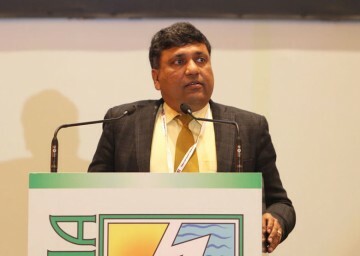 He referred to power trading which had begun between India and Bangladesh, reporting that 750 MW of capacity was imported by Bangladesh, and he predicted that his figure was likely to double in the coming years. 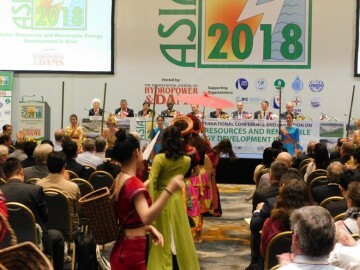 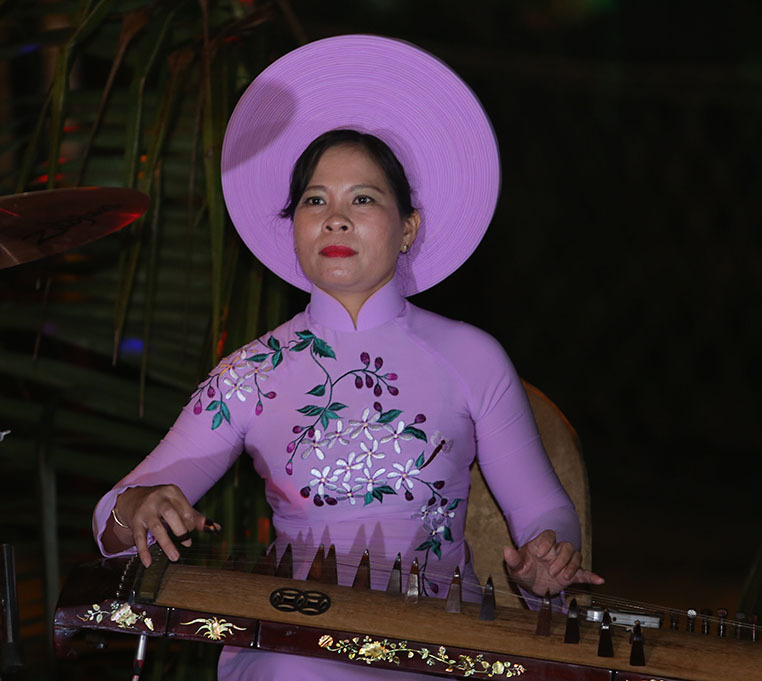 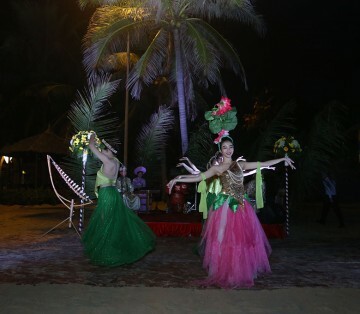 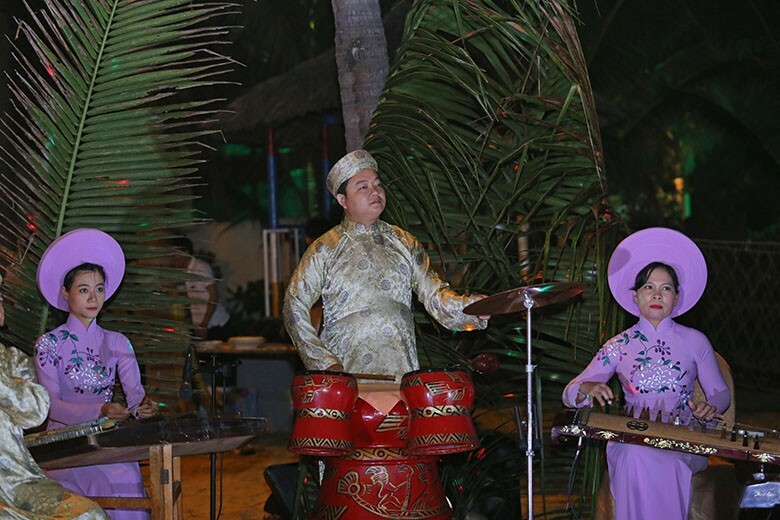 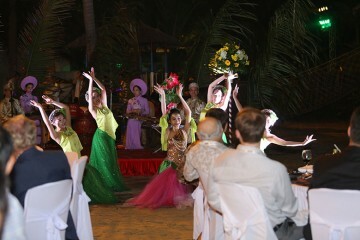 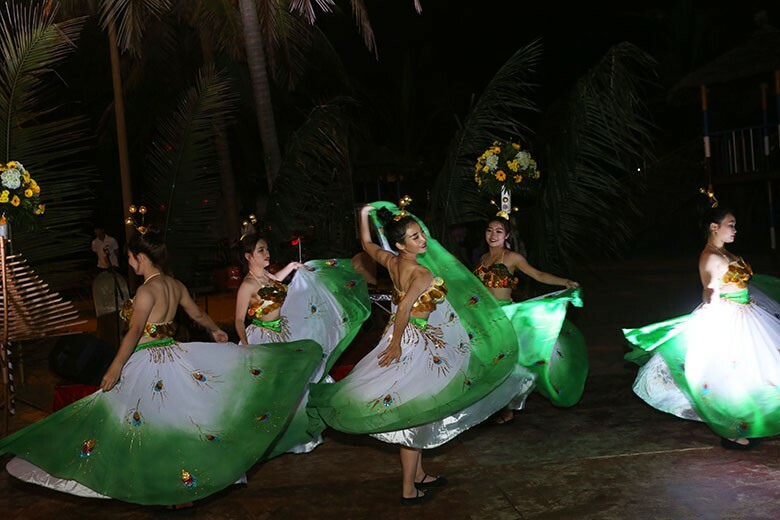 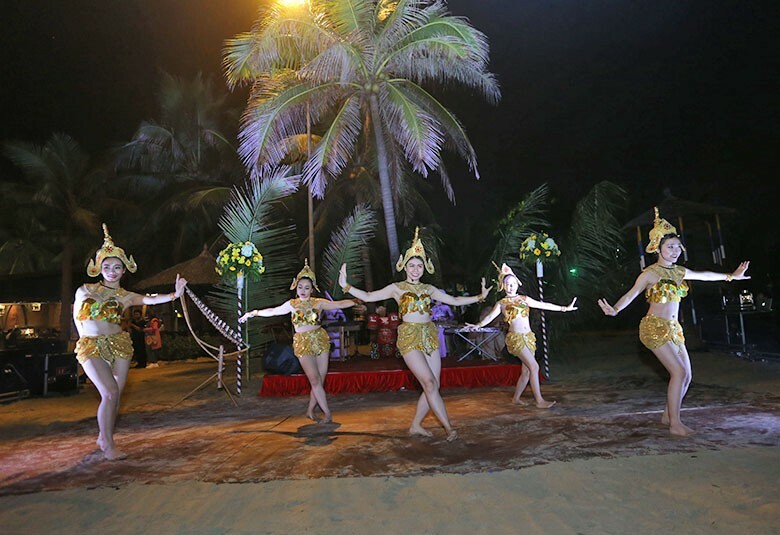 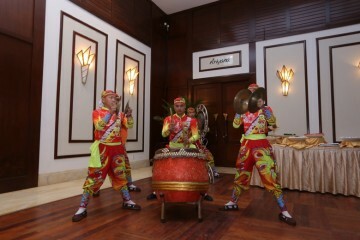 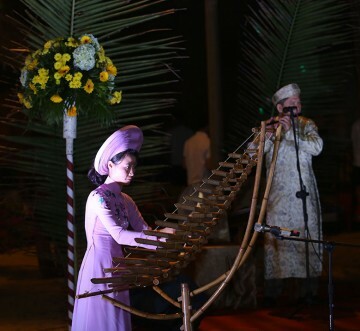 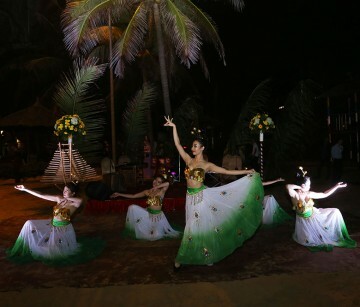 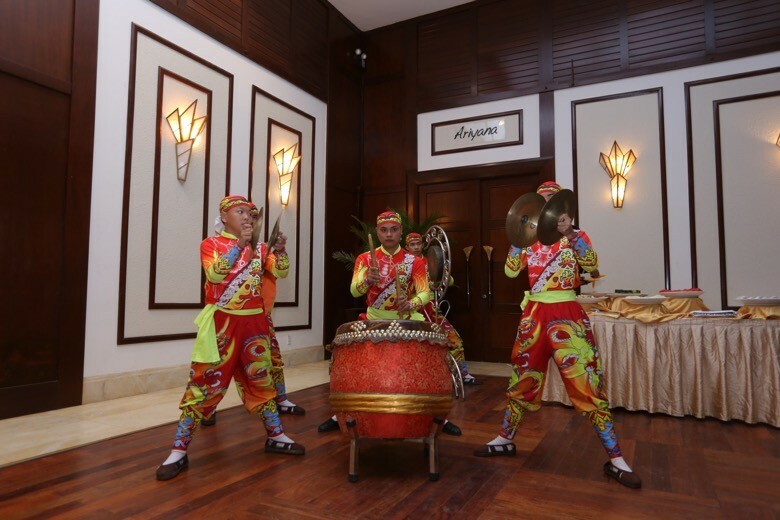 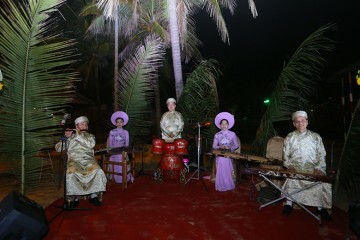 Cultural performance at the beginning of the ASIA 2018 Opening Ceremony on 13 March. 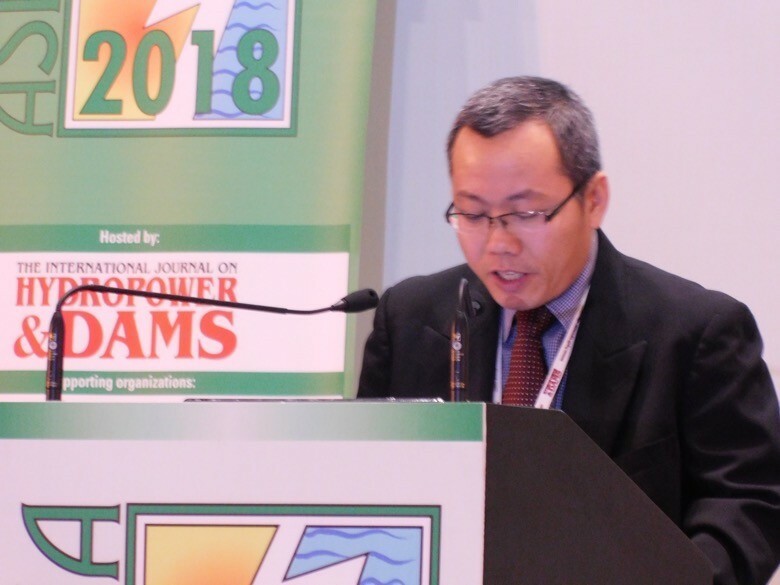 Nguyen Quoc Chinh, Deputy Director of the Technical and Operational Department of EVN, gives an overview of Vietnam’s power system, focusing particularly on hydropower generation. 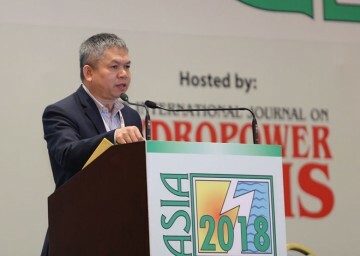 He outlined the country’s national power development plan, which had been revised in 2016. By 2030, national installed capacity is planned to reach 129.5 GW, he said, of which hydropower would contribute about 17 per cent. 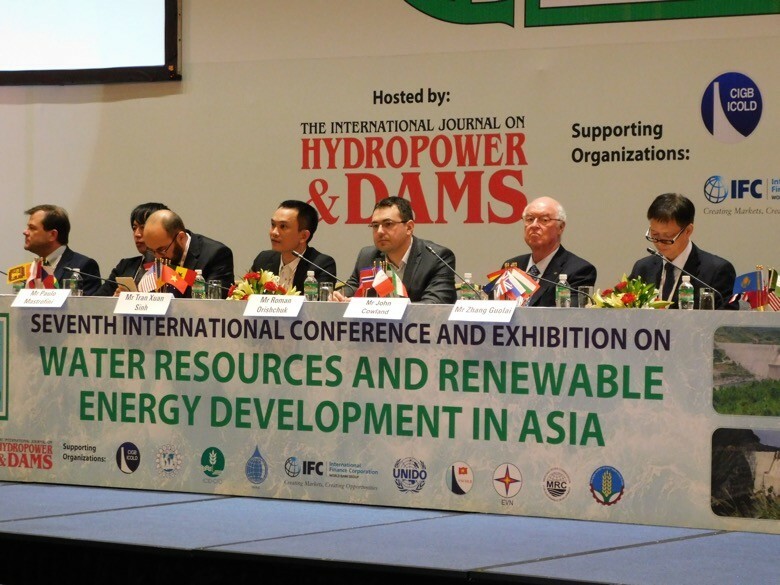 Prof Xu Zeping of IWHR, China, discussing achievements and challenges of hydropower development in his country. 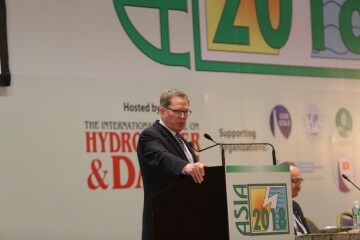 By 2015, hydro capacity had reached 319.5 GW, he said, accounting for more than 19 per cent of power generation. 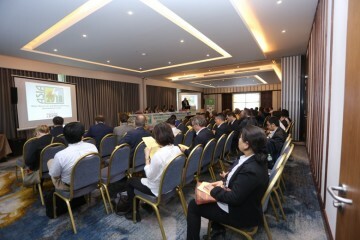 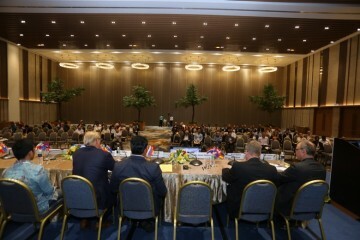 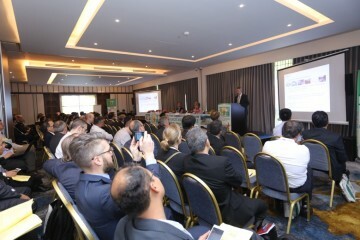 He described trends in development by region, and gave details of the country’s targets for capacity increases by 2020. 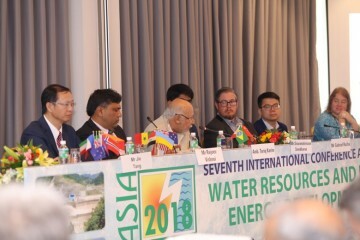 Dasho Chhewang Rinzin, Managing Director of Druk Green Power, speaking of Bhutan’s emerging apprehensions and concerns relating to hydropower development; he also outlined future plans. 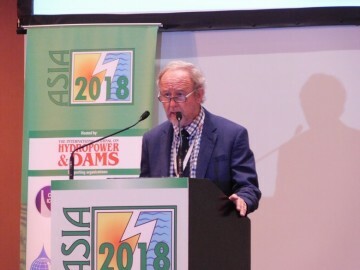 He drew attention to the country’s vast hydro potential, and the economic benefits of exporting power to India, as well as meeting domestic demand from the renewable resource. 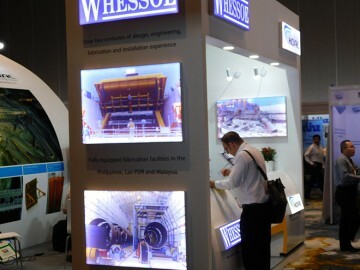 Current concerns related to project delays, and cost escalations, with resulting tariff implications, he said. 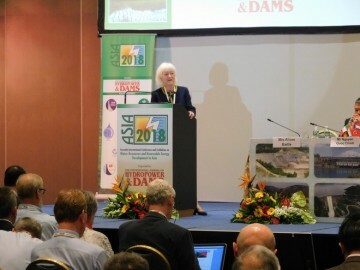 There were also environmental issues to address, including a better assessment of cumulative impacts and of the adequacy of mitigation measures. 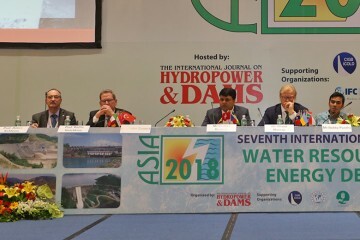 Rajeev Vishnoi, Executive Director of THDC, India, giving details of current and future hydropower development in his country. 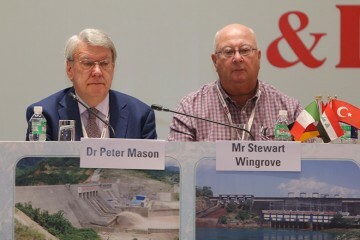 He referred to challenges of remote sites and challenging geology, as well as issues relating to finance, but he added that the Government was working on ways to accelerate hydro schemes. 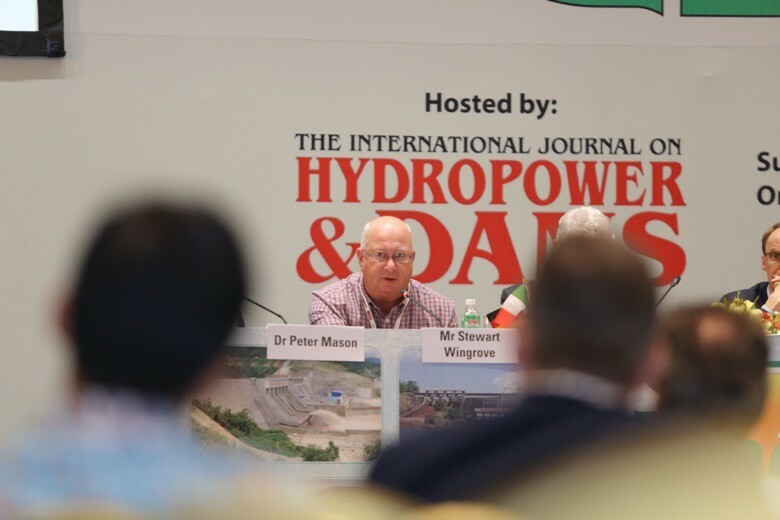 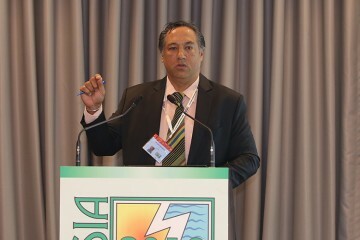 He stressed the need to develop more of the existing potential, and to implement more pumped-storage schemes. 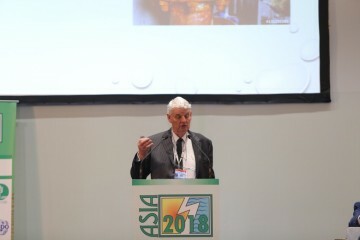 Alastair Andrews, Chief Operating Officer of PNG Power, Papua New Guinea, giving an overview of experience and opportunities for hydropower development in his country. 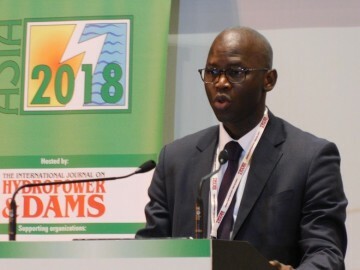 The national target, he said, was to achieve 70 per cent access to electricity by 2030, and to become fully carbon neutral by 2050. 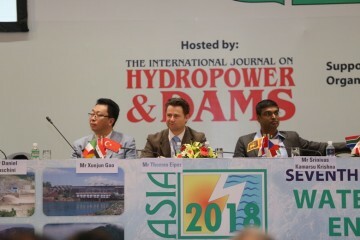 The available hydropower potential, he said, was equivalent to a total of 15 000 MW of capacity. 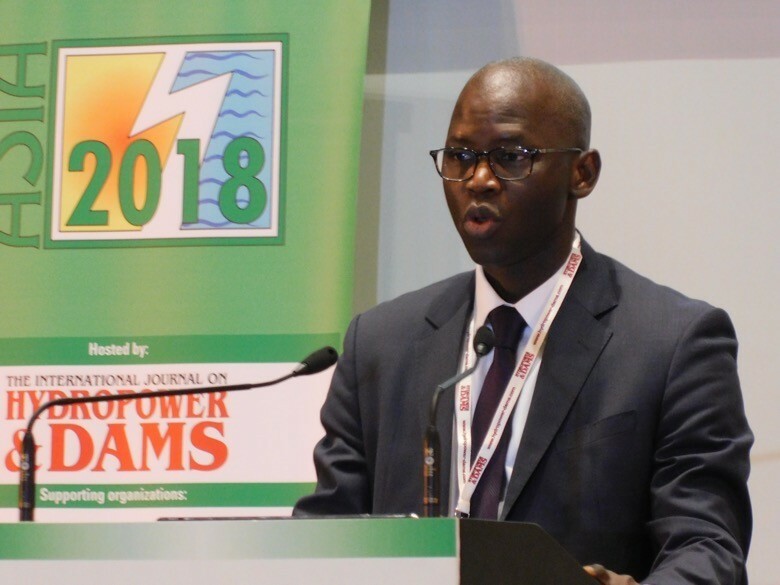 He gave details of two schemes already in operation, as well as two World Bank-supported schemes now moving ahead, Ramu 2 (140 MW) and Naoro Brown (80 MW). View of the ASIA 2018 Opening Plenary audience and panel. 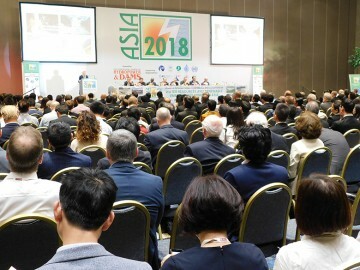 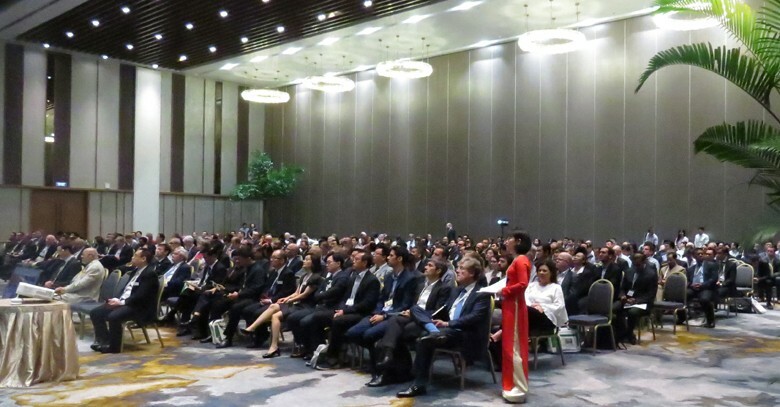 General view of the ASIA 2018 Opening Plenary audience. 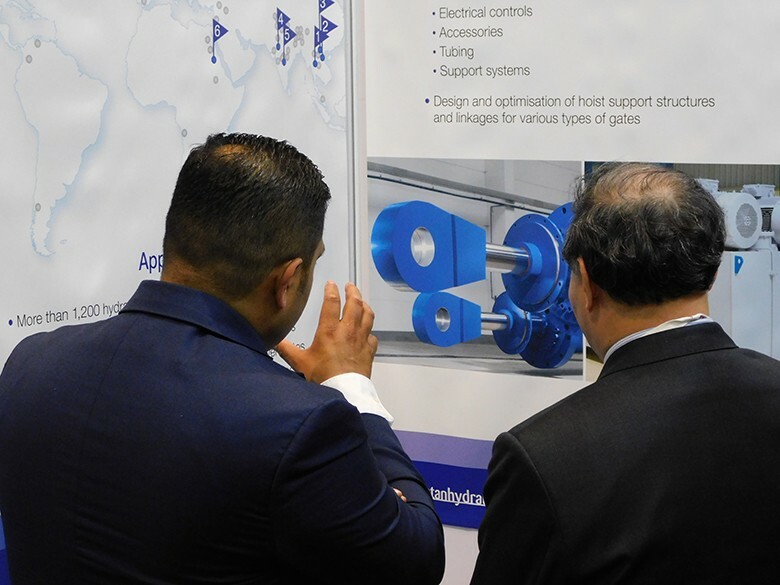 Vice Minister Hoang Van Thang officially opens the ASIA 2018 technical exhibition. 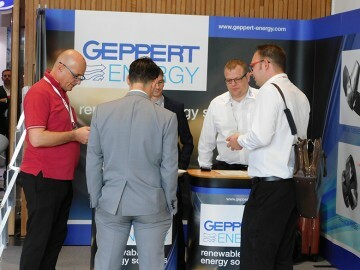 Participants break for coffee in one of the Exhibition areas. 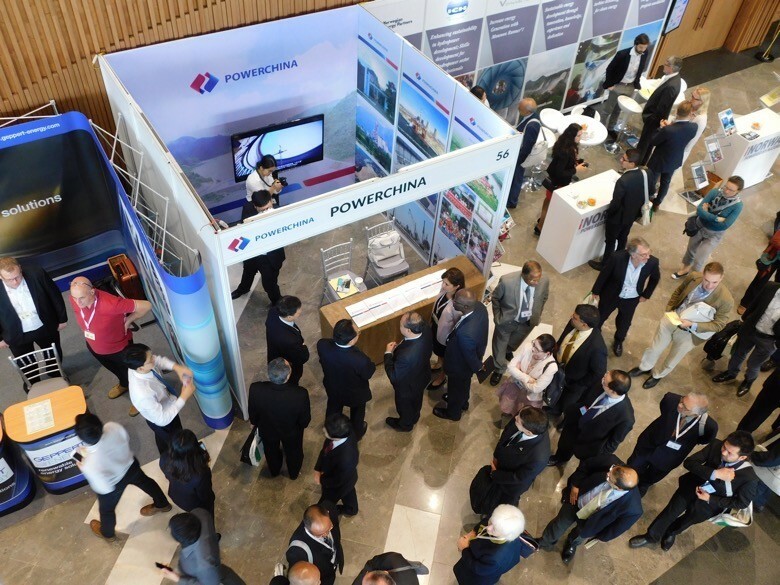 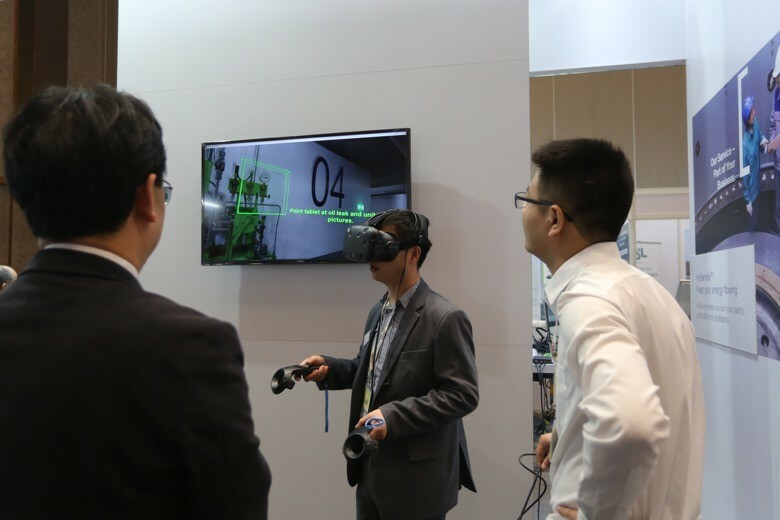 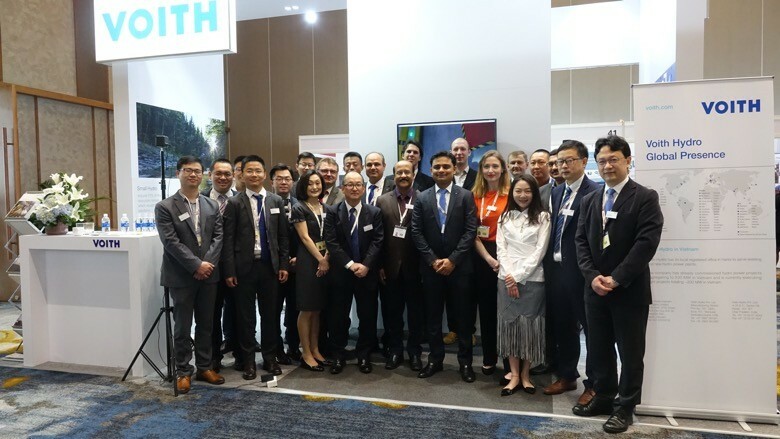 The Power China stand at the ASIA 2018 Technical Exhibition.